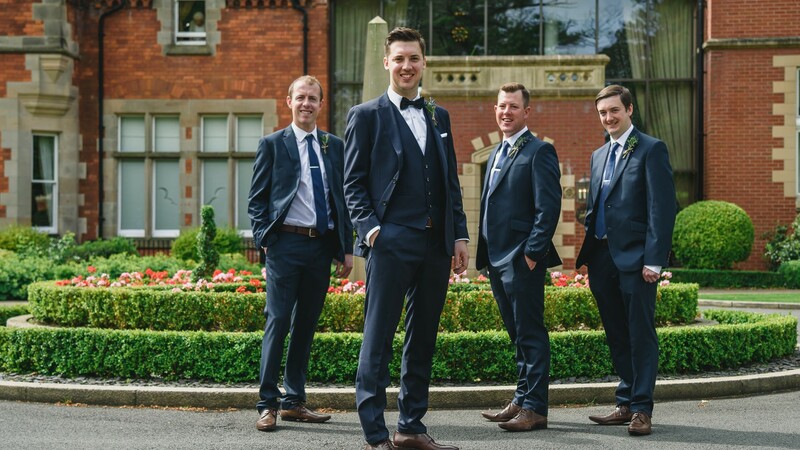 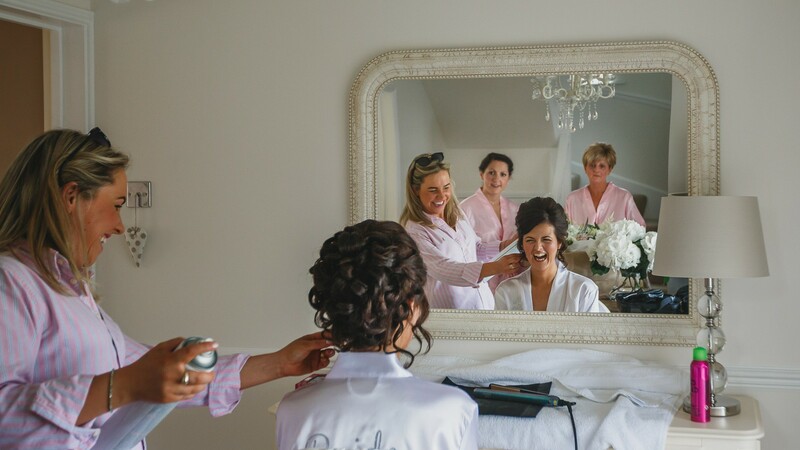 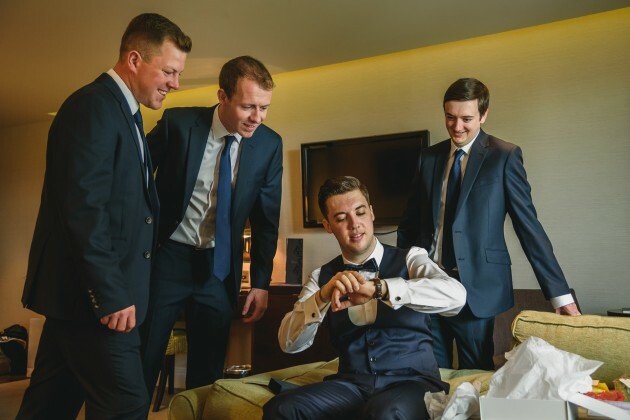 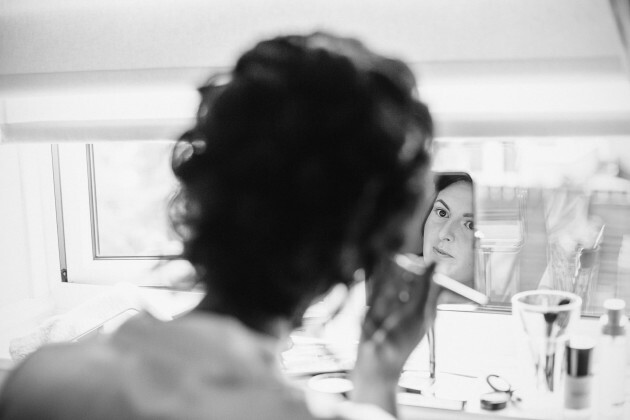 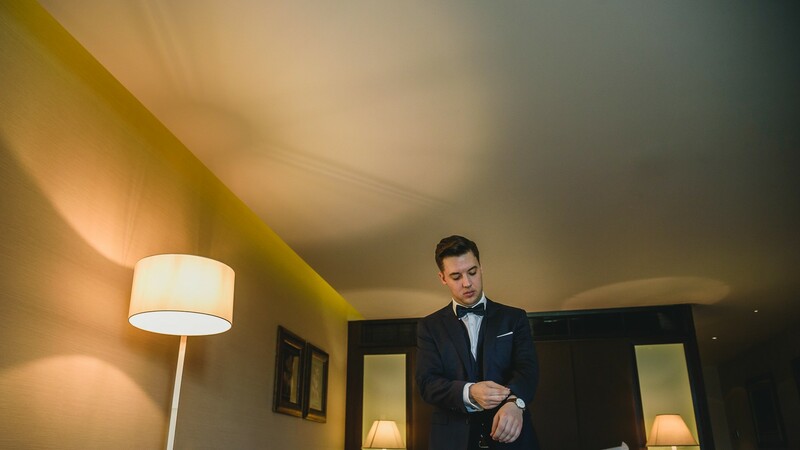 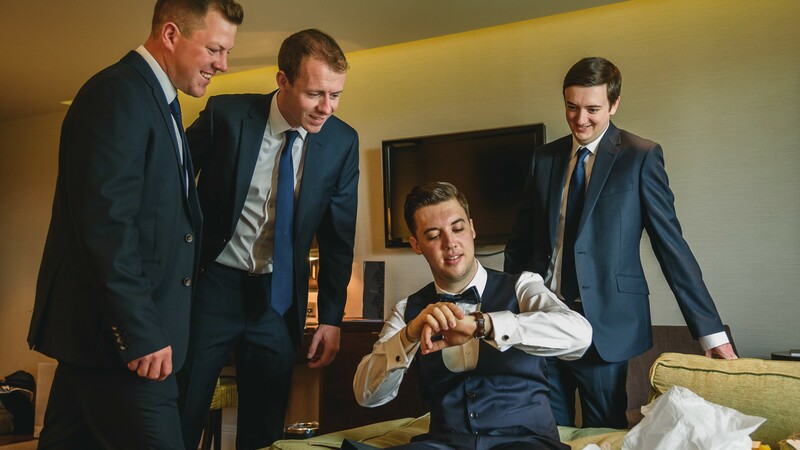 We never tire of photographing weddings at the luxurious Rockliffe Hall and Tom and Claire's wedding was superbly stylish. 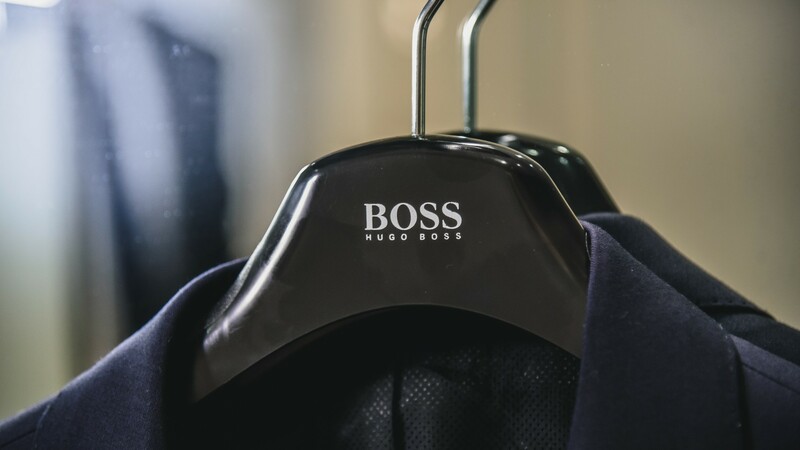 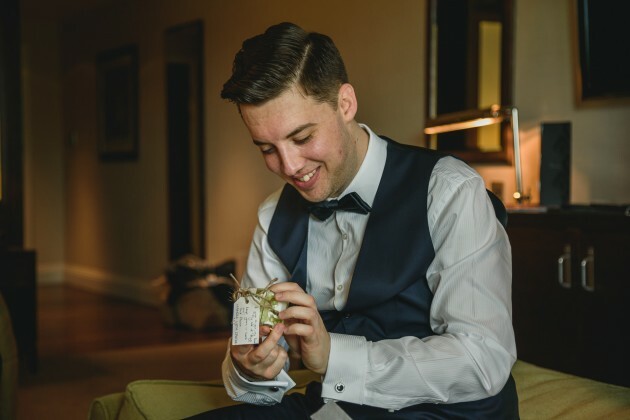 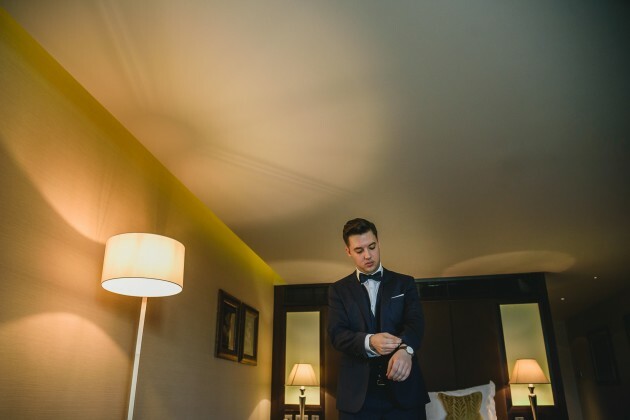 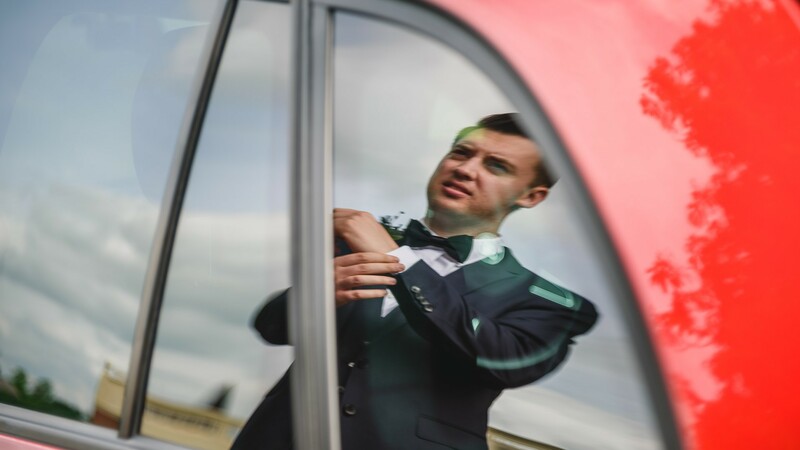 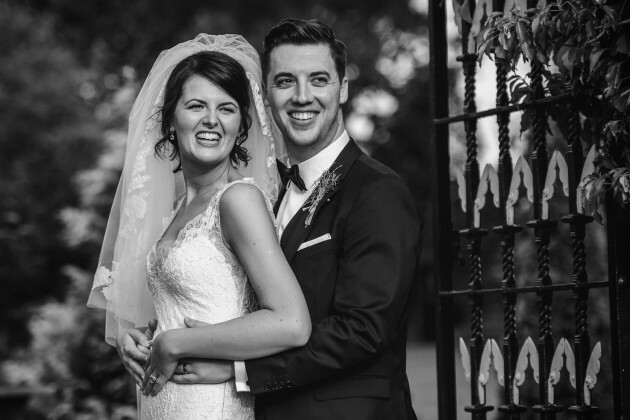 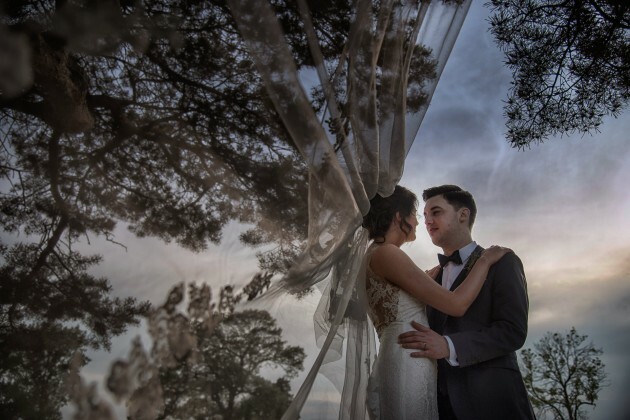 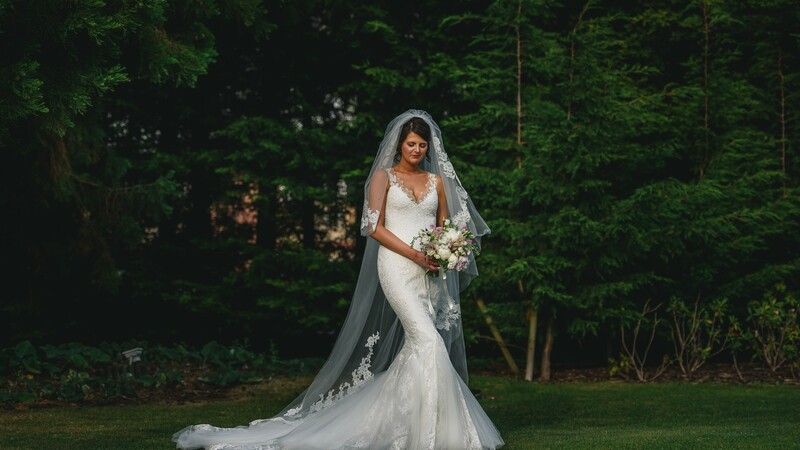 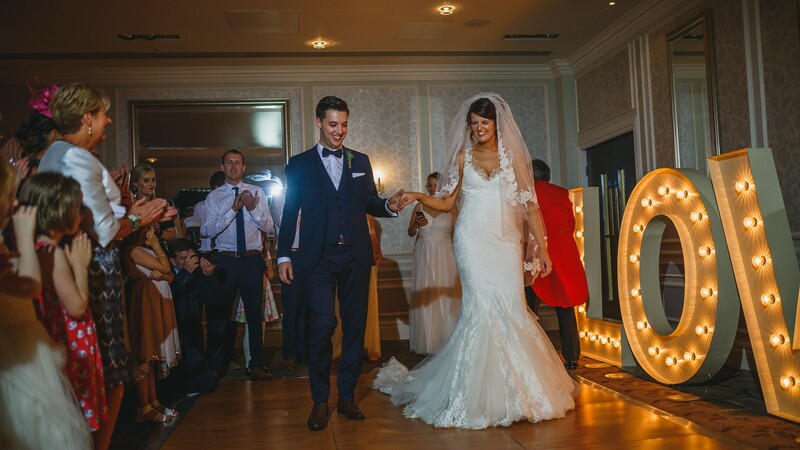 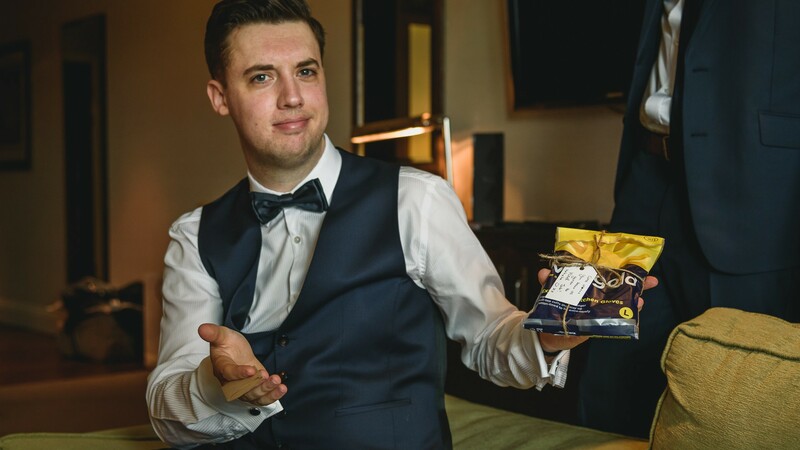 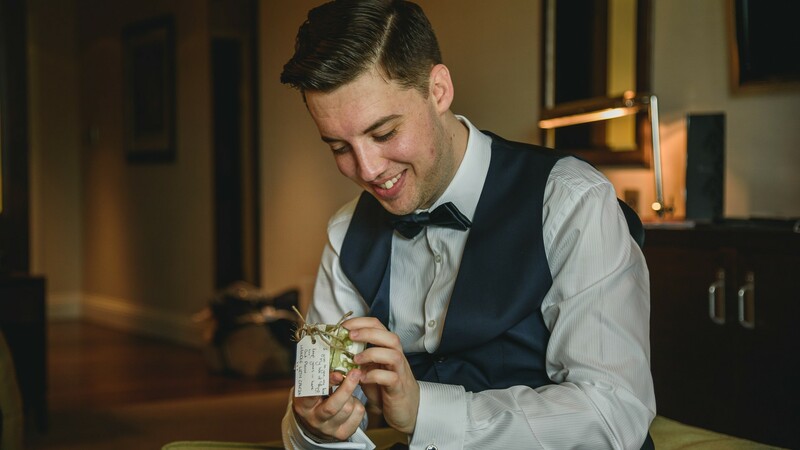 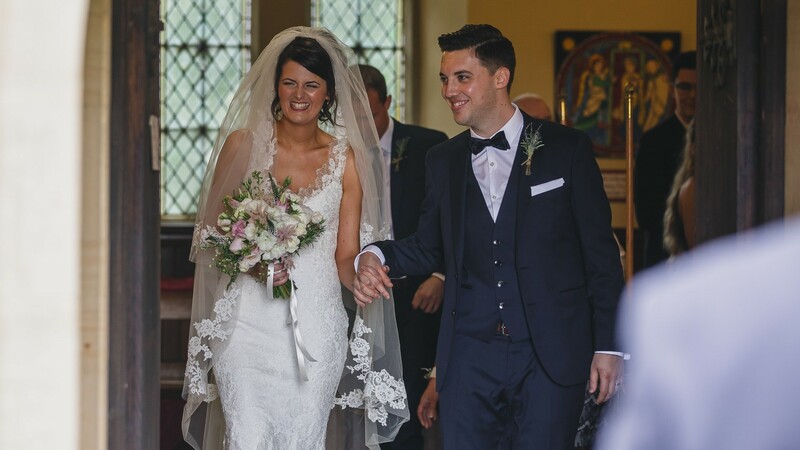 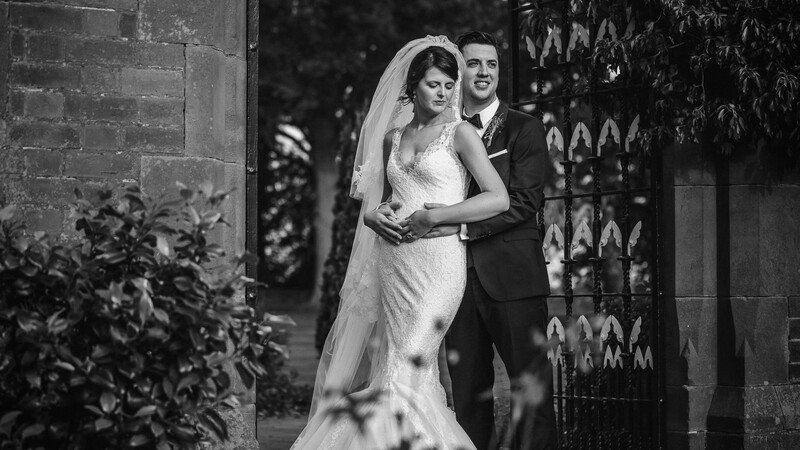 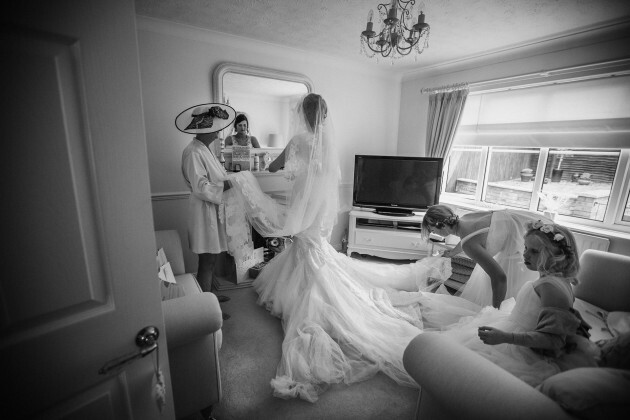 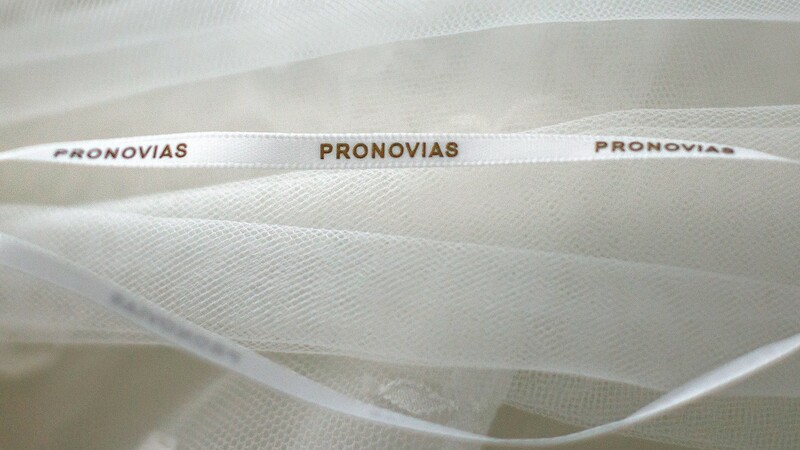 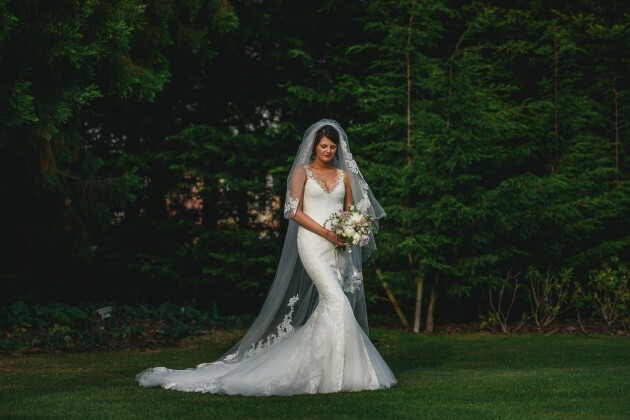 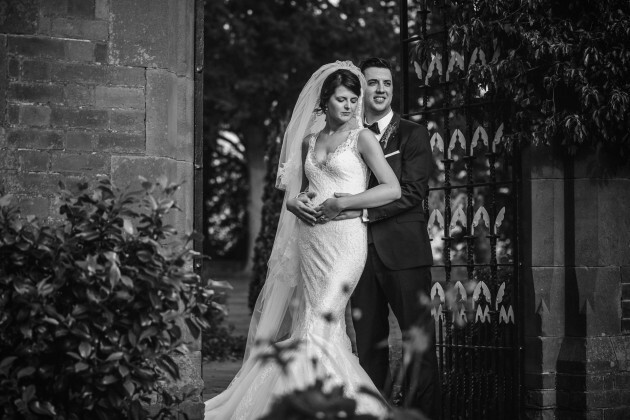 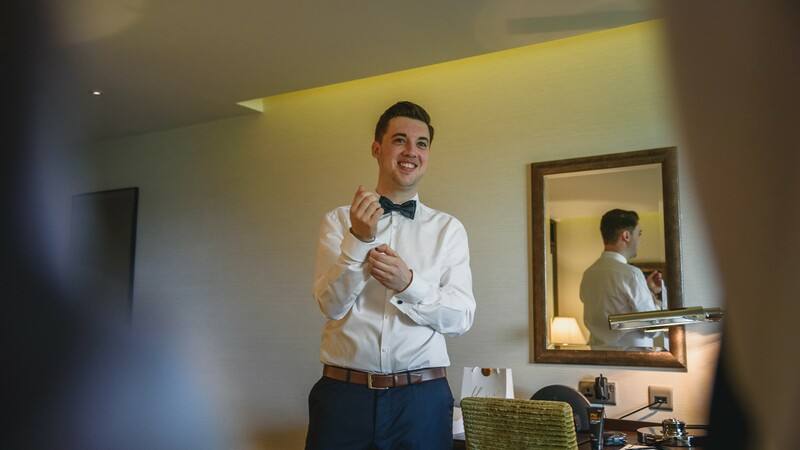 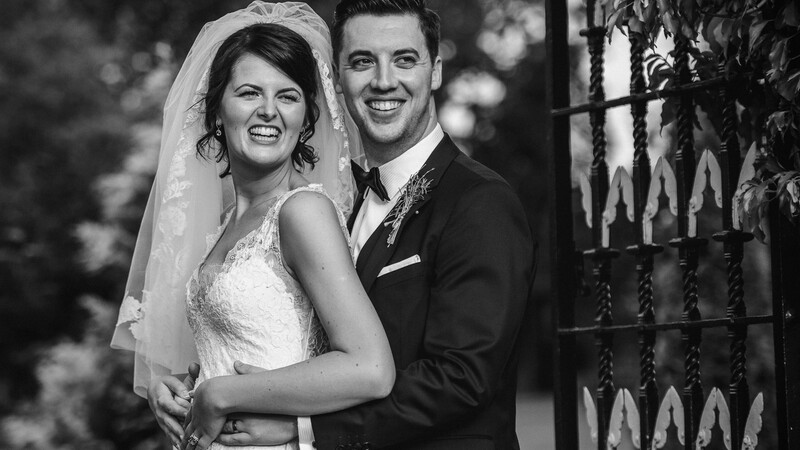 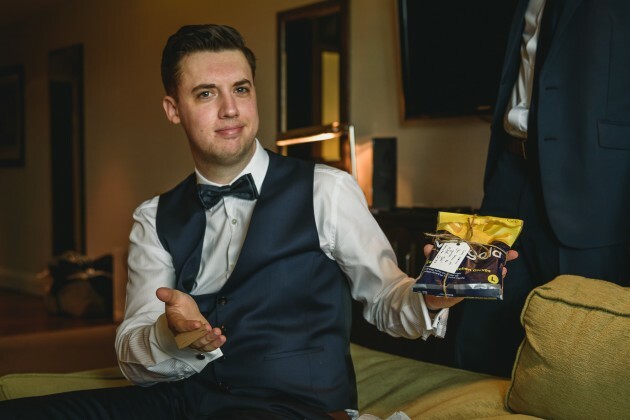 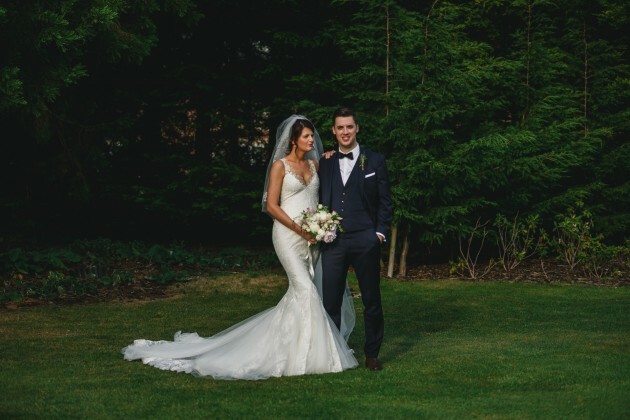 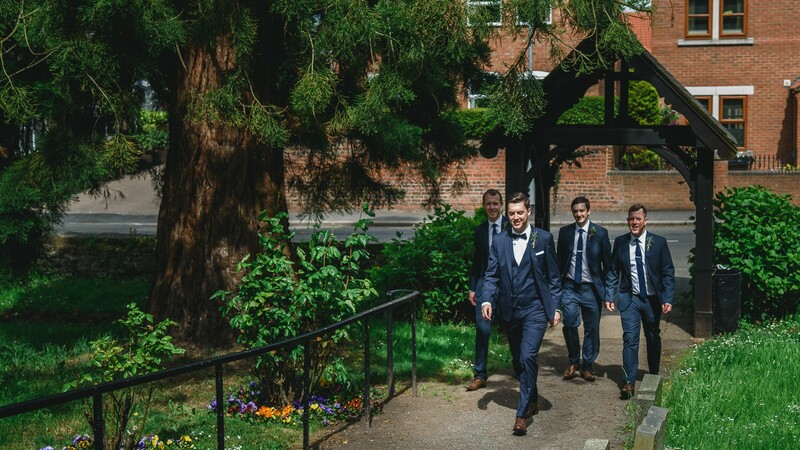 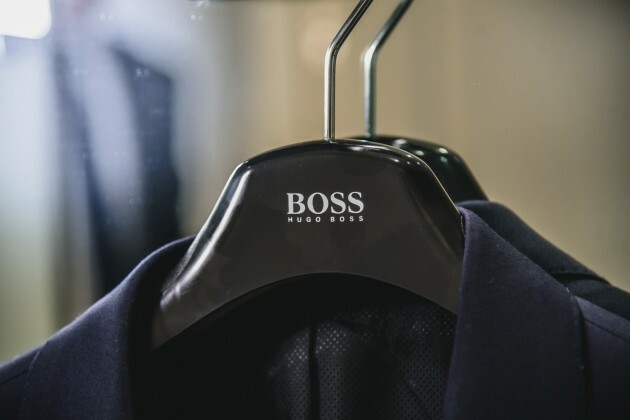 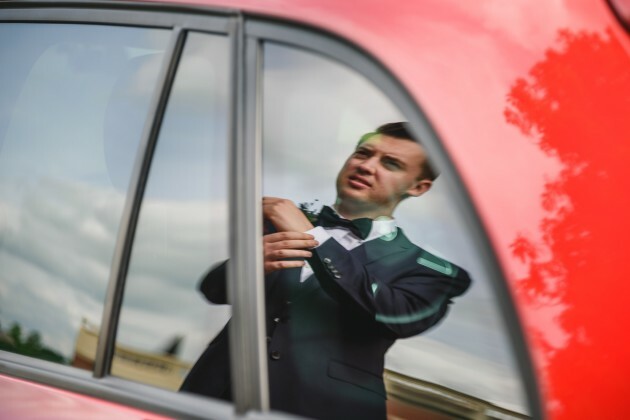 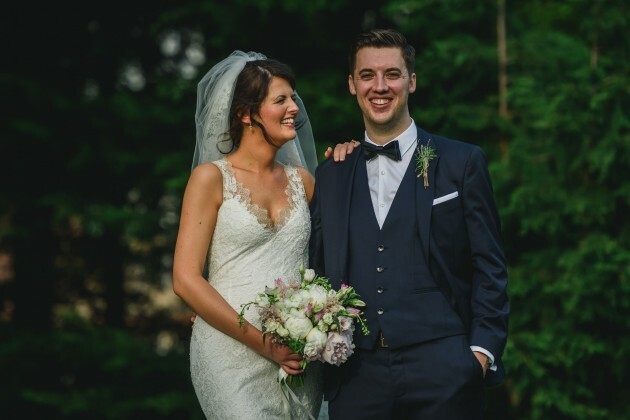 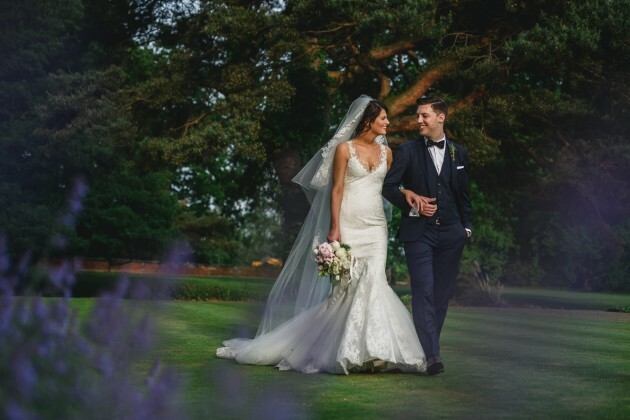 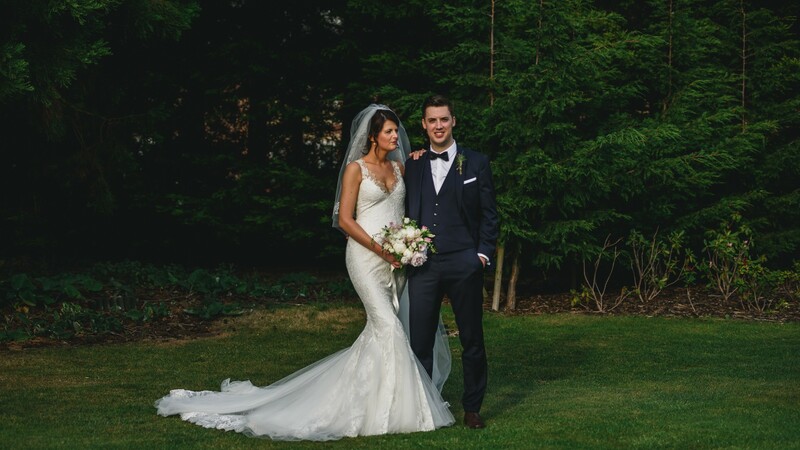 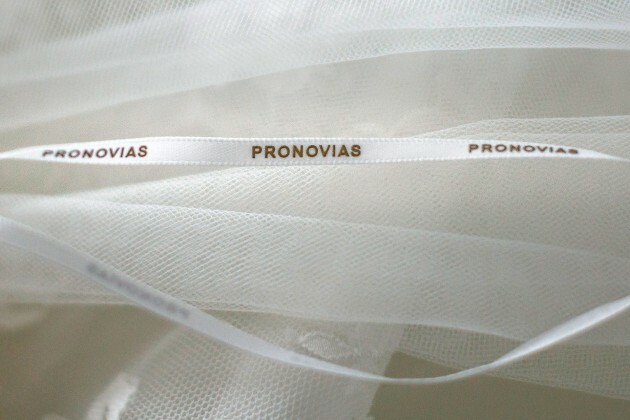 Claire was the epitome of elegance in her Pronovias wedding gown and Tom looked especially dapper in his Hugo Boss suit and bow tie. 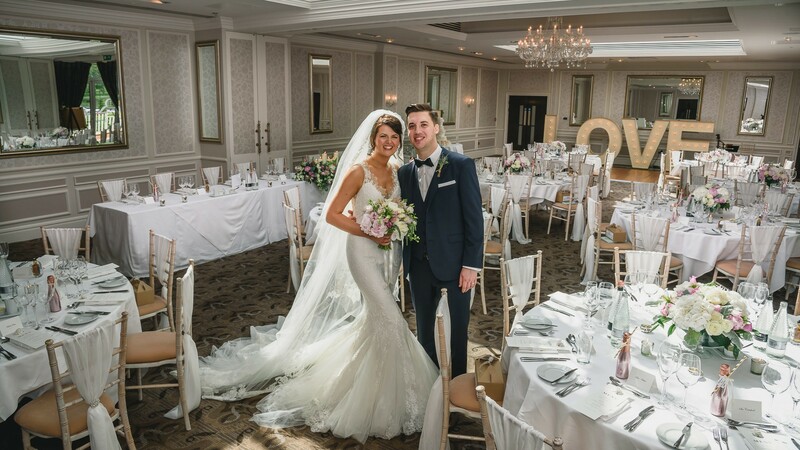 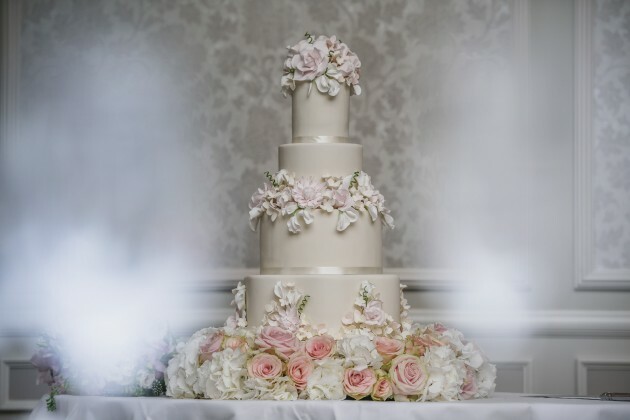 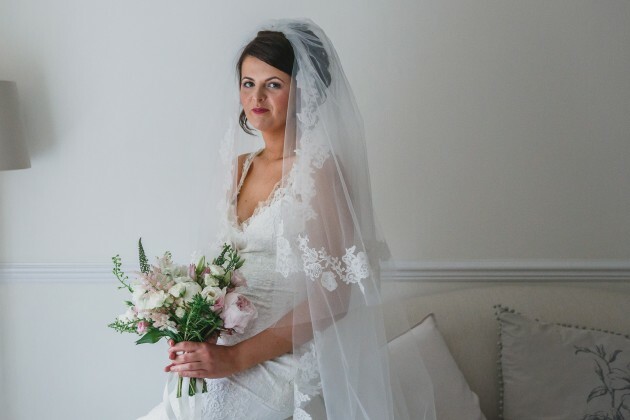 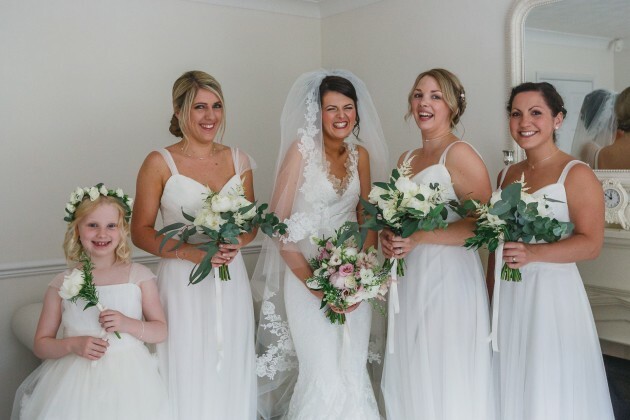 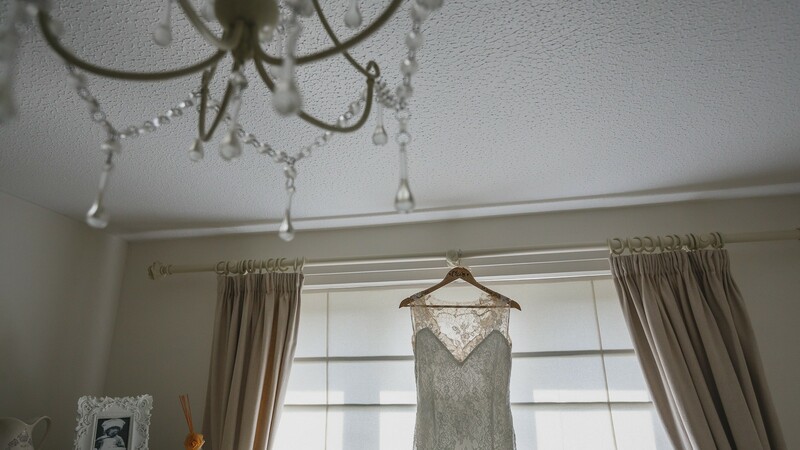 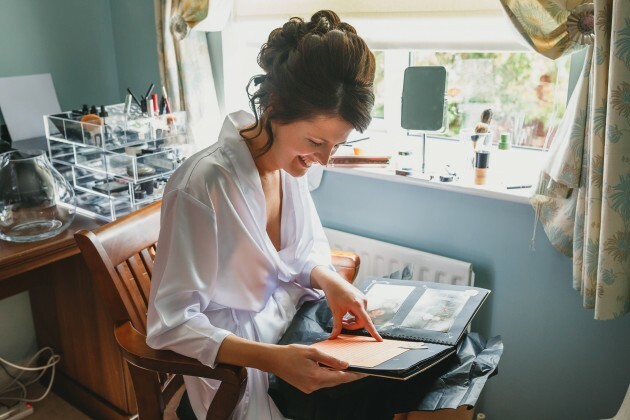 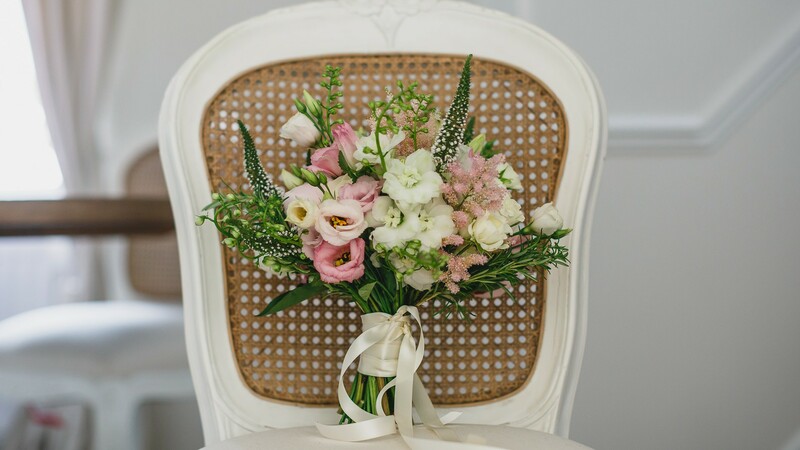 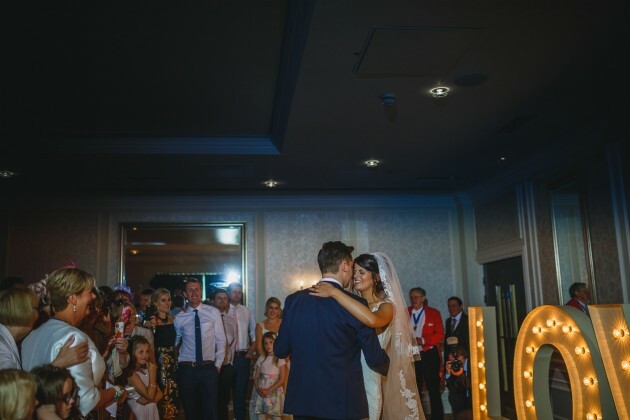 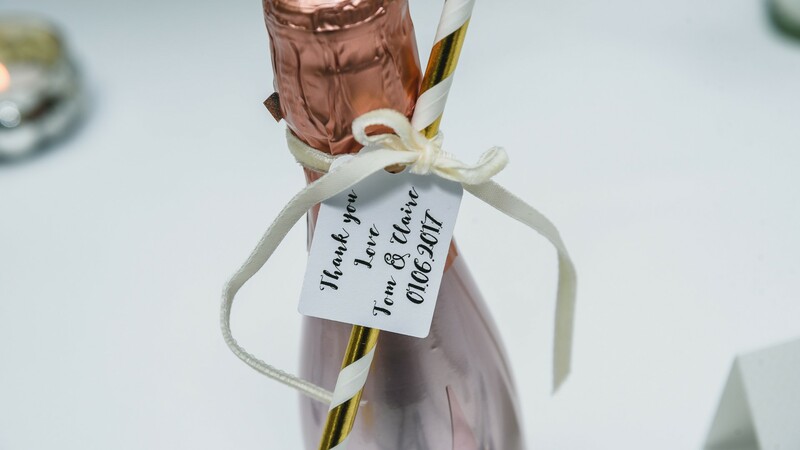 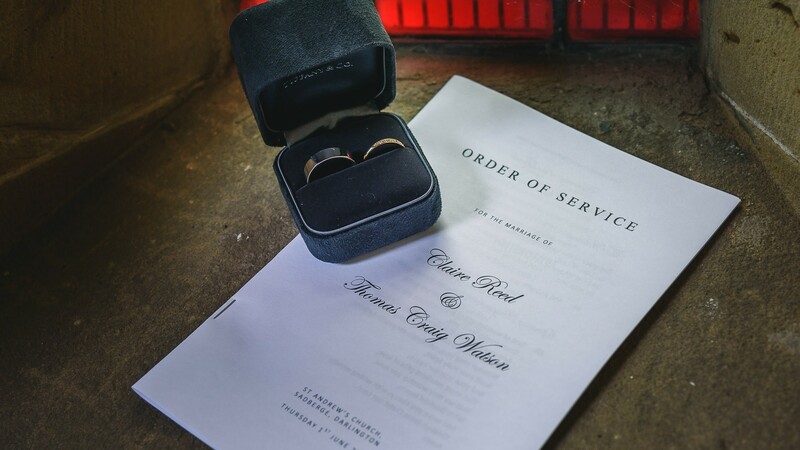 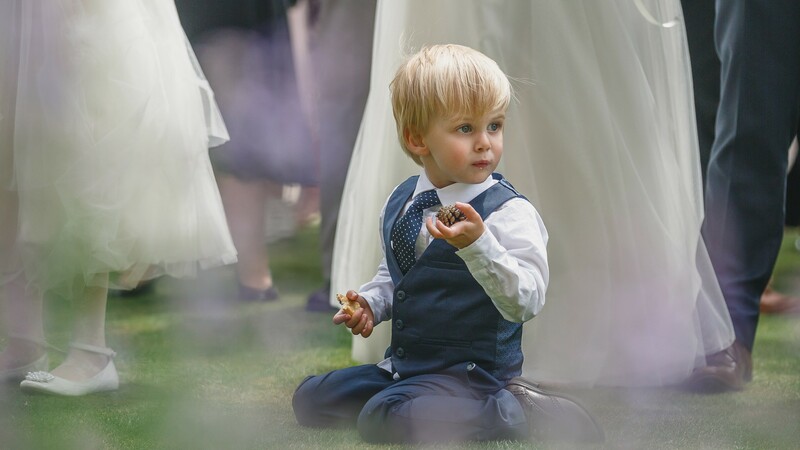 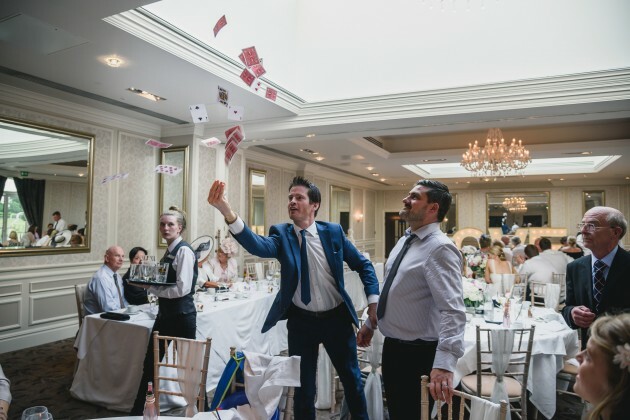 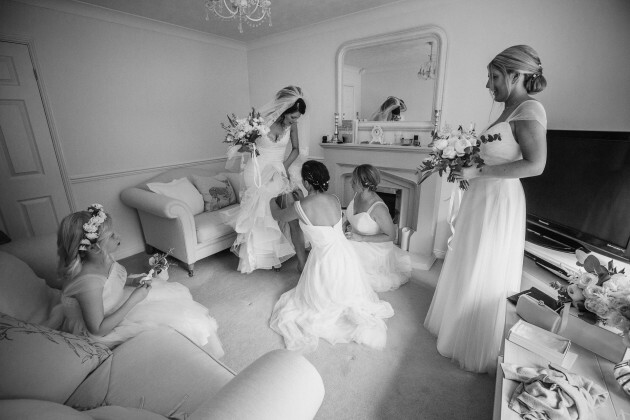 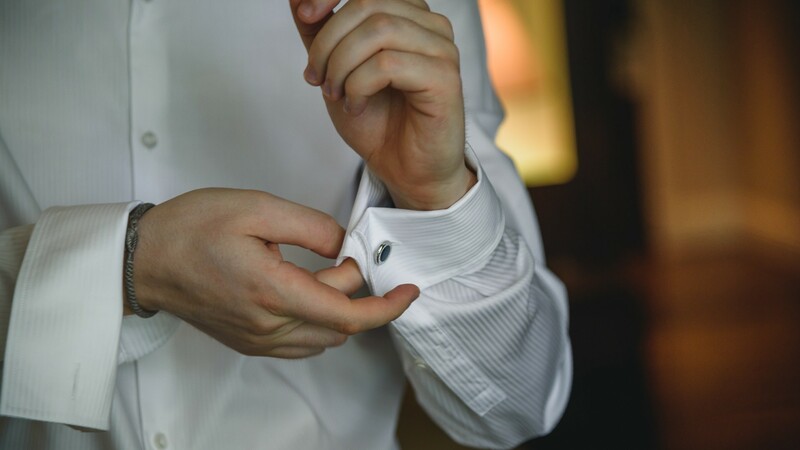 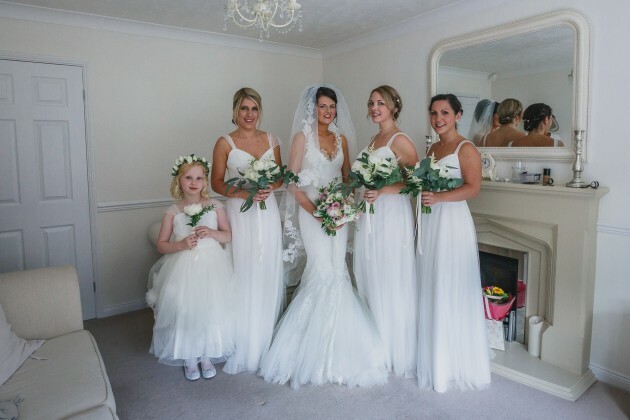 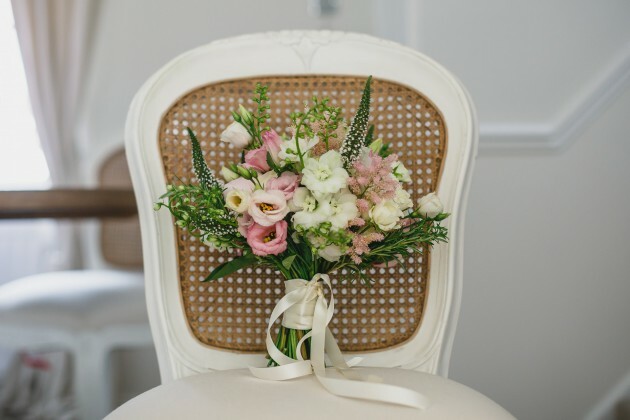 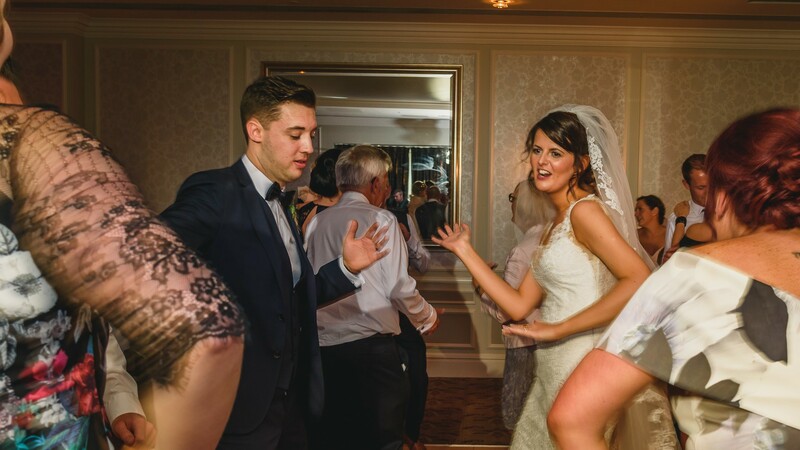 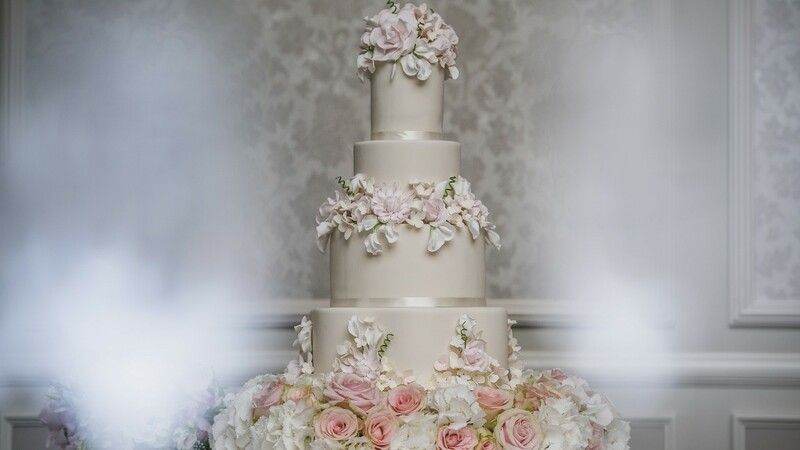 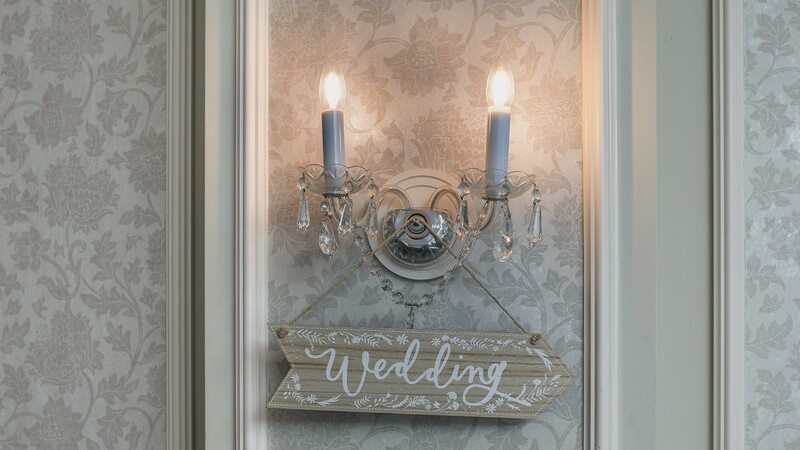 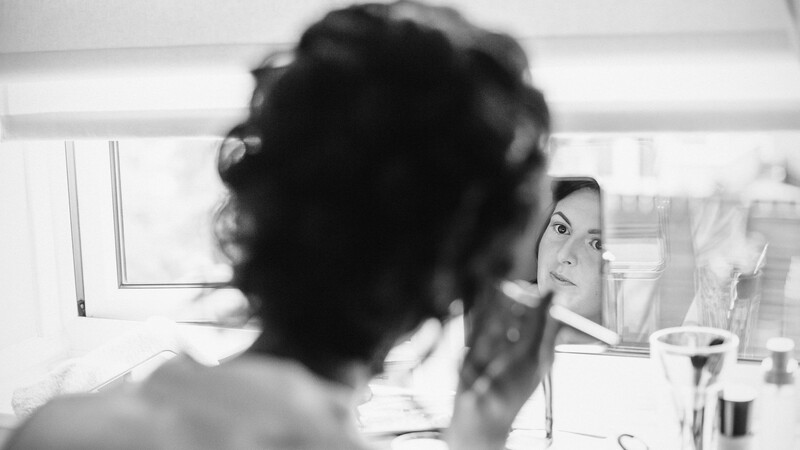 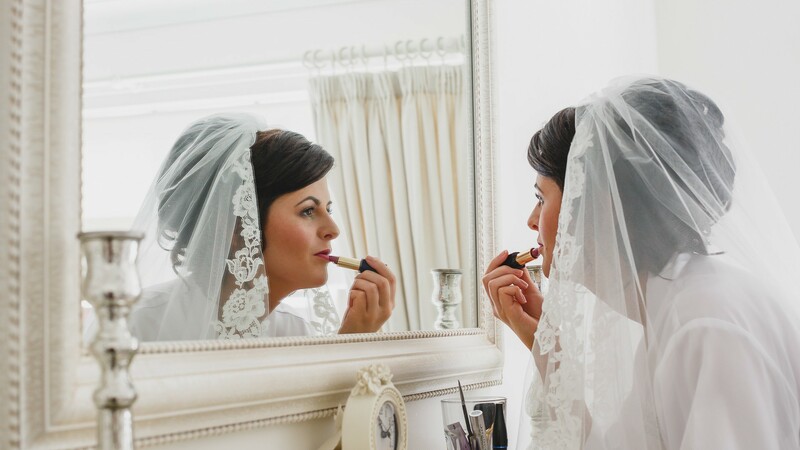 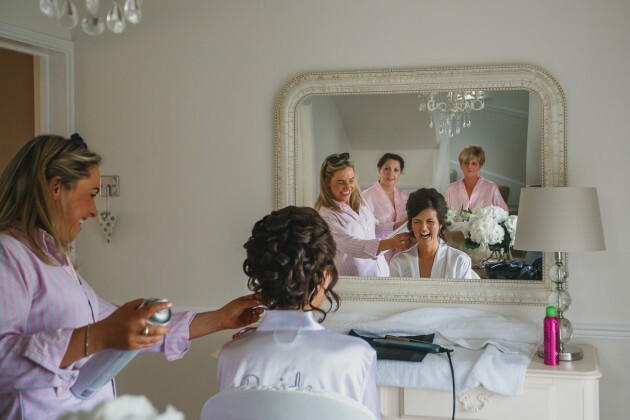 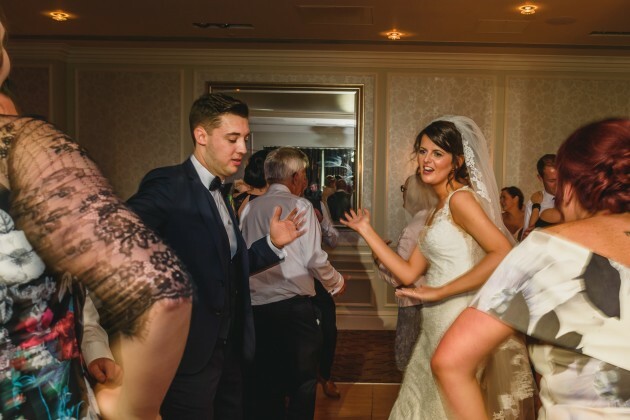 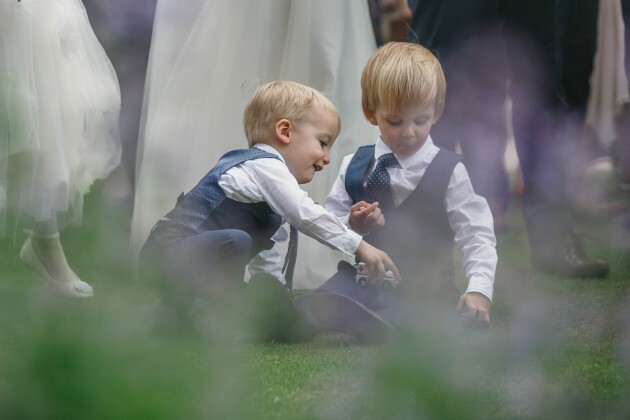 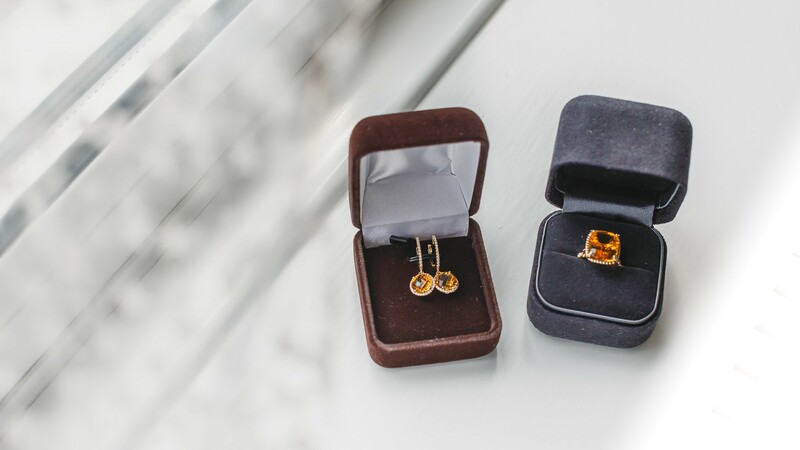 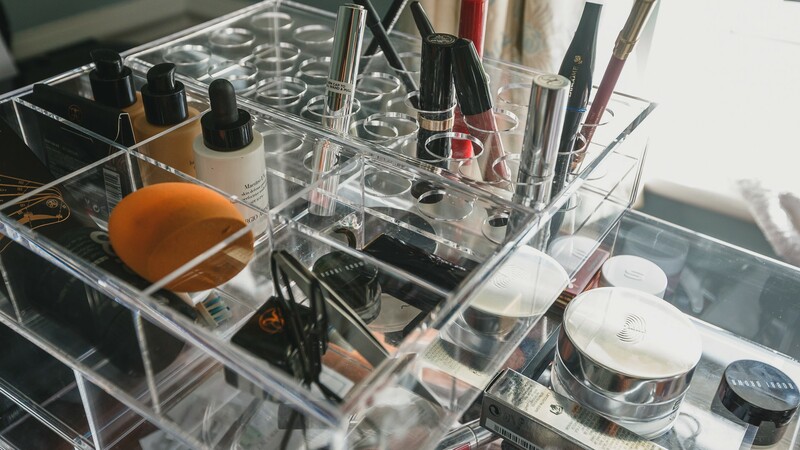 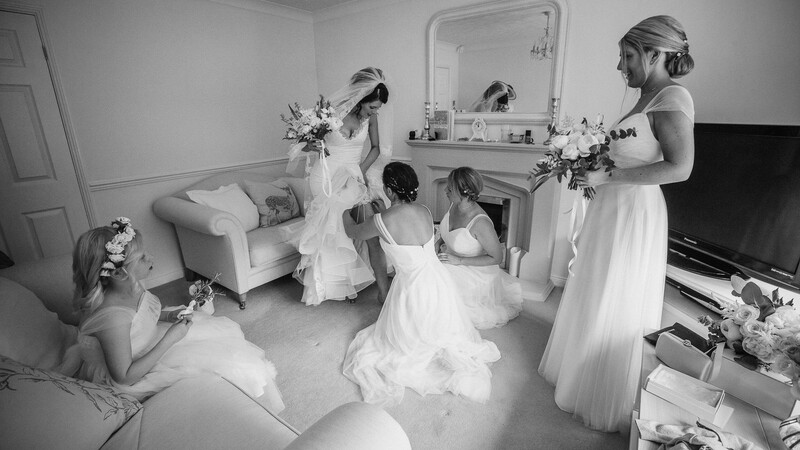 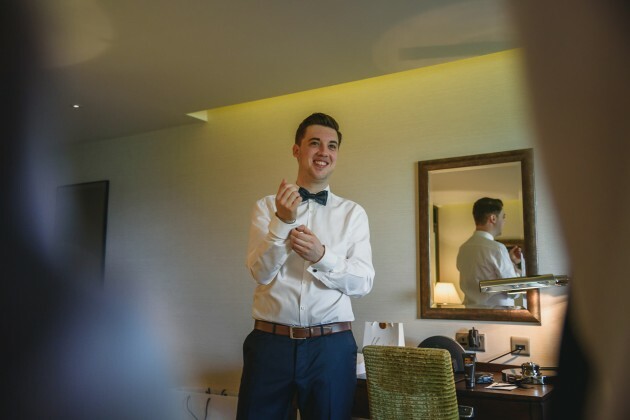 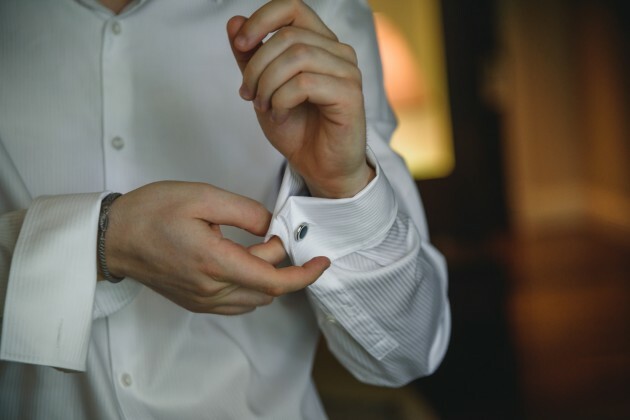 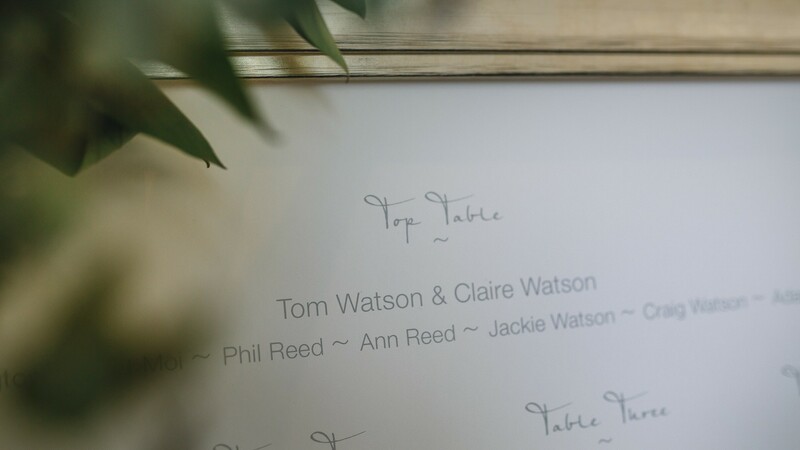 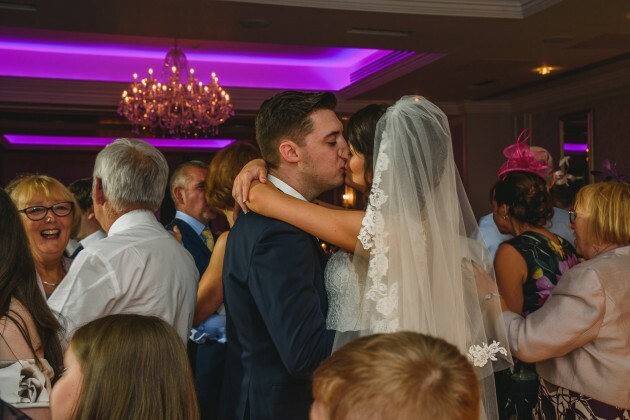 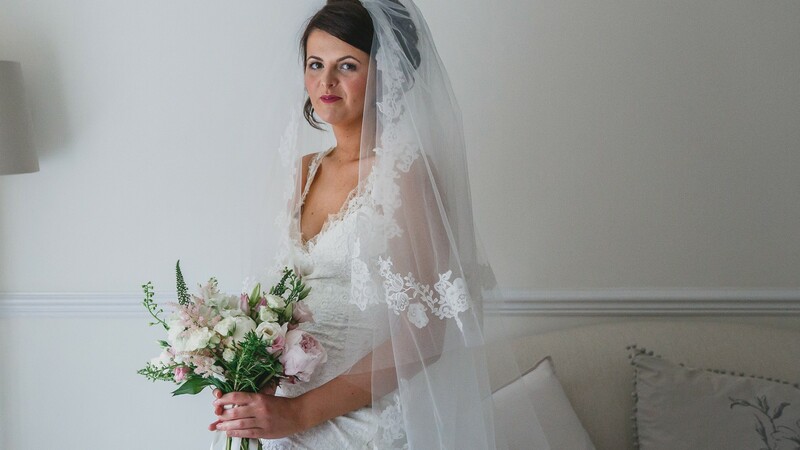 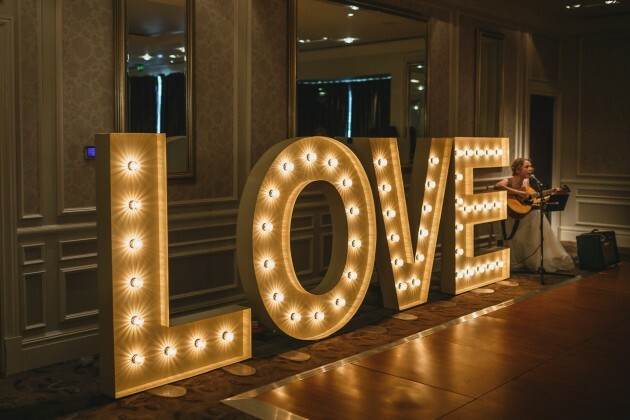 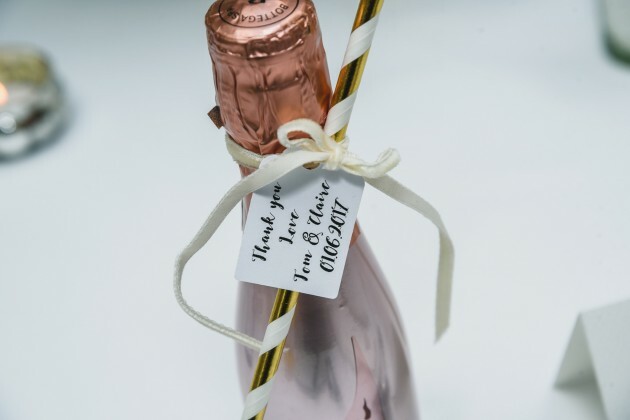 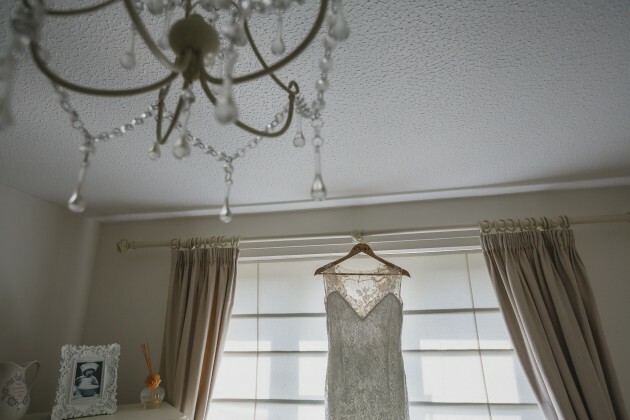 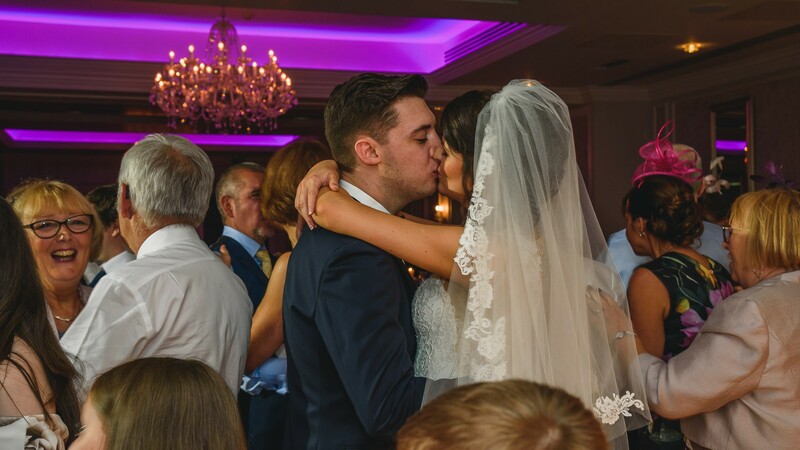 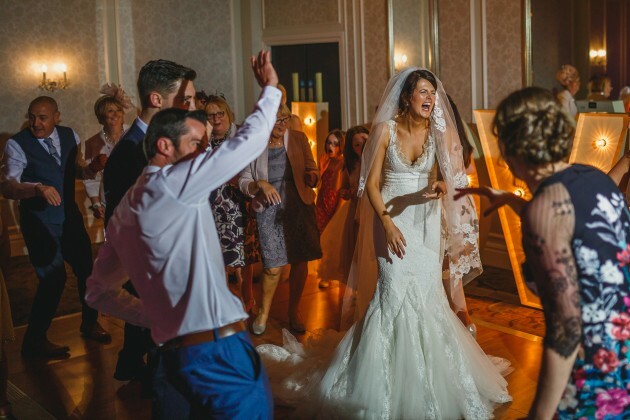 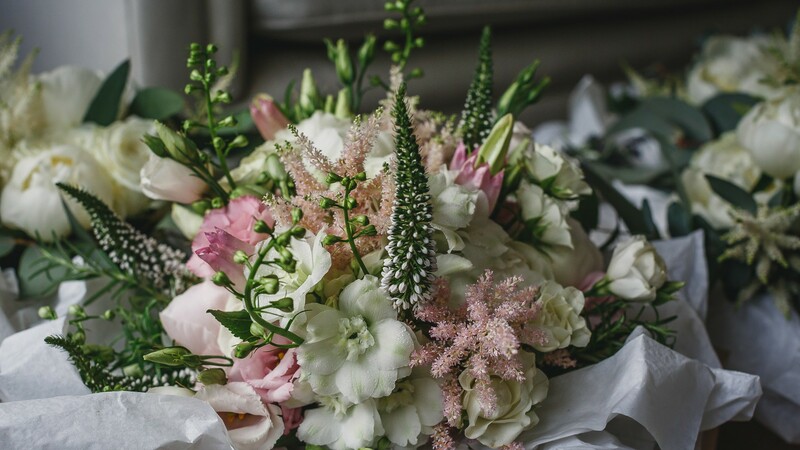 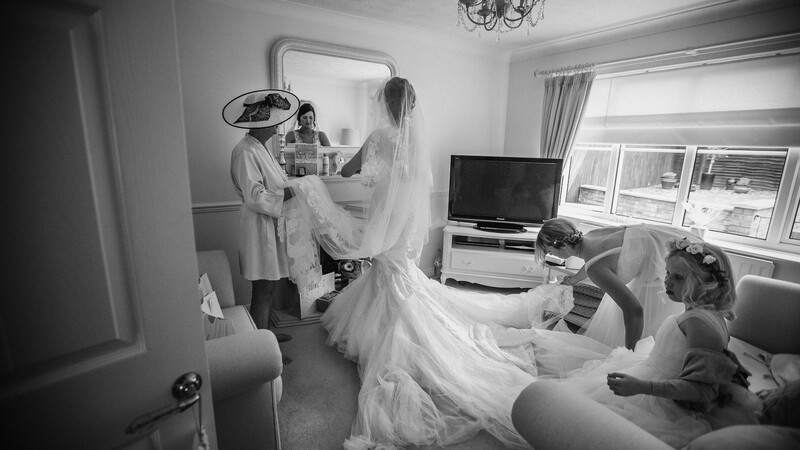 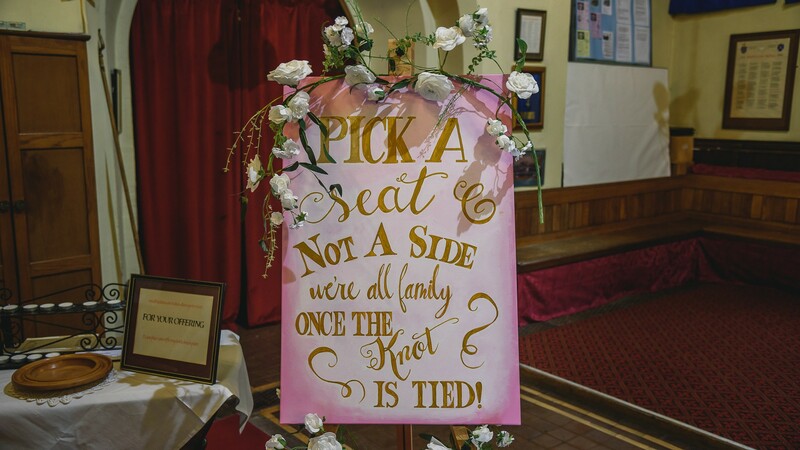 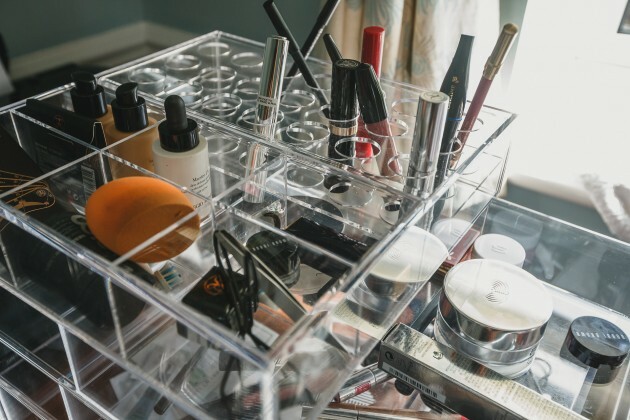 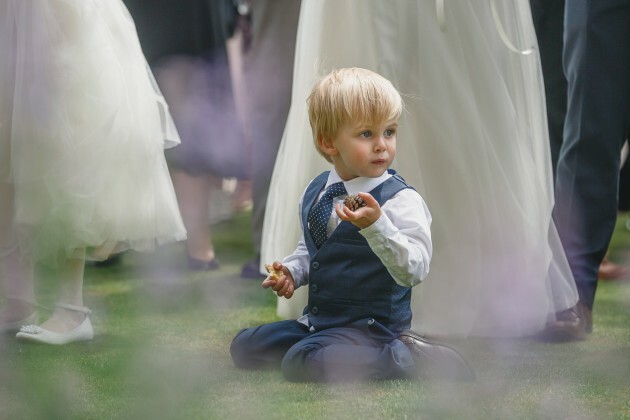 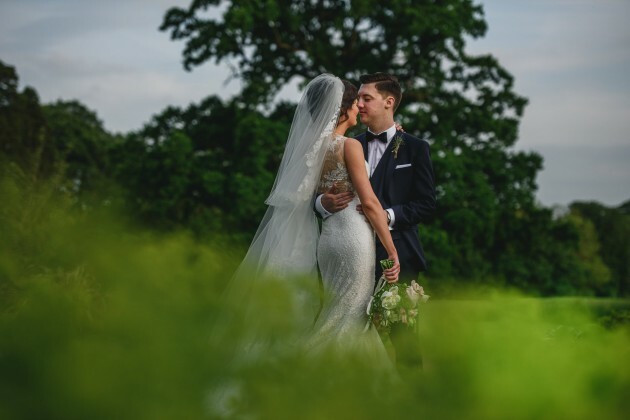 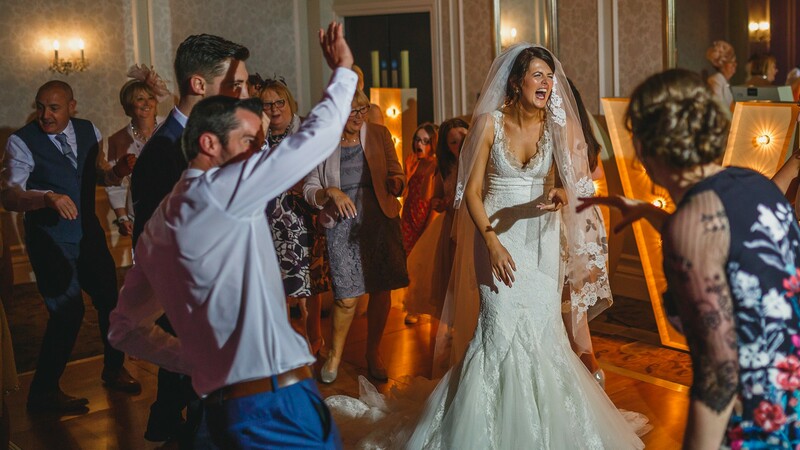 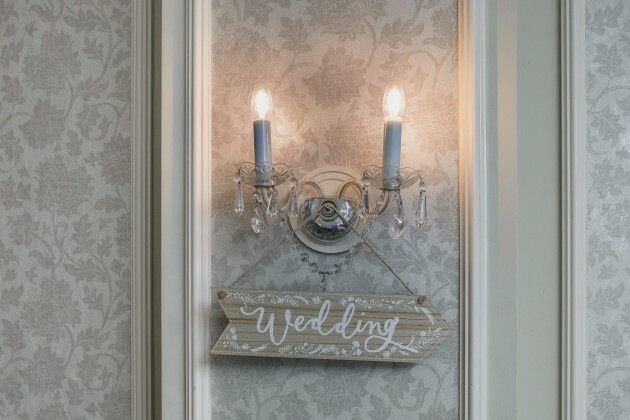 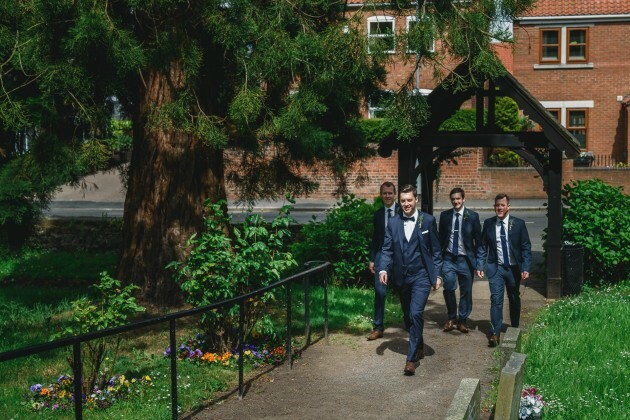 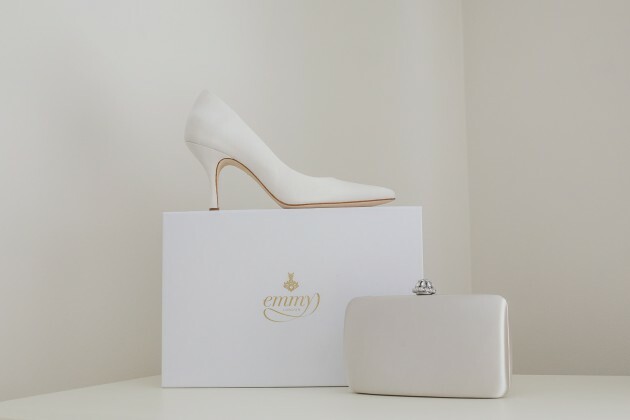 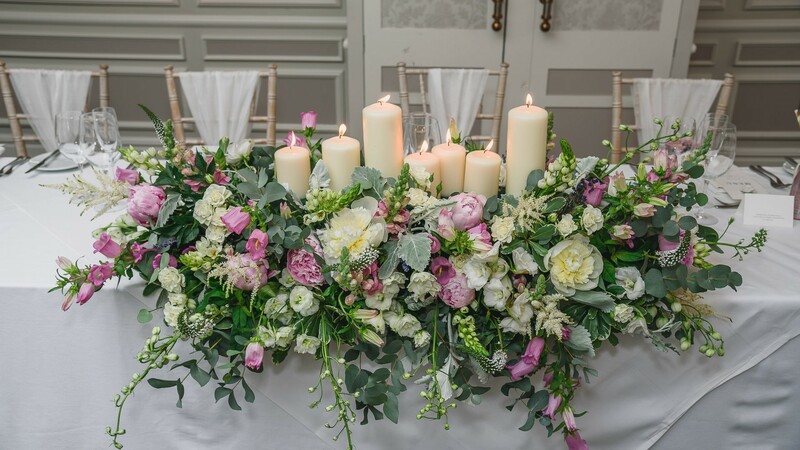 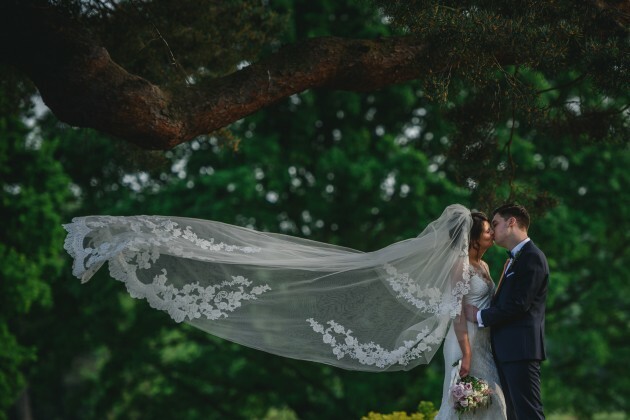 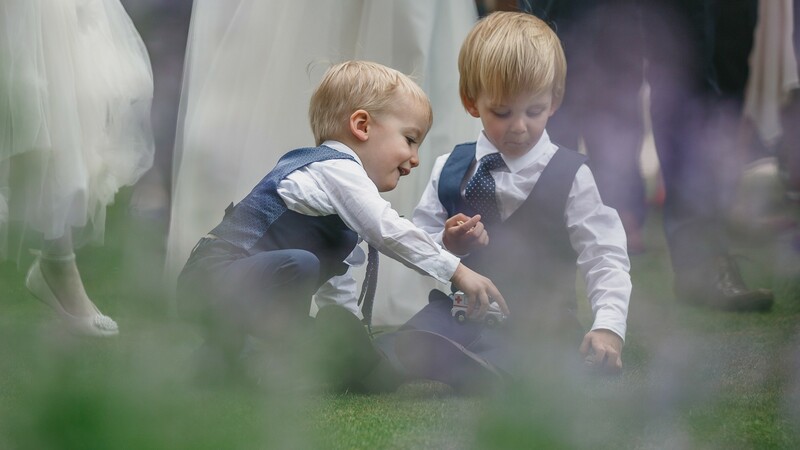 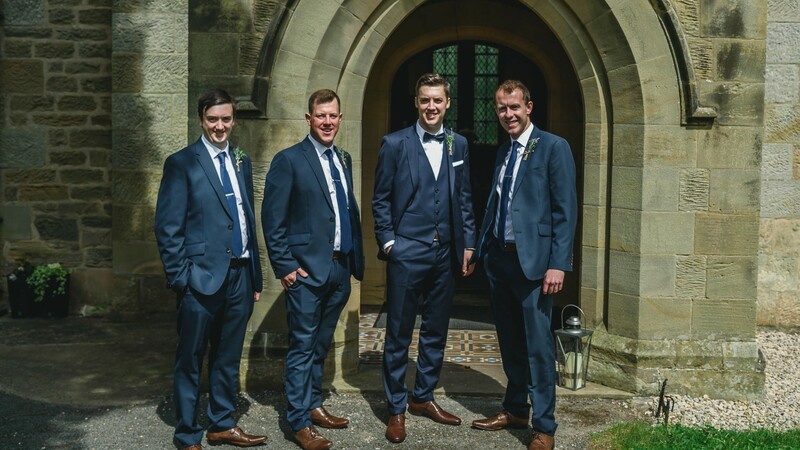 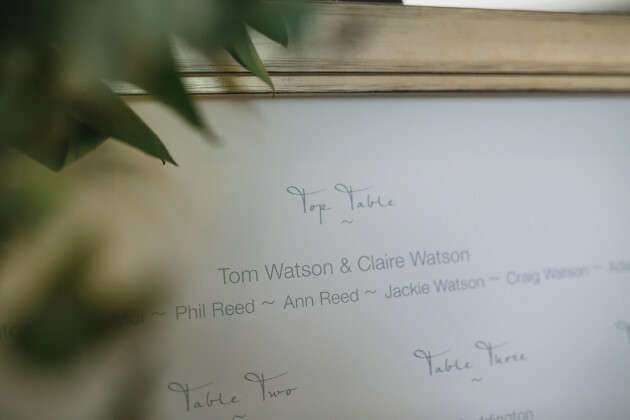 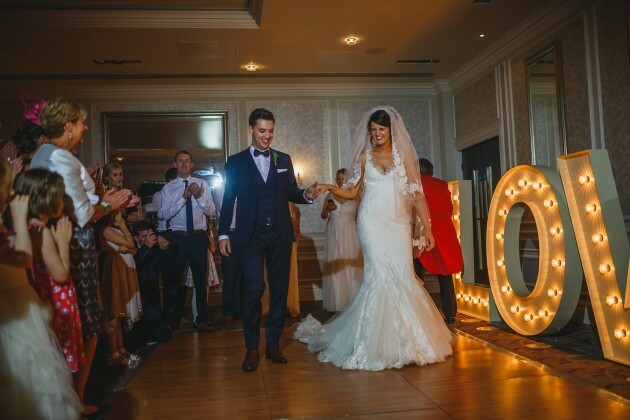 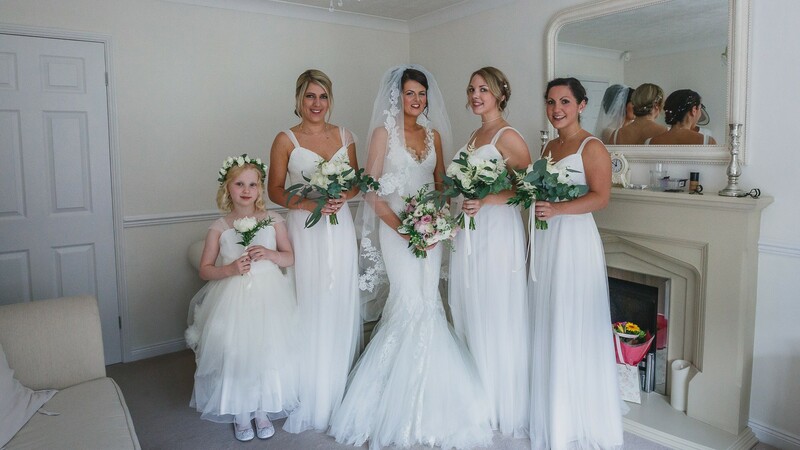 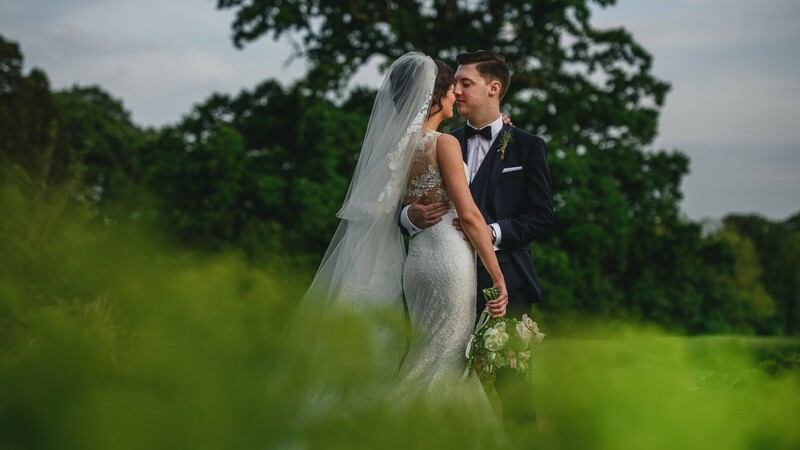 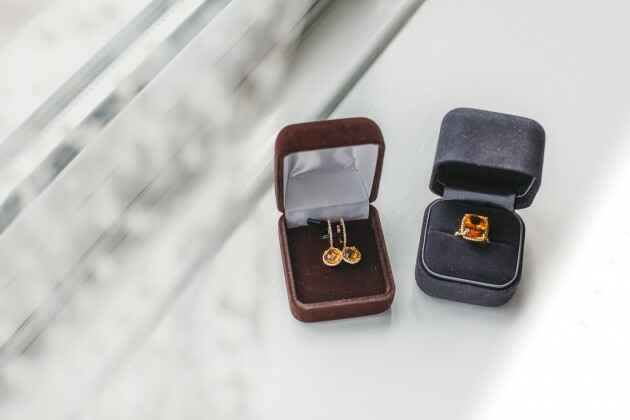 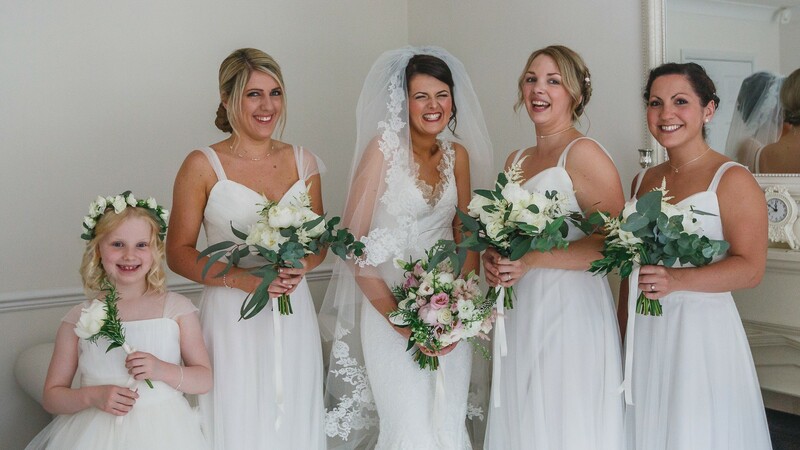 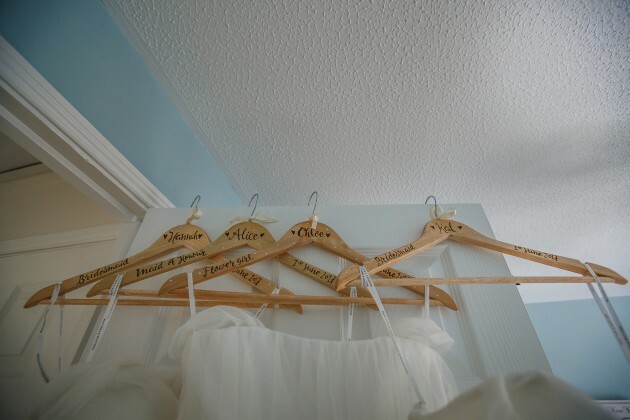 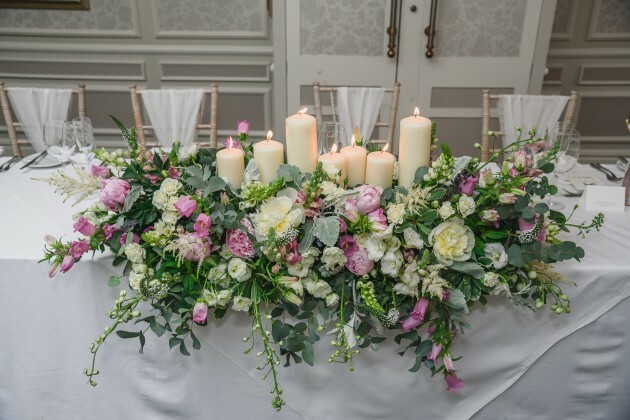 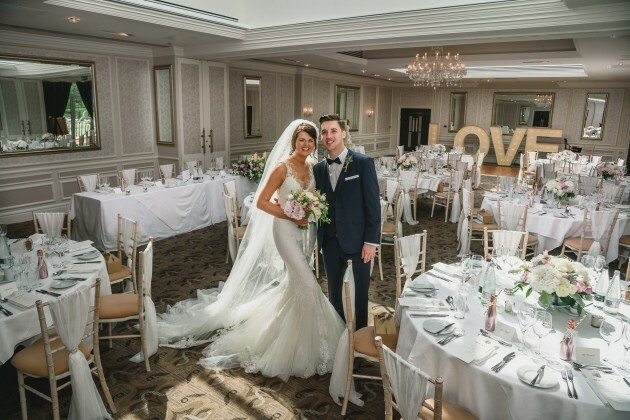 We knew from day one that their wedding was going to be classical and understated, the very subtle and neutral tones that Claire chose (sorry Tom, we know you helped a little bit!) 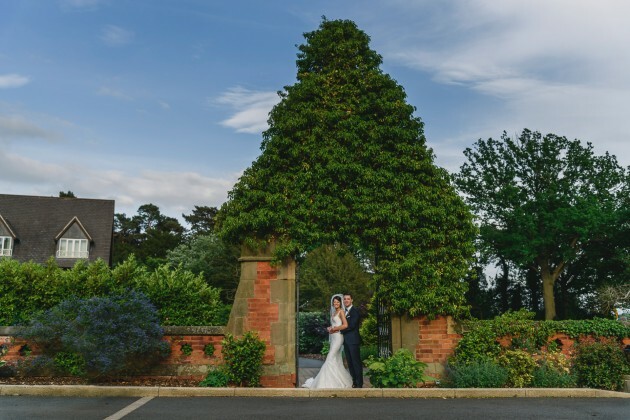 only enhanced the already beautiful surroundings at Rockliffe Hall. 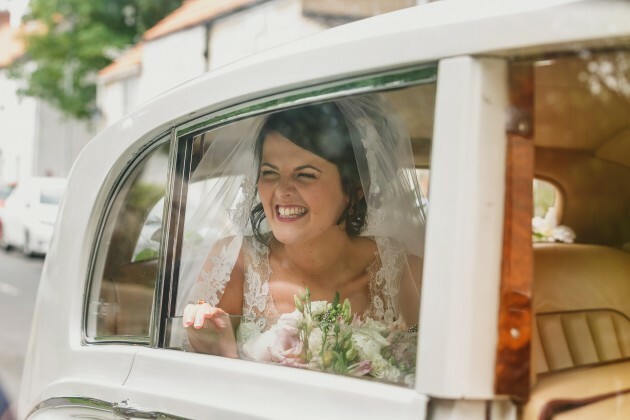 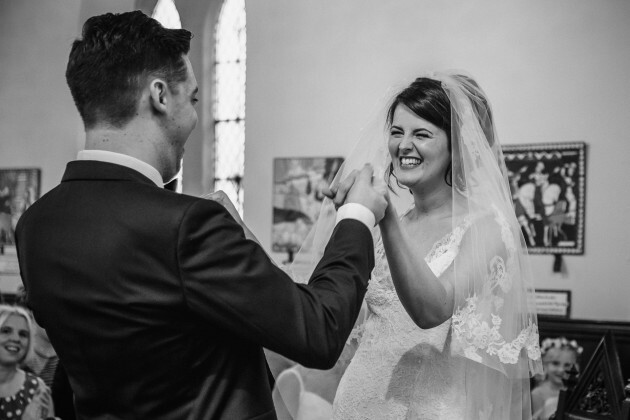 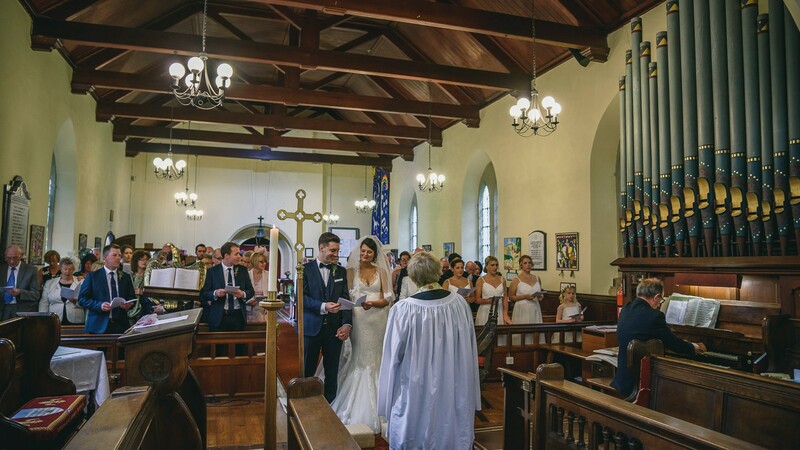 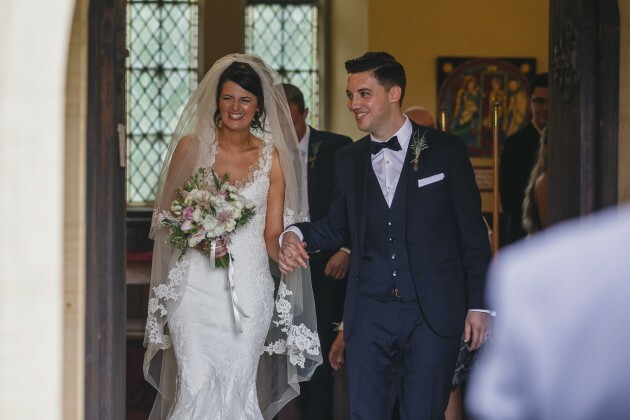 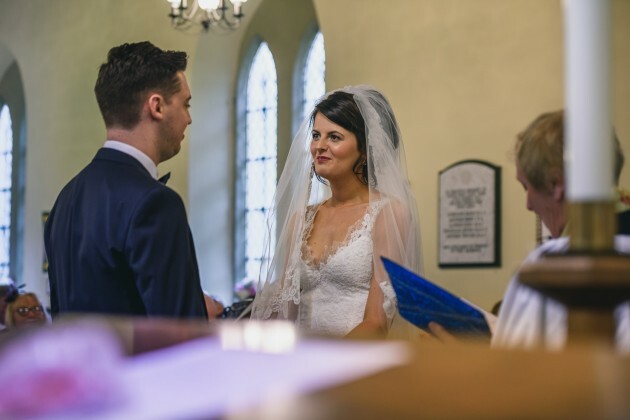 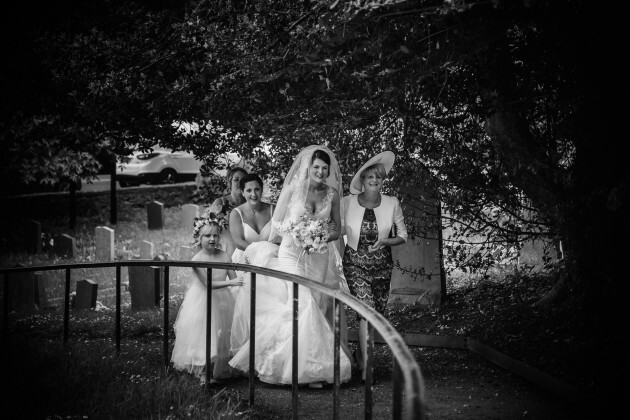 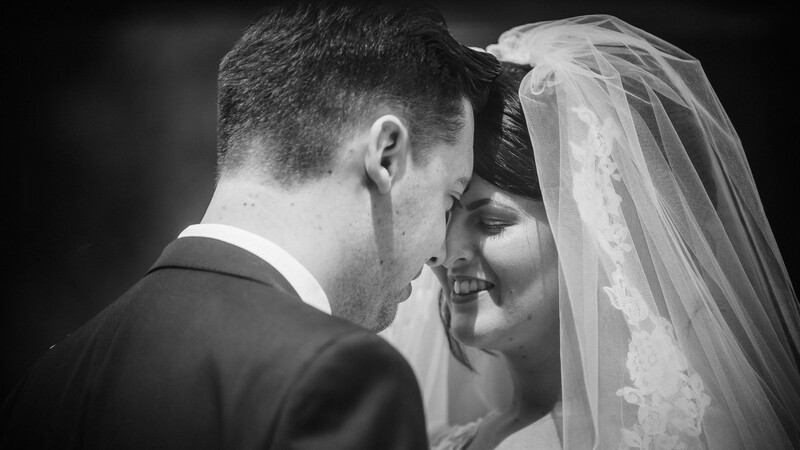 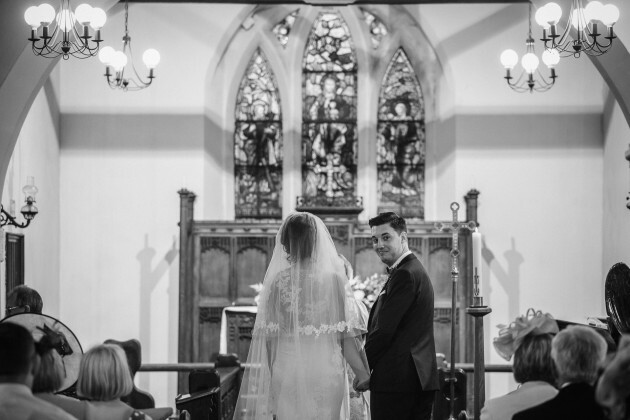 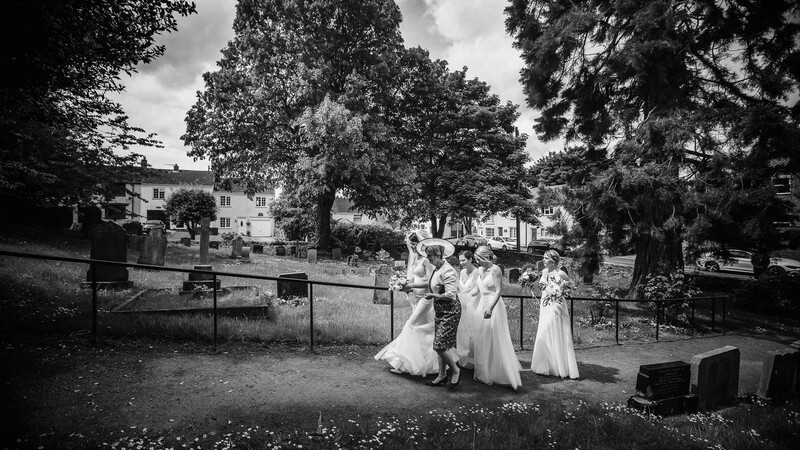 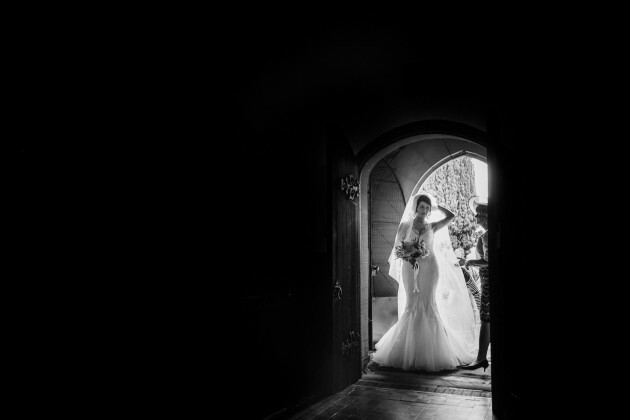 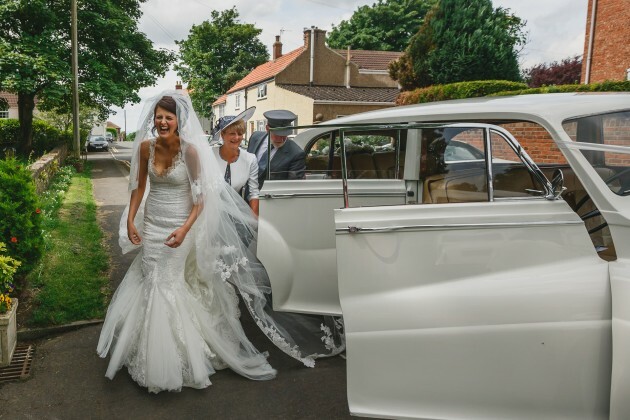 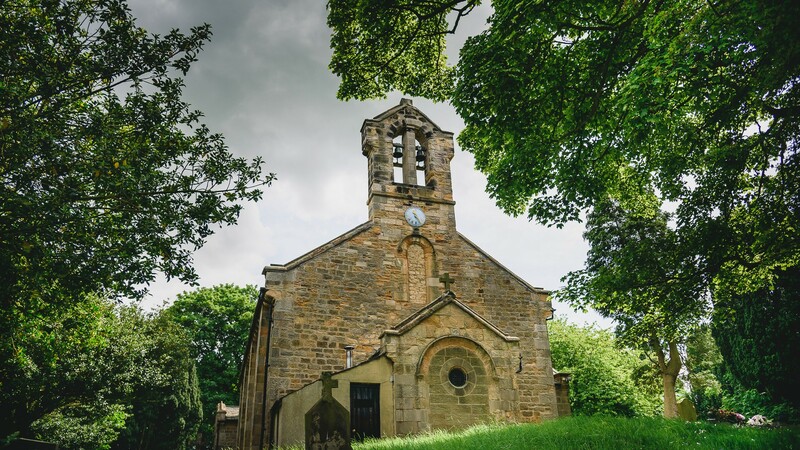 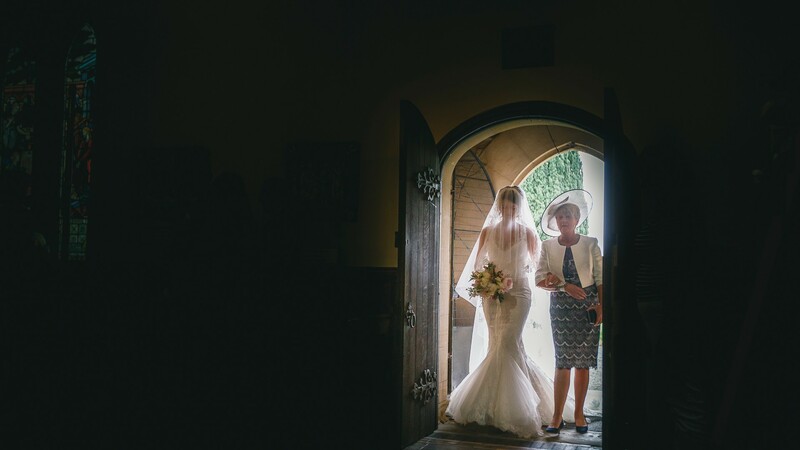 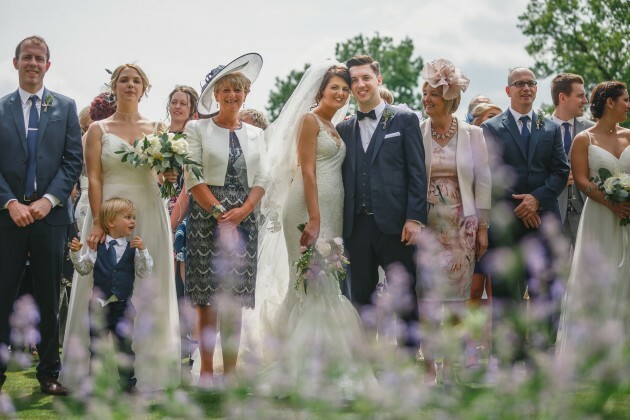 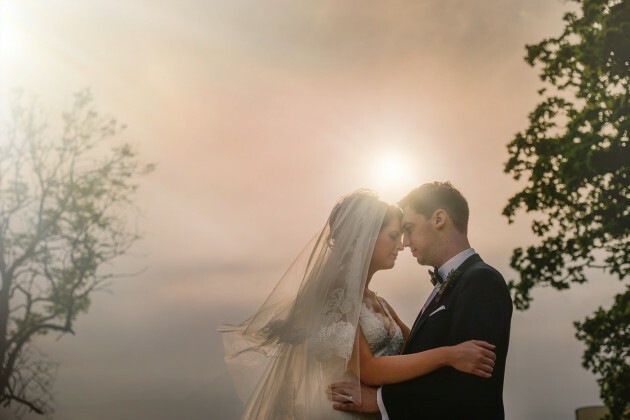 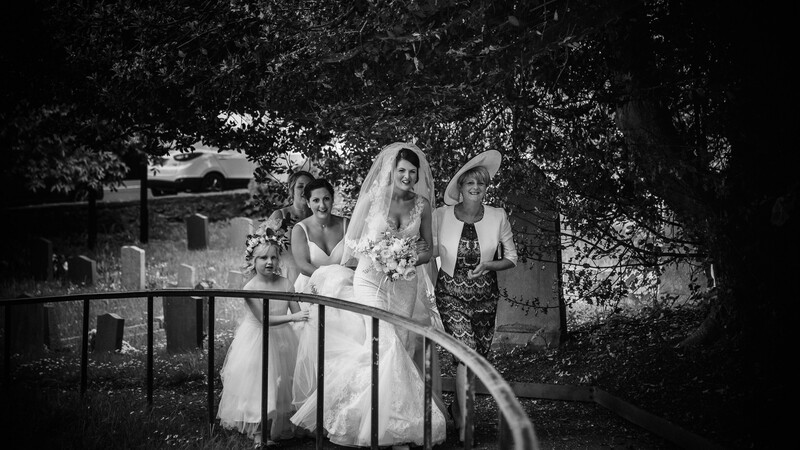 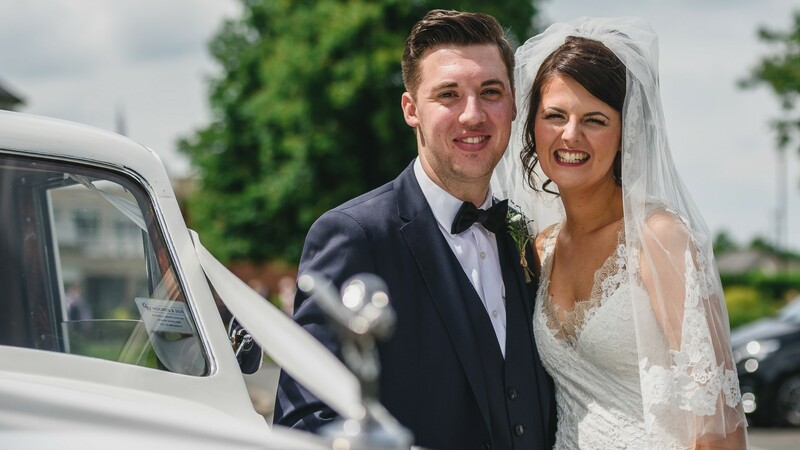 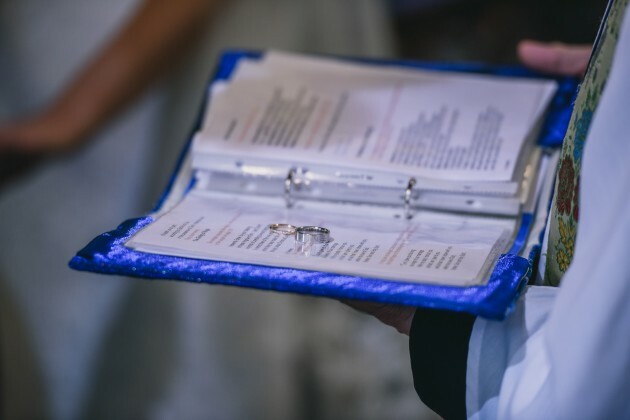 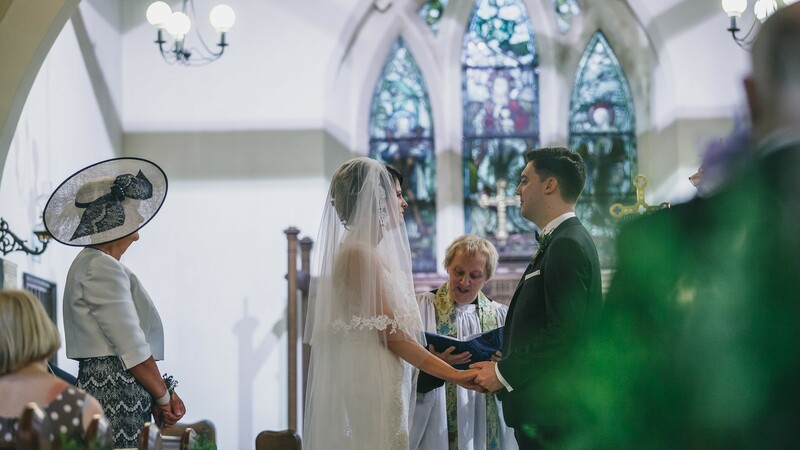 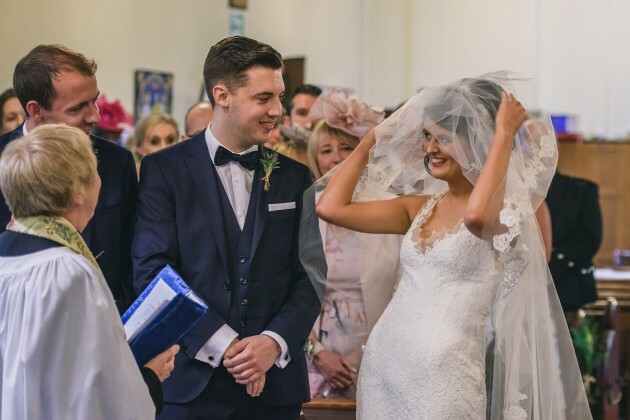 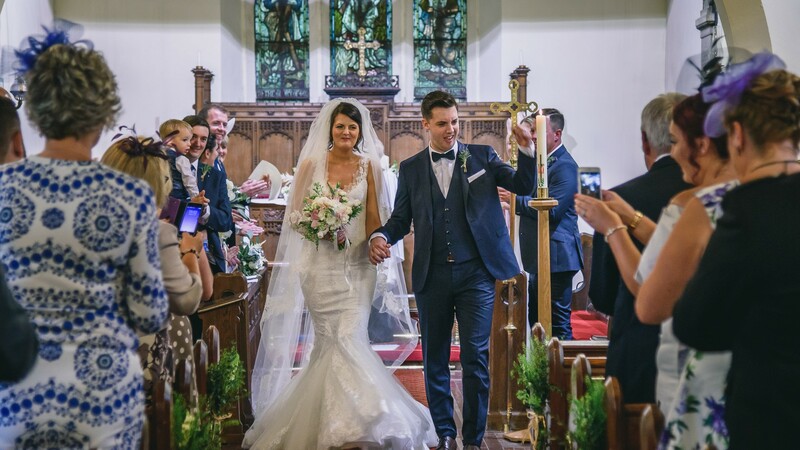 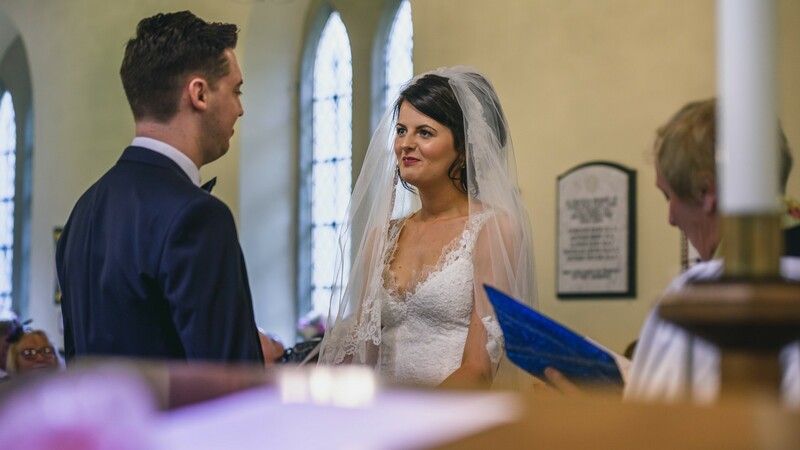 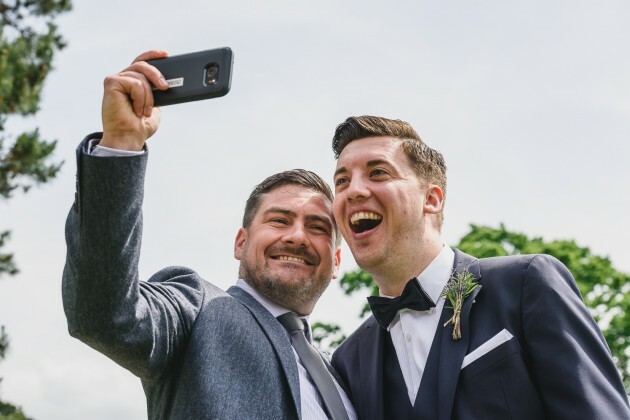 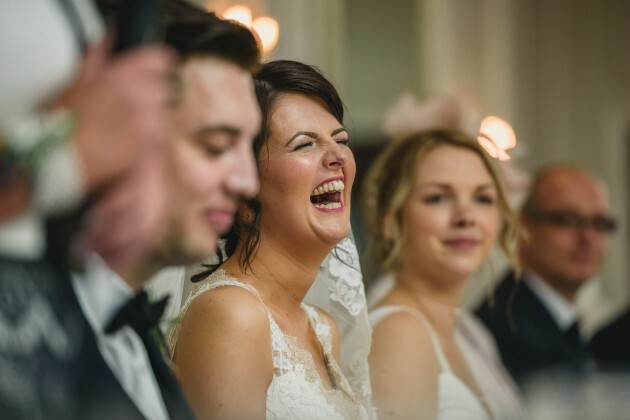 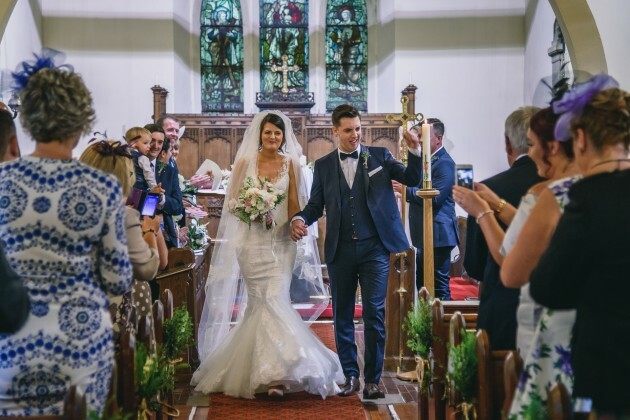 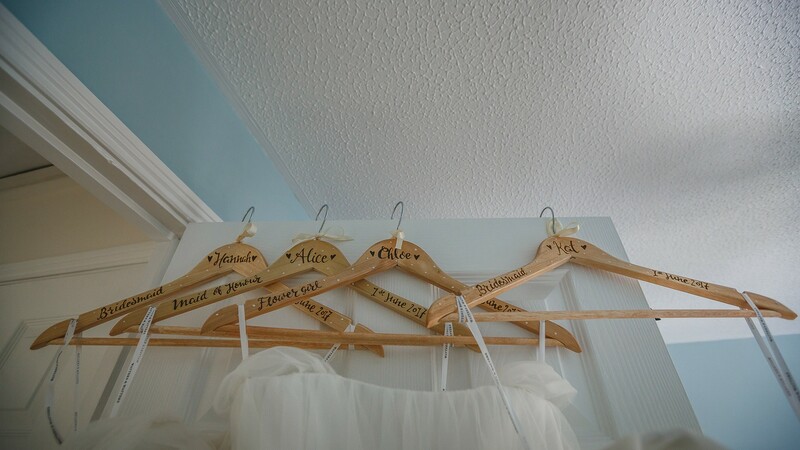 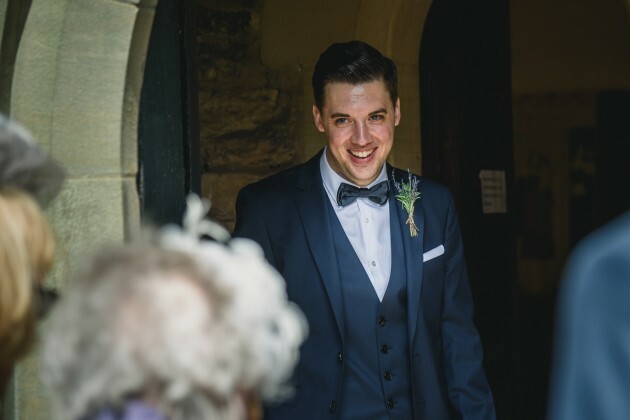 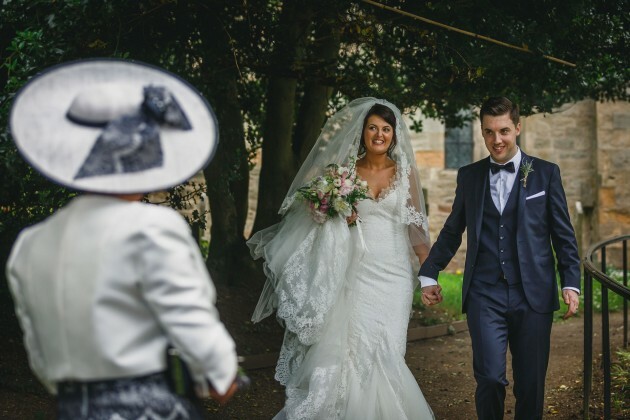 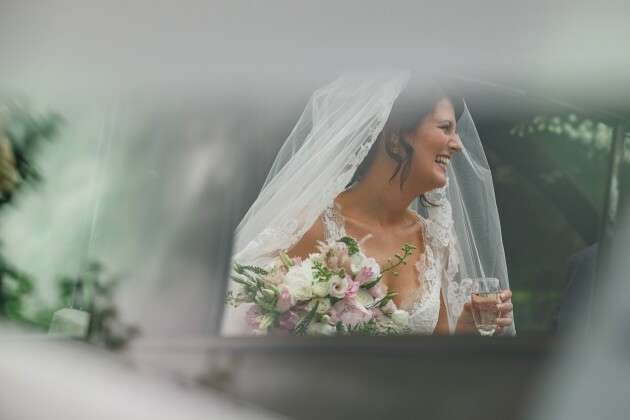 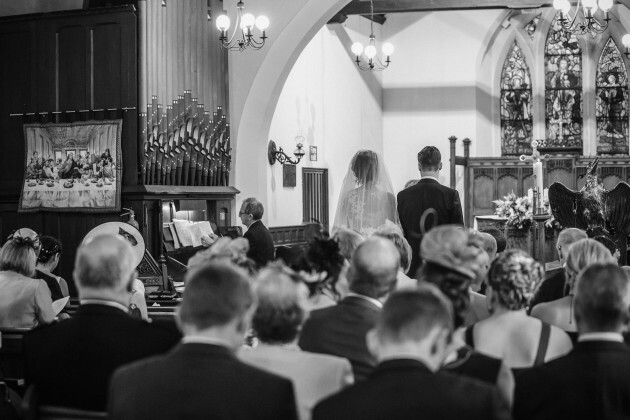 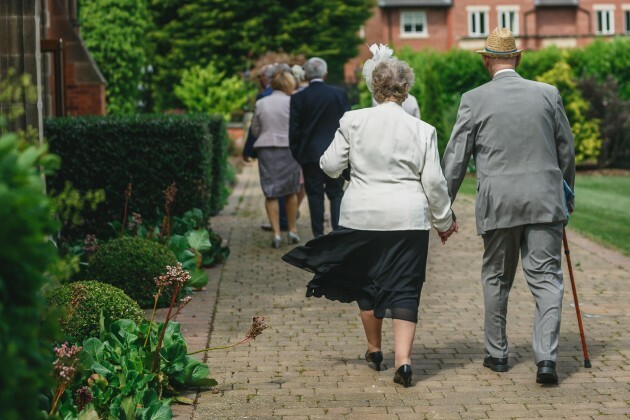 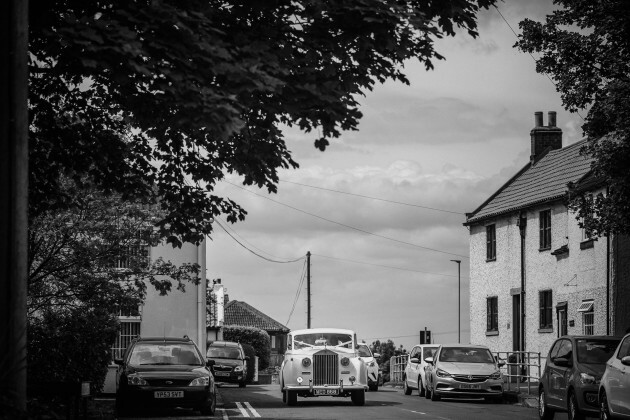 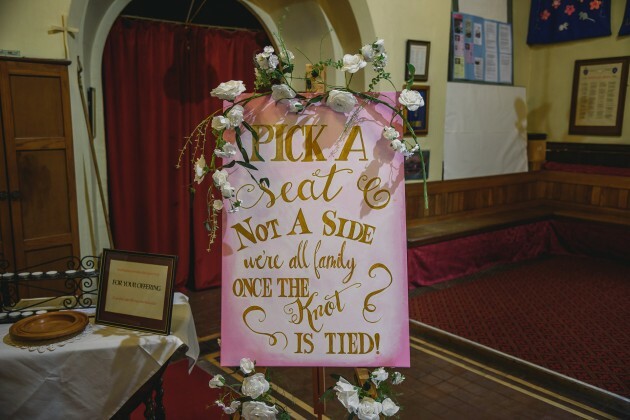 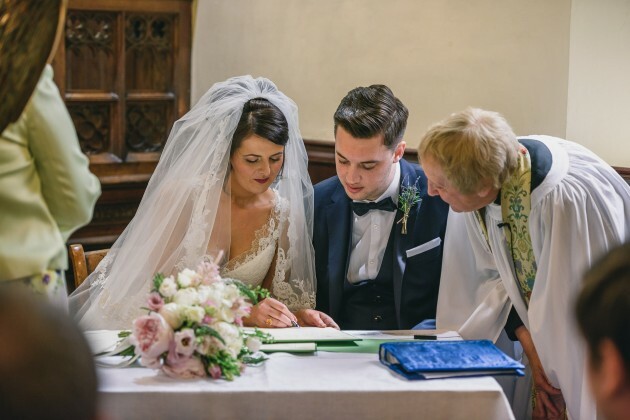 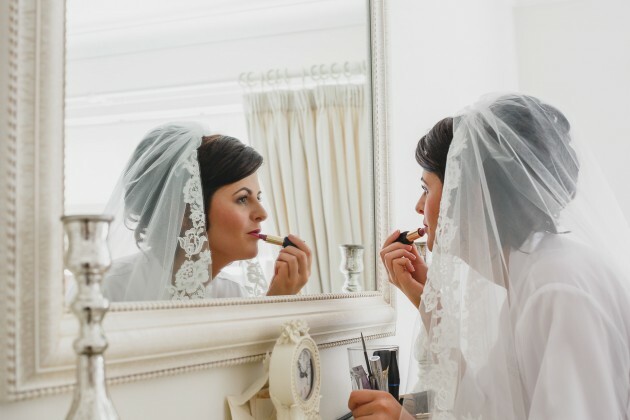 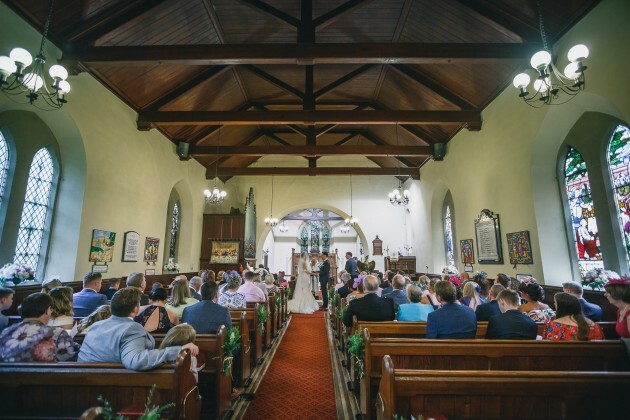 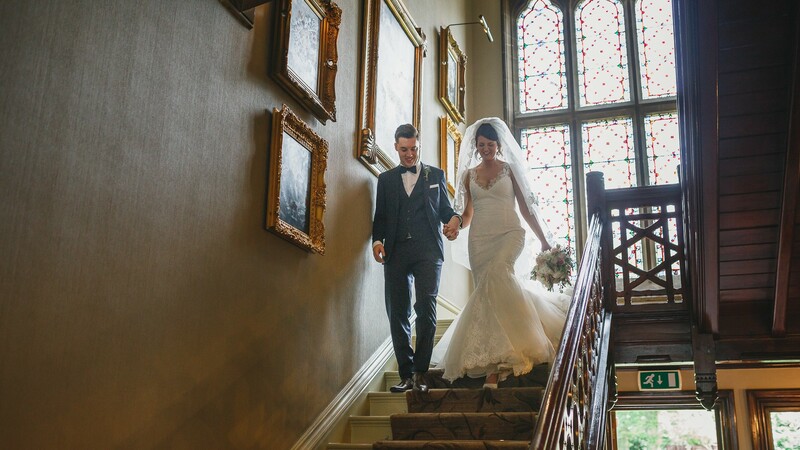 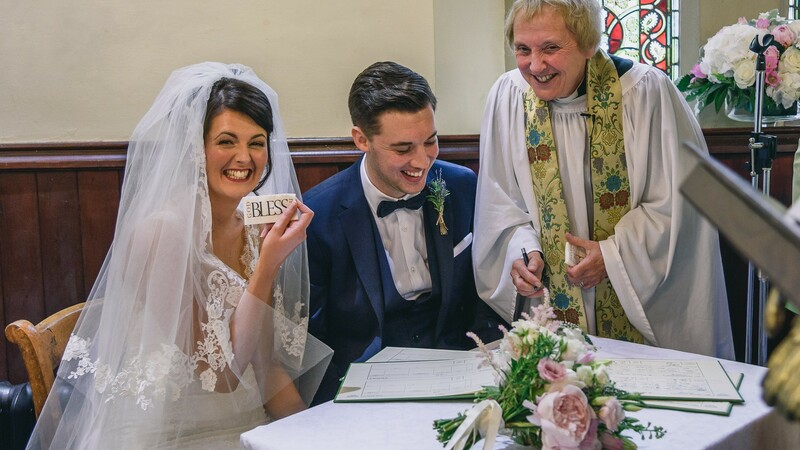 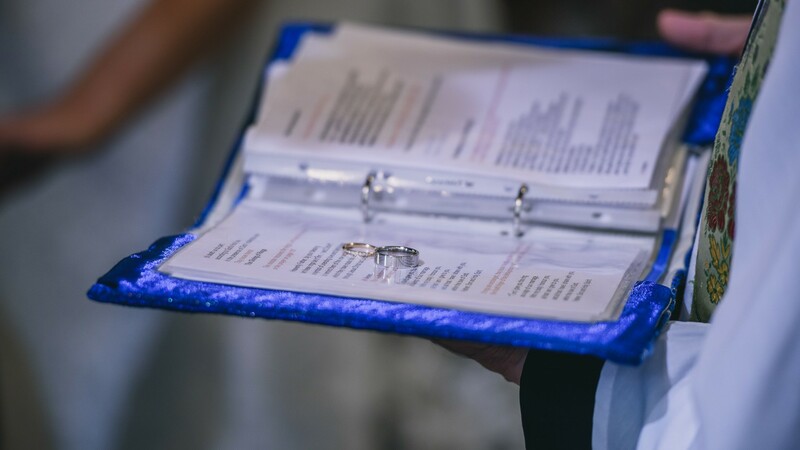 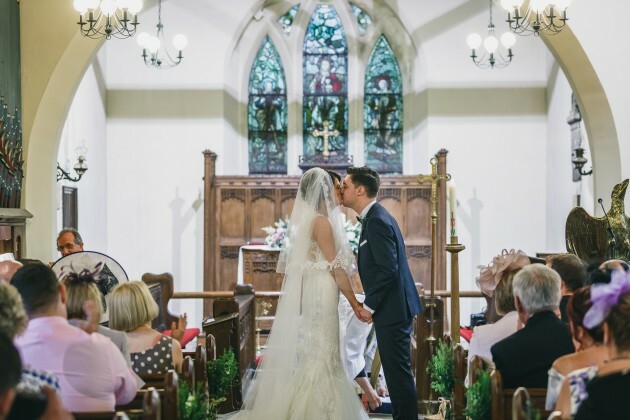 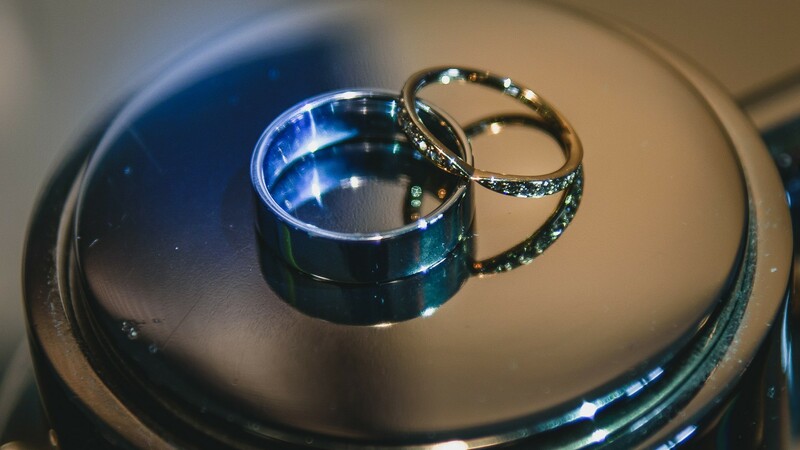 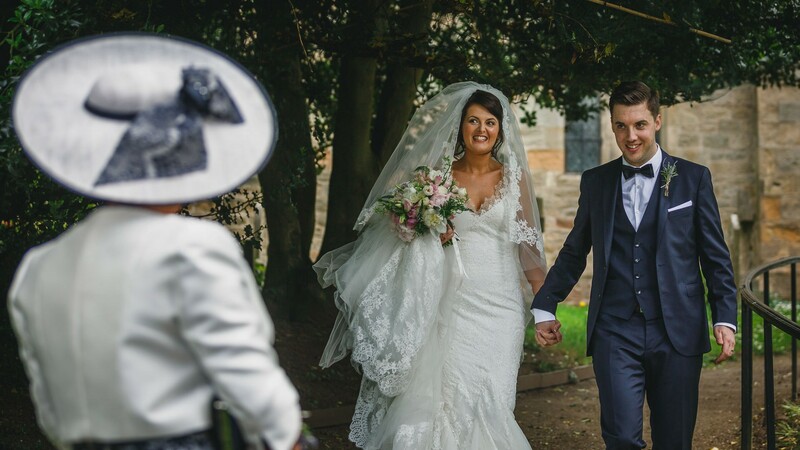 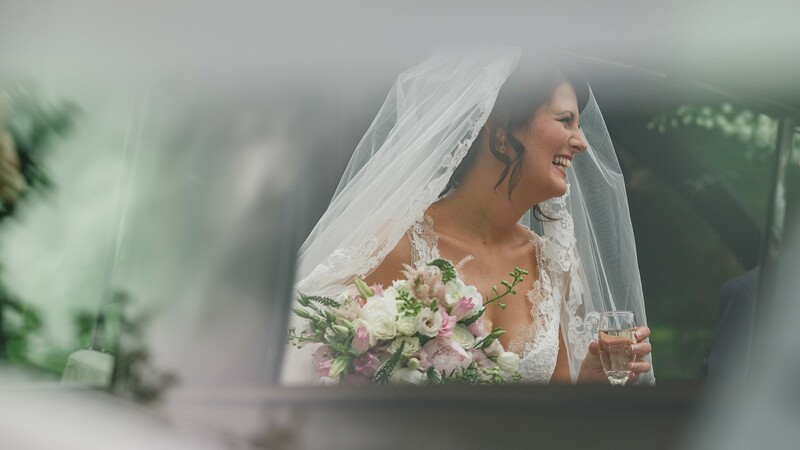 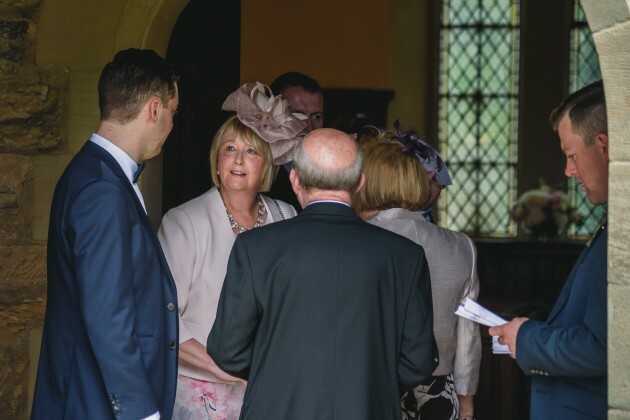 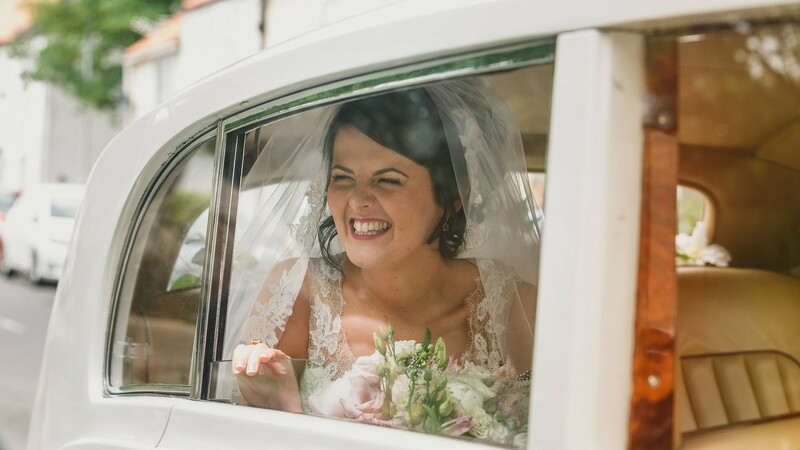 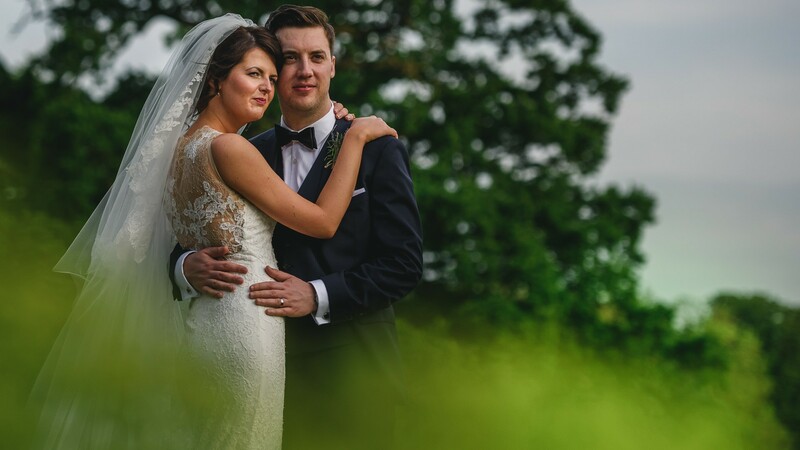 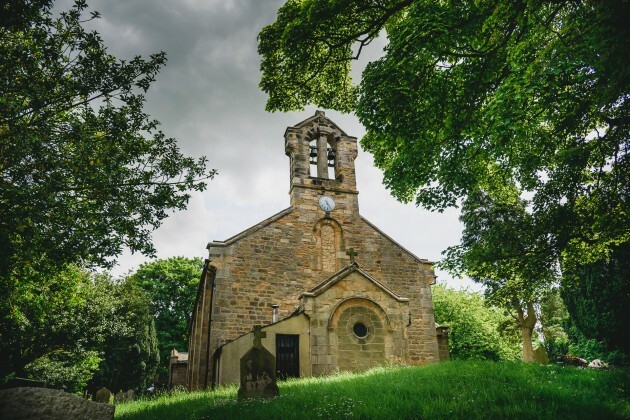 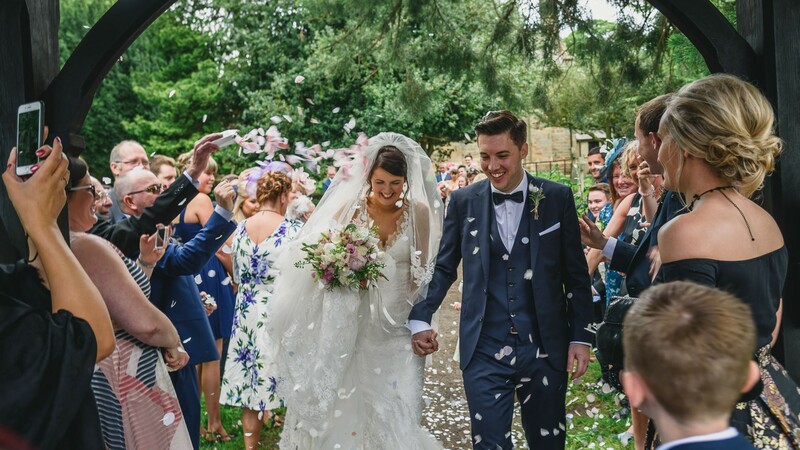 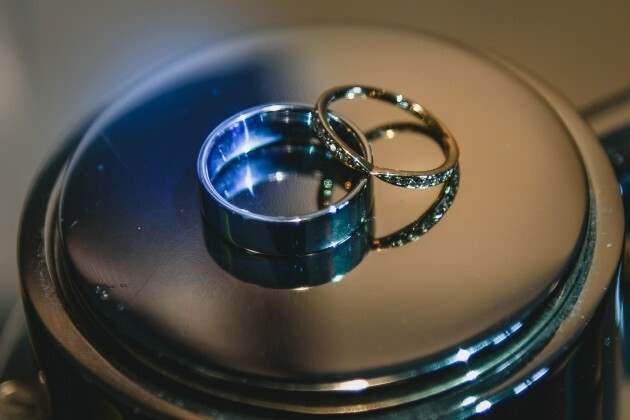 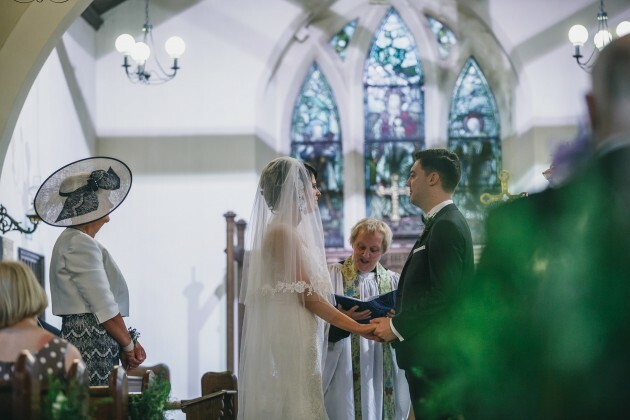 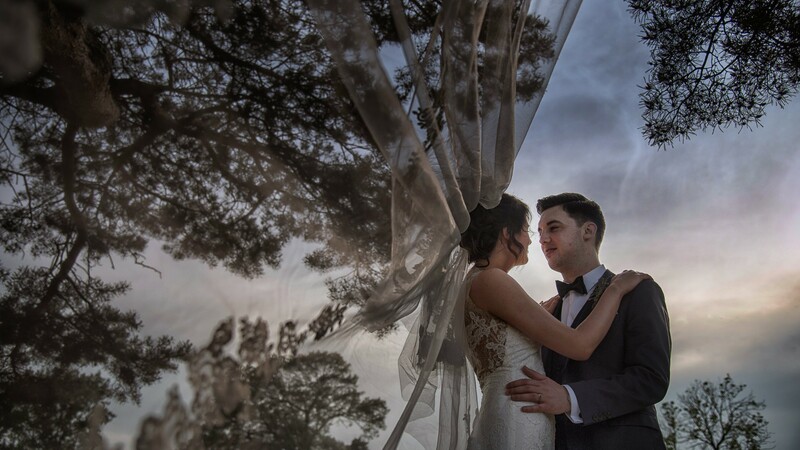 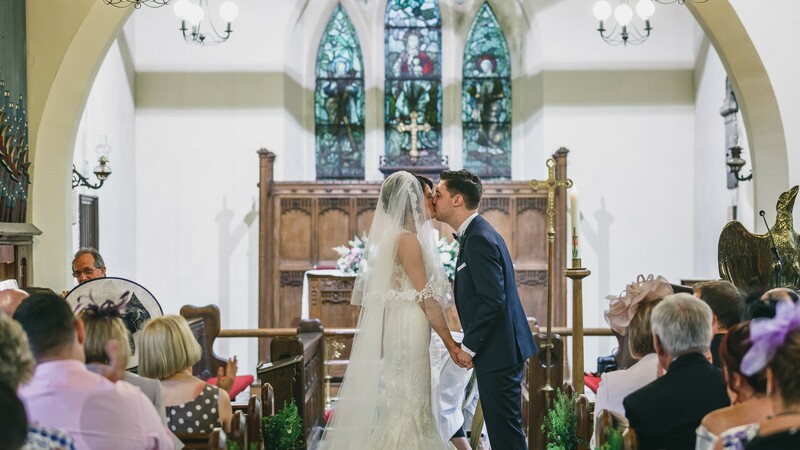 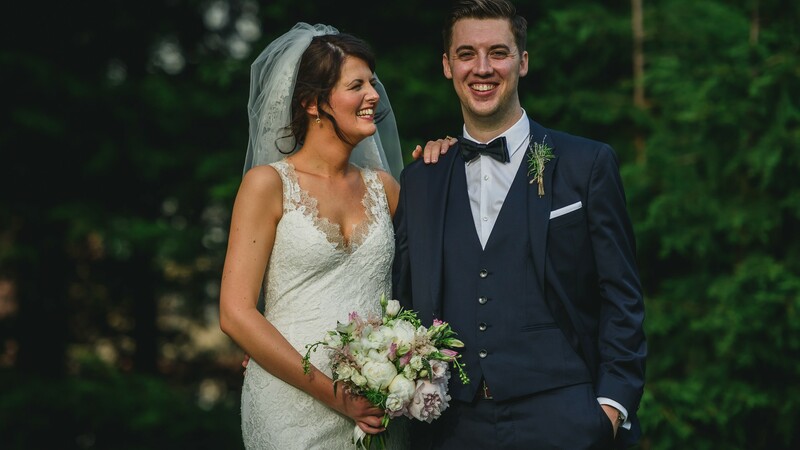 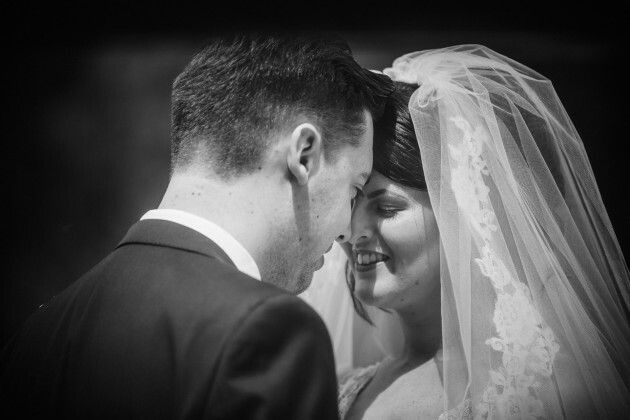 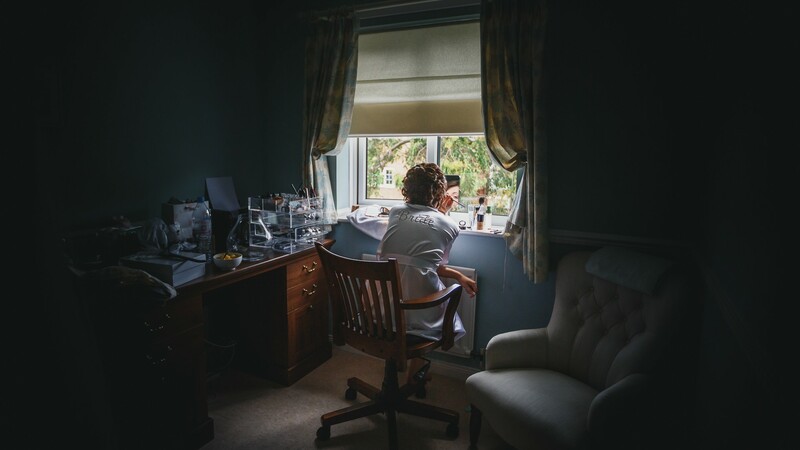 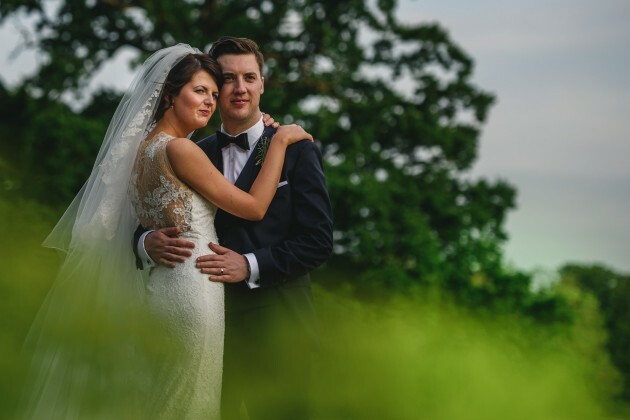 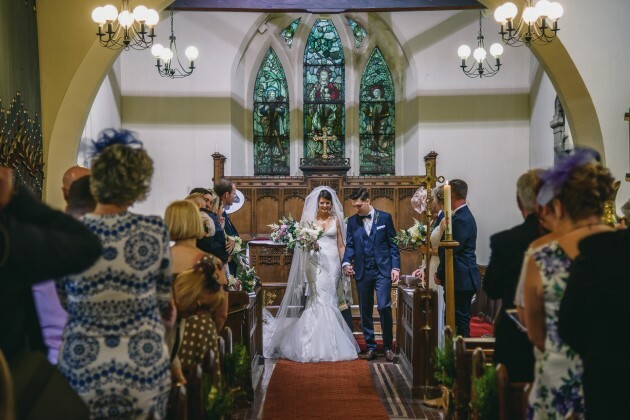 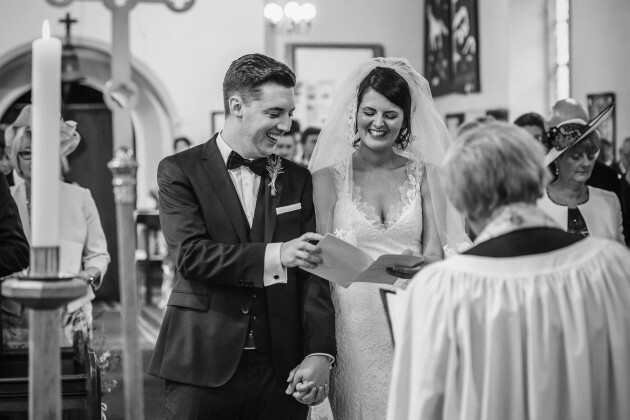 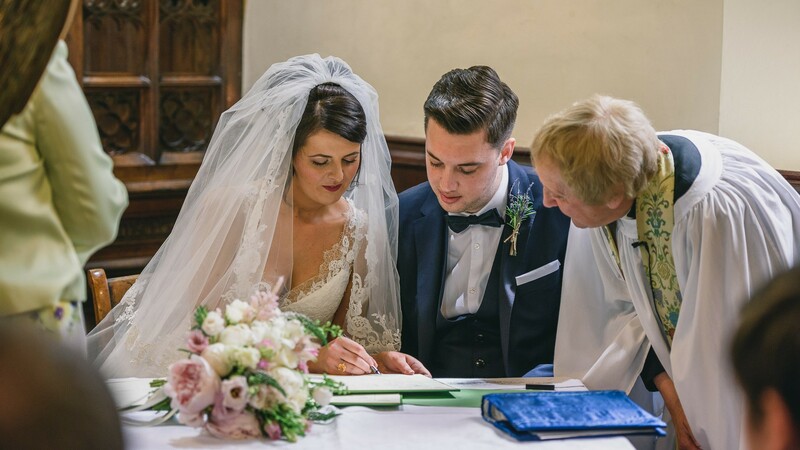 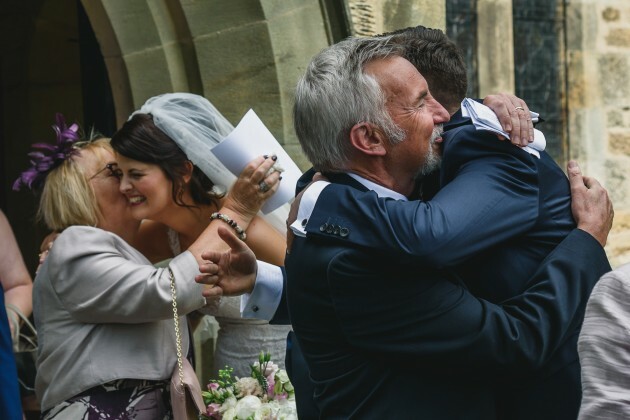 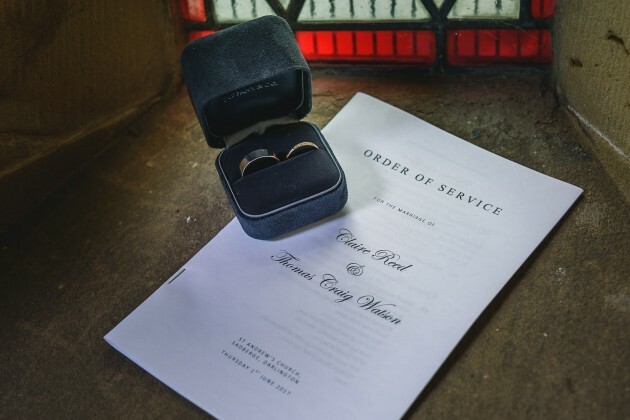 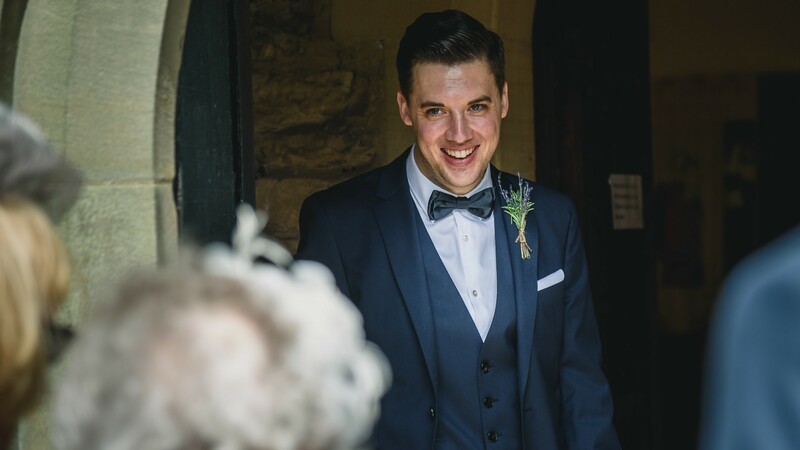 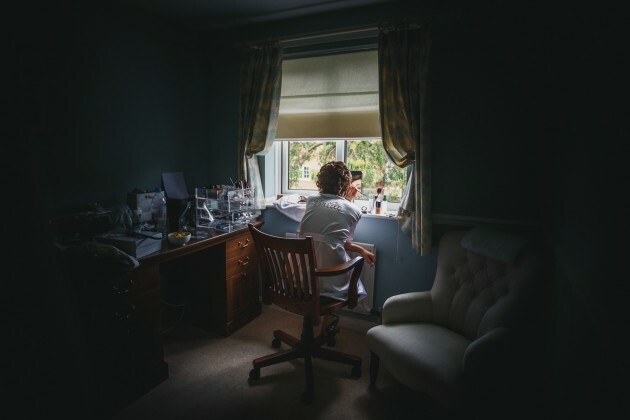 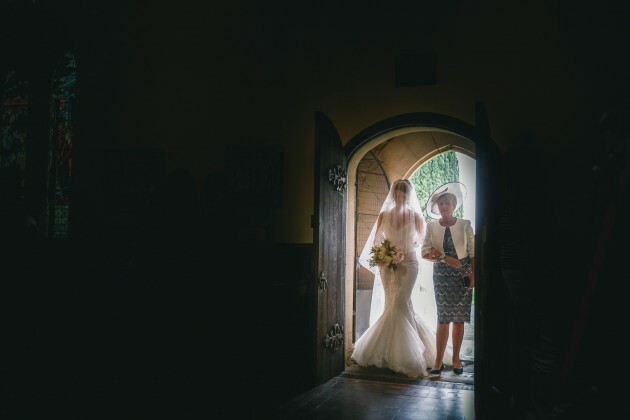 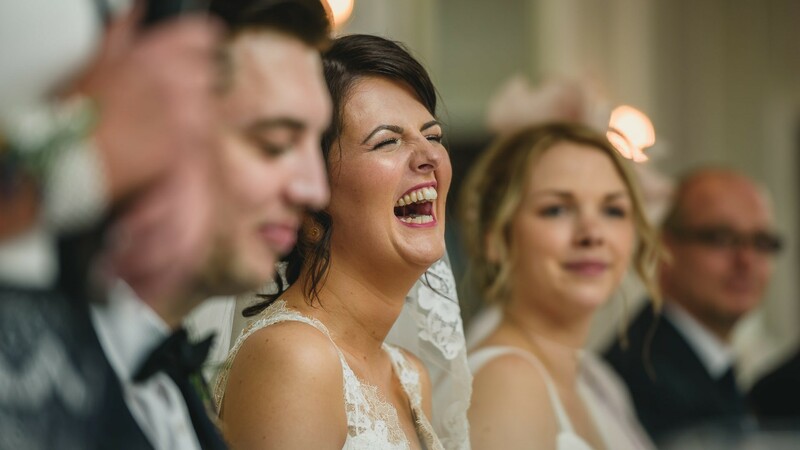 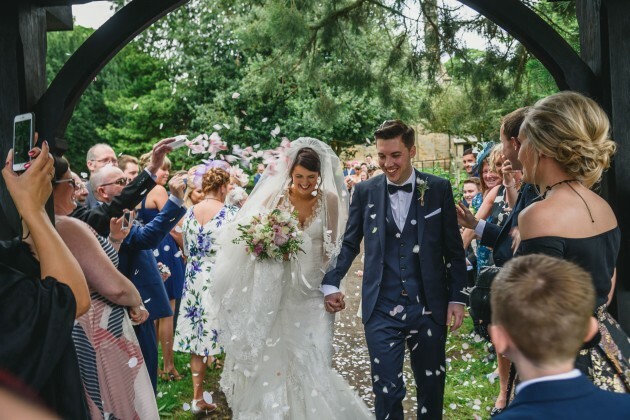 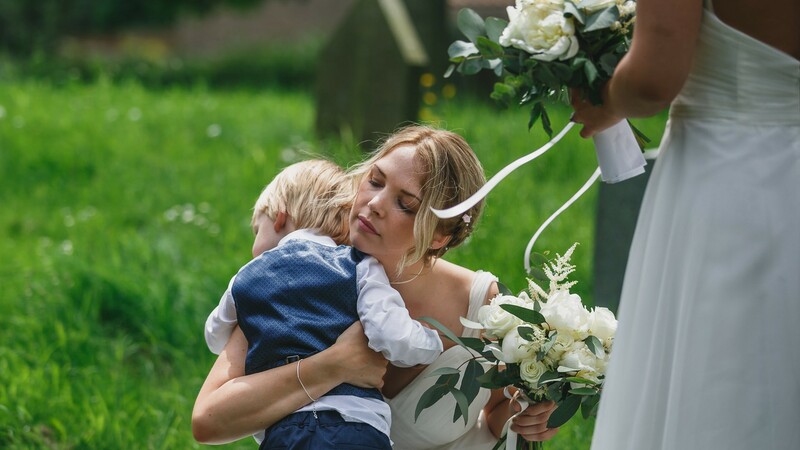 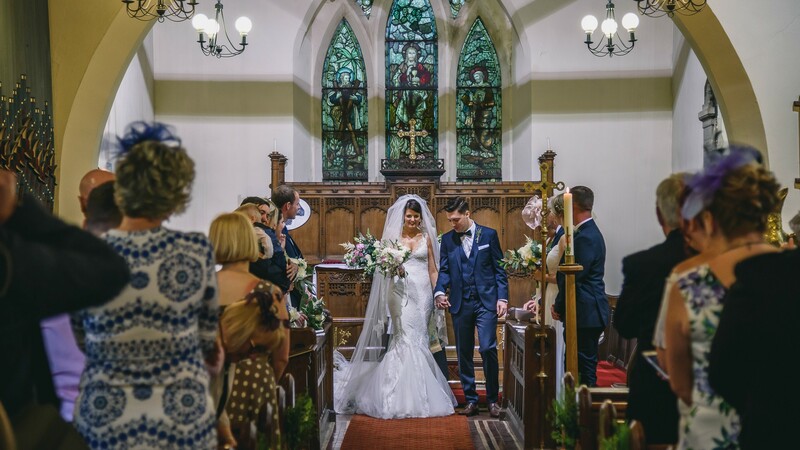 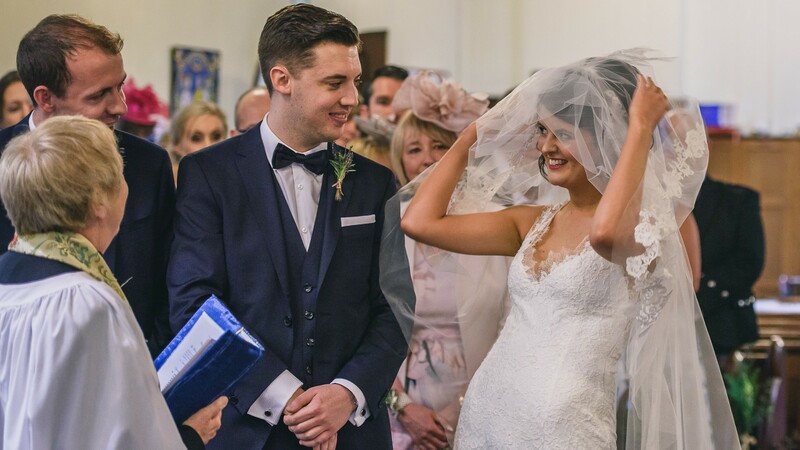 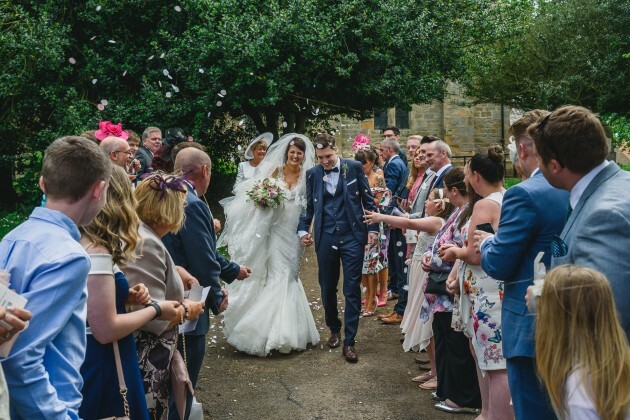 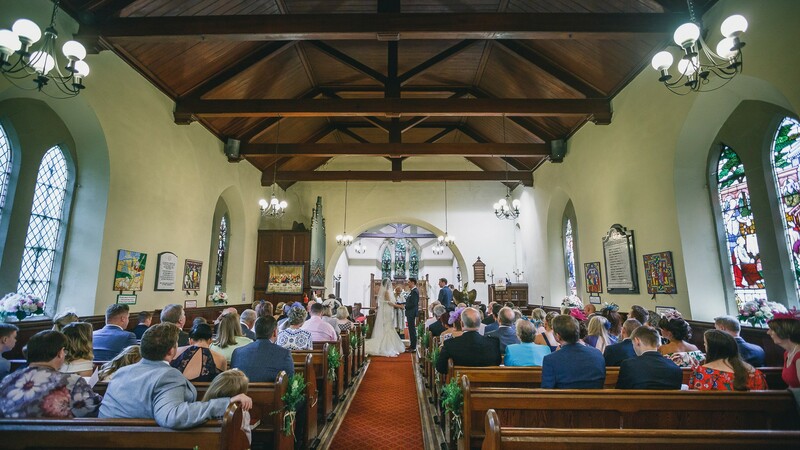 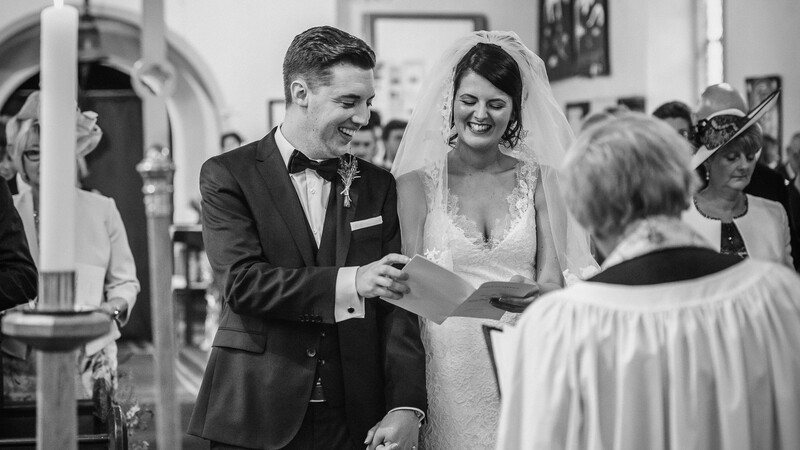 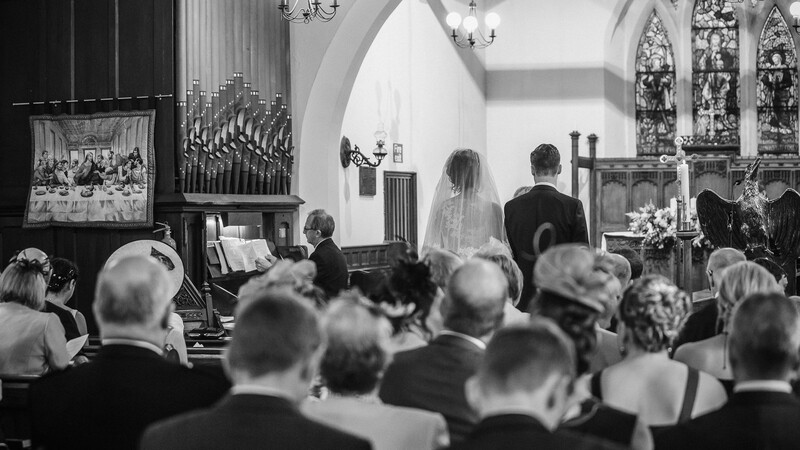 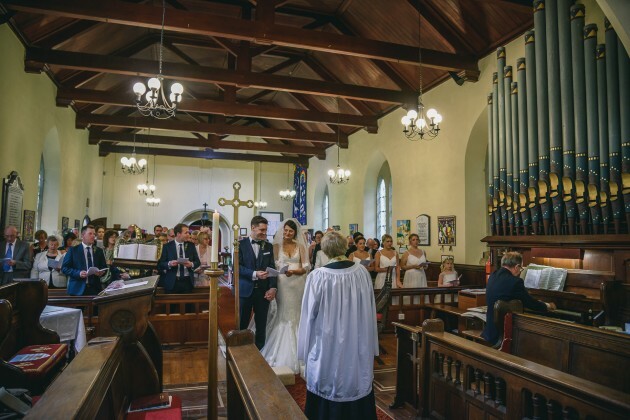 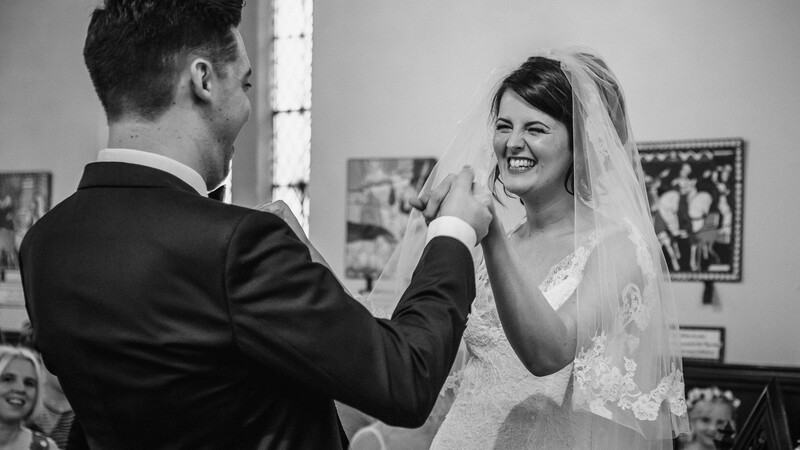 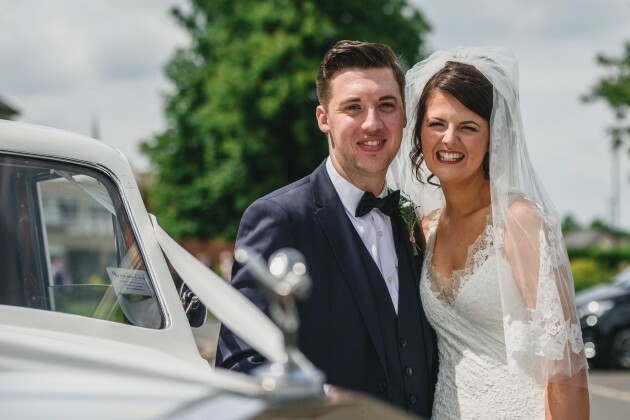 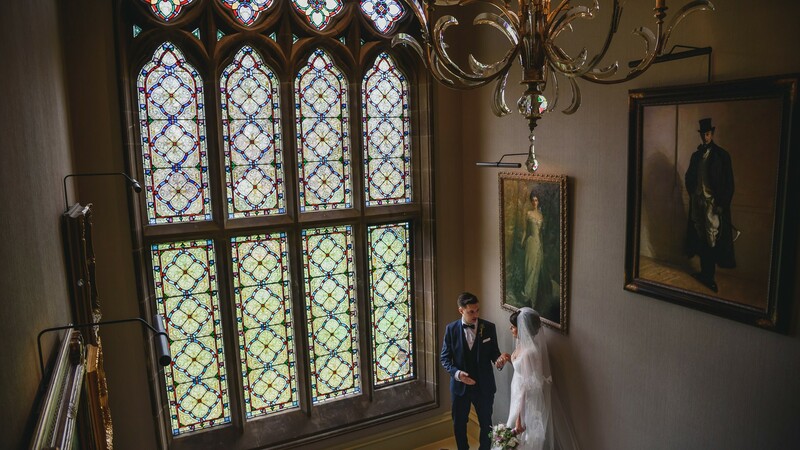 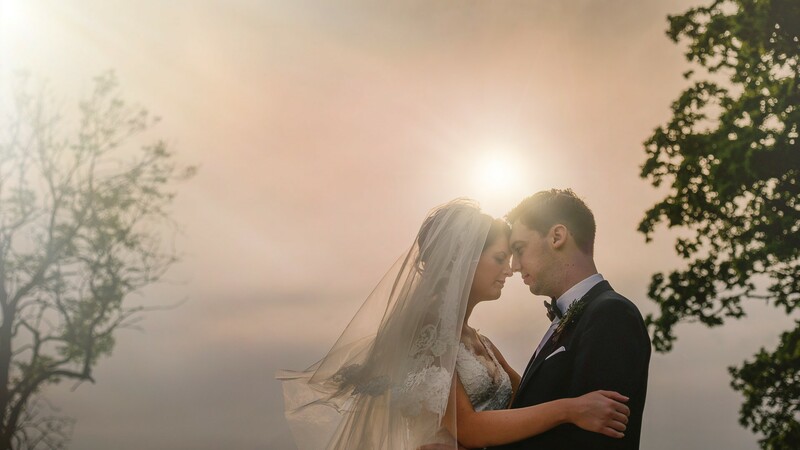 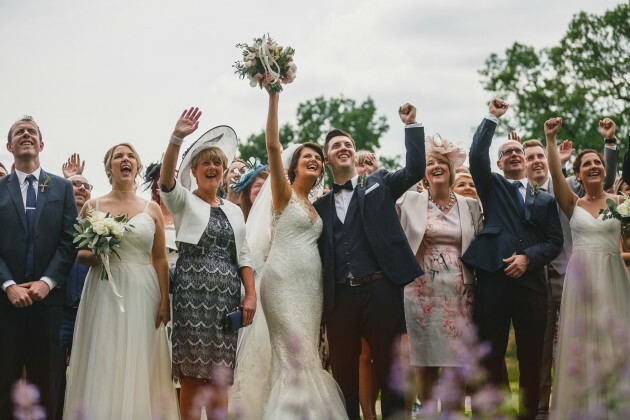 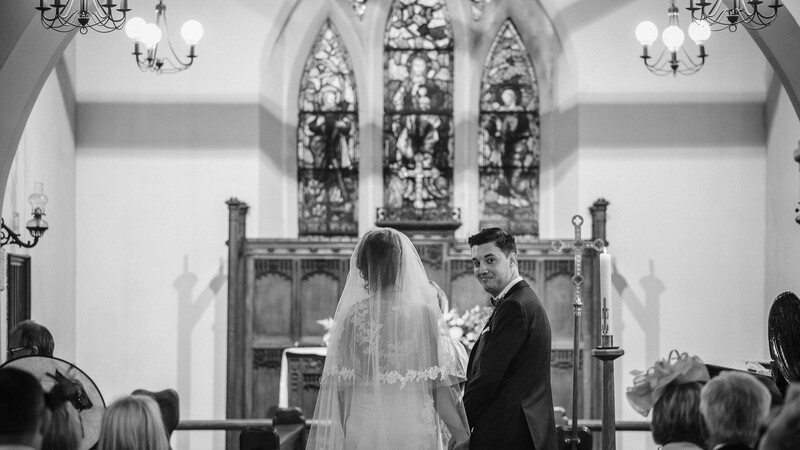 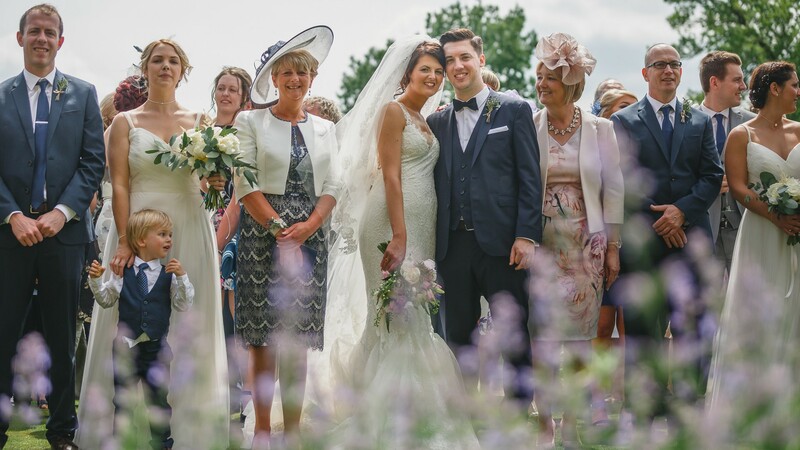 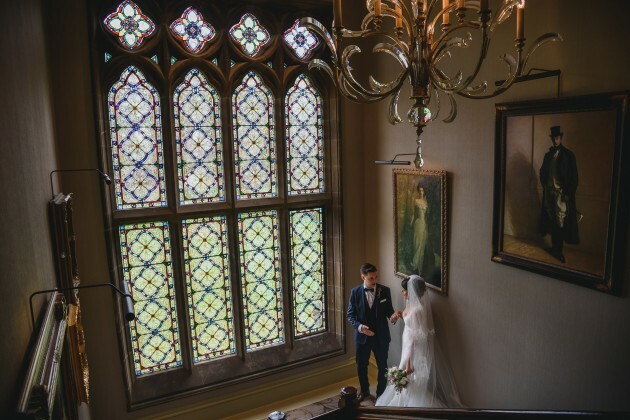 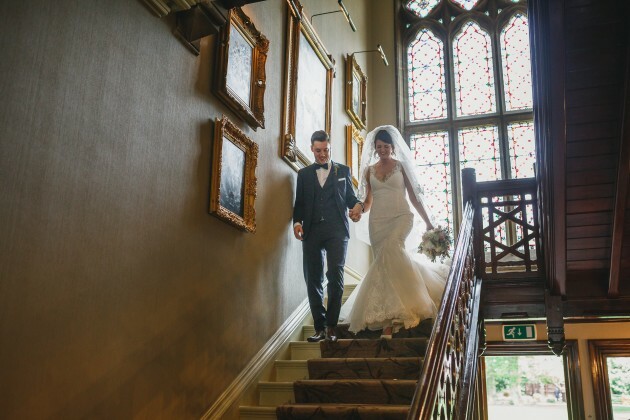 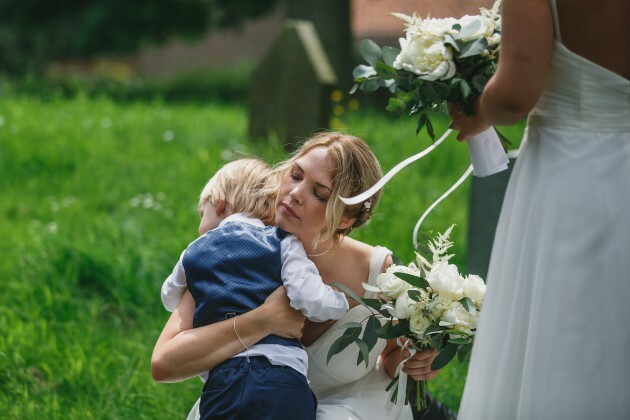 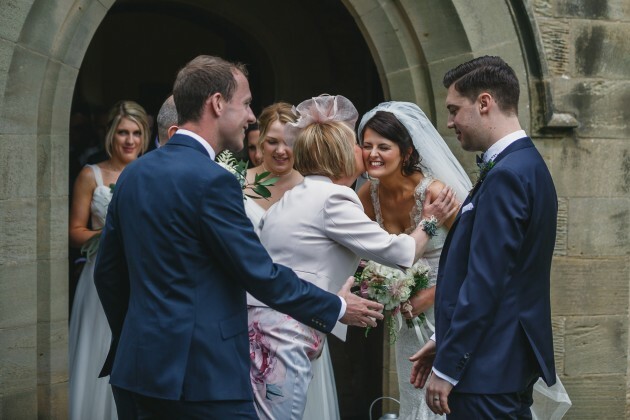 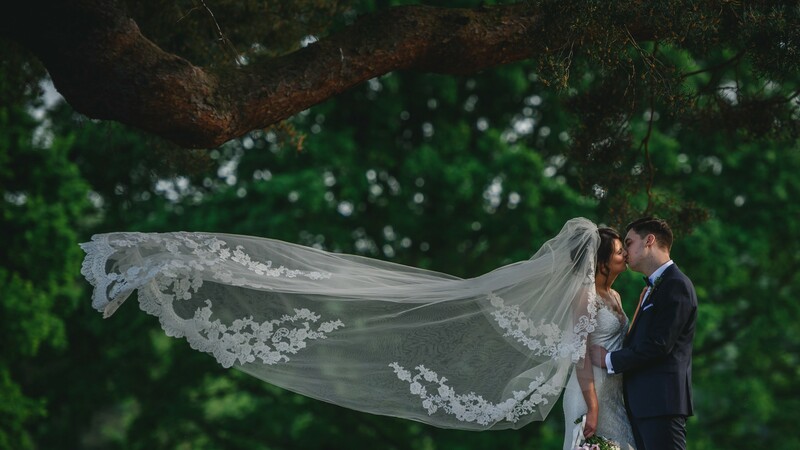 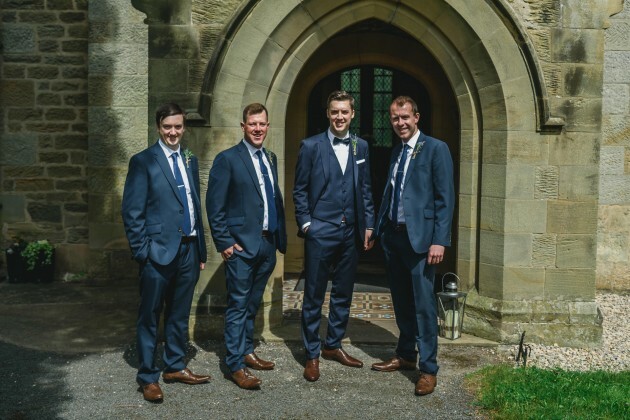 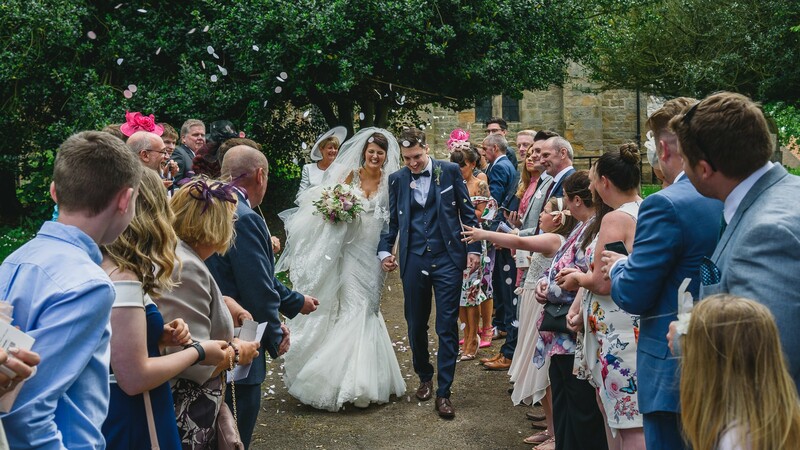 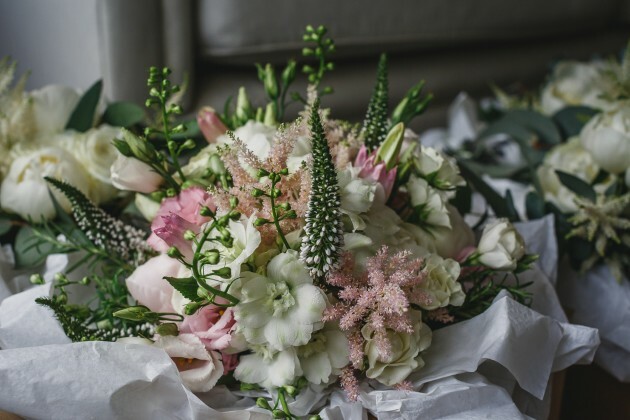 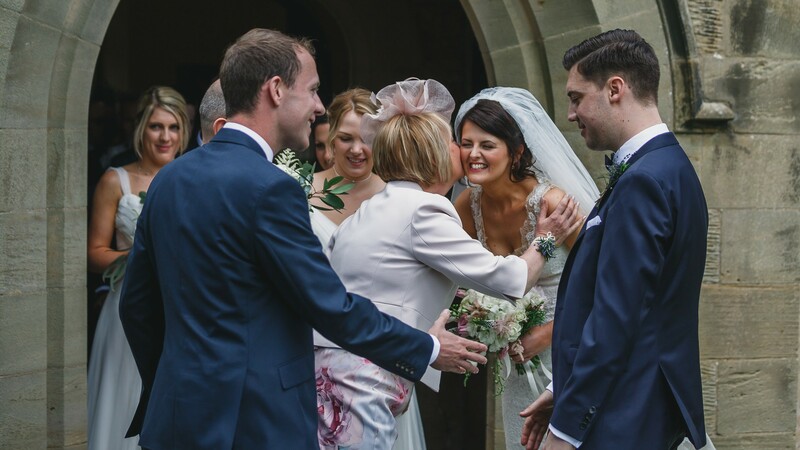 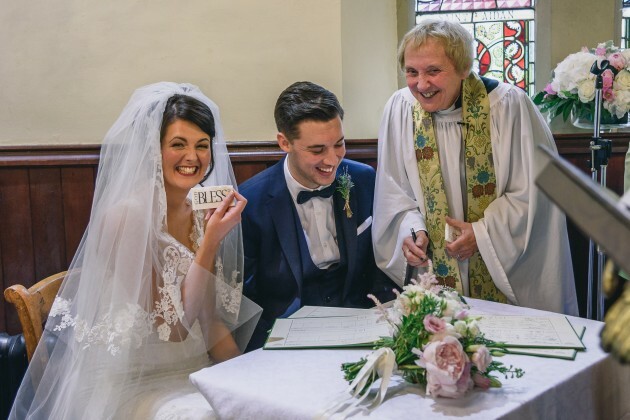 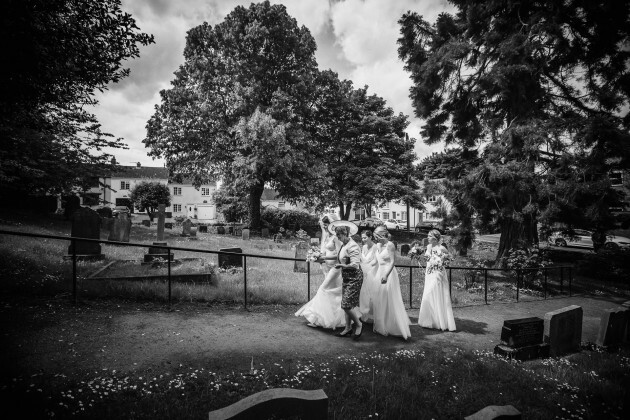 Claire and Tom chose to have their wedding ceremony in Sadberge Parish Church which is a beautiful building set in its own grounds perched on a hill within the village. 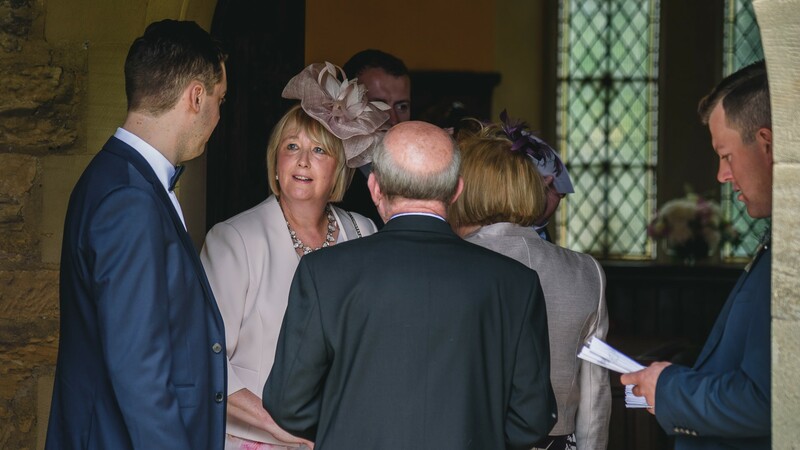 The vicar Sue led a really lovely and personal marriage ceremony which put all the guests and the bride and groom at ease. 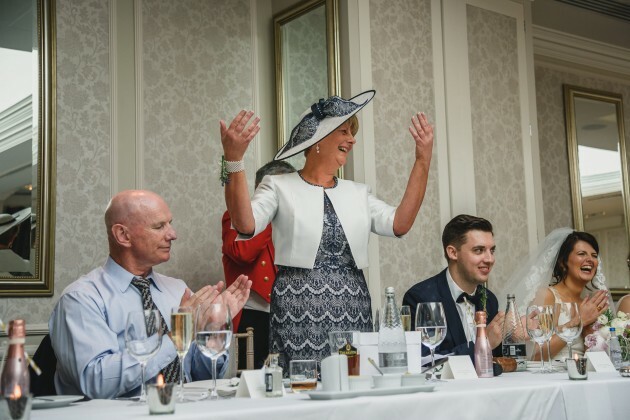 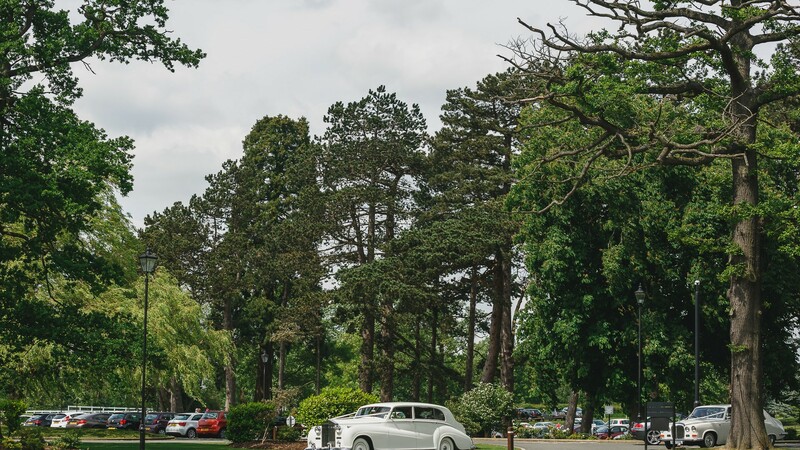 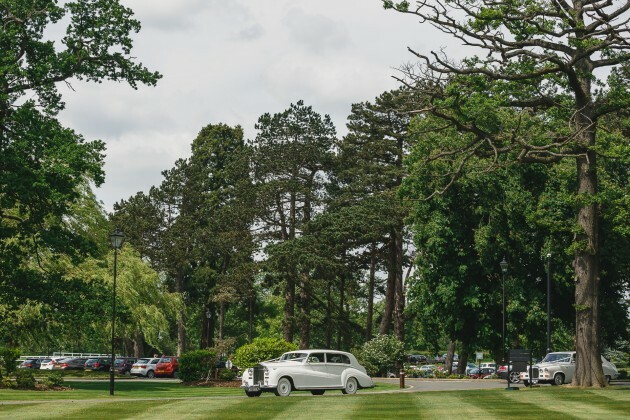 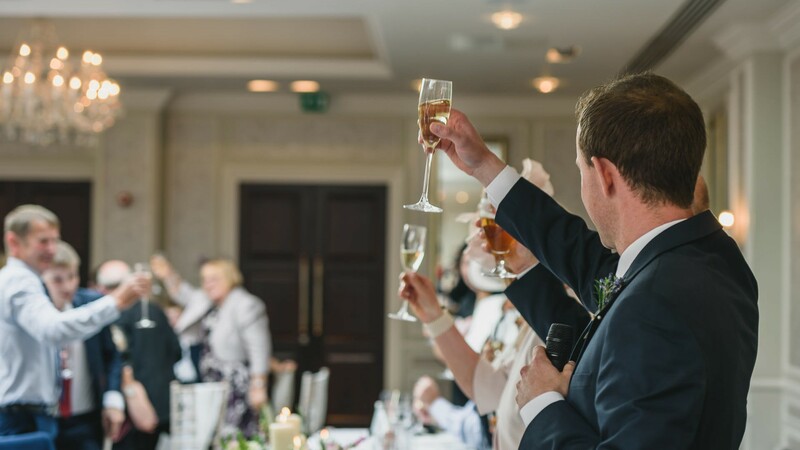 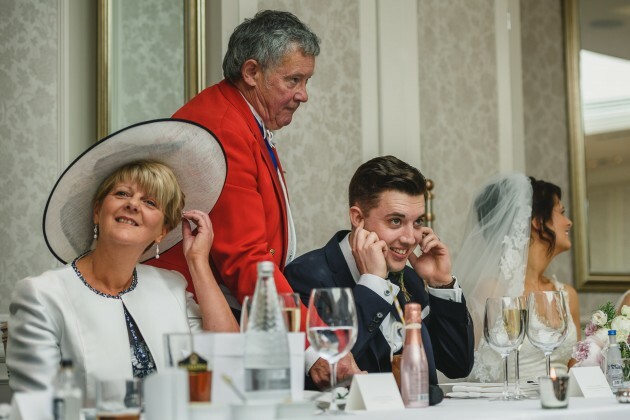 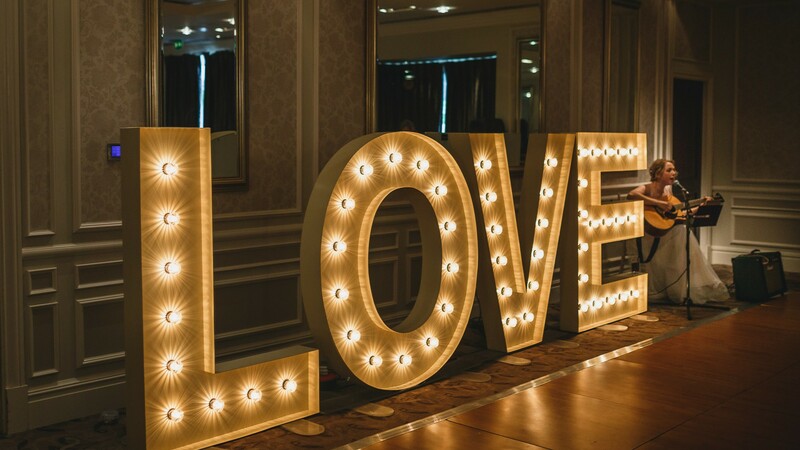 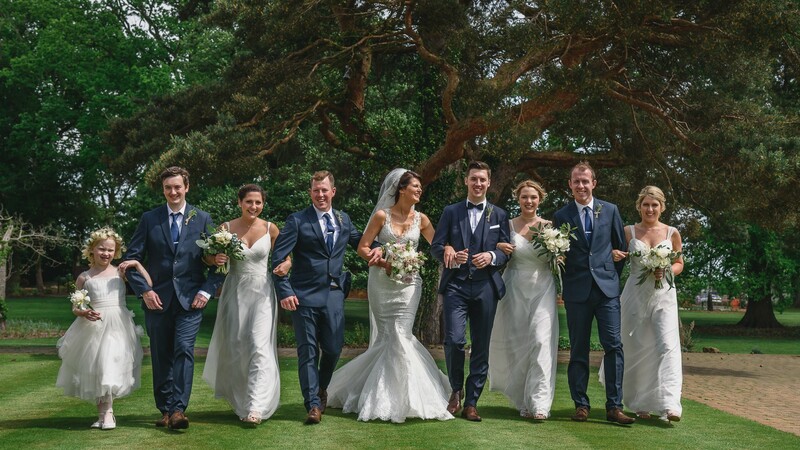 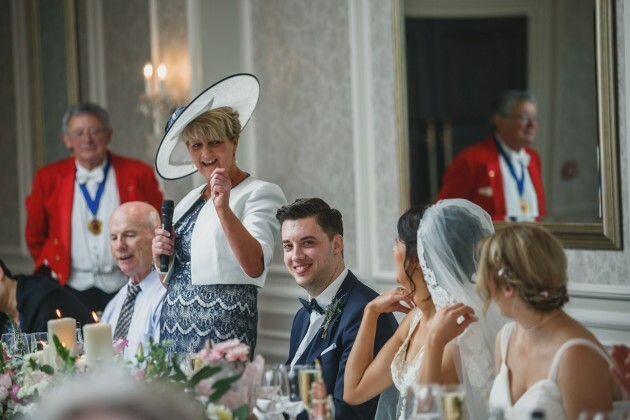 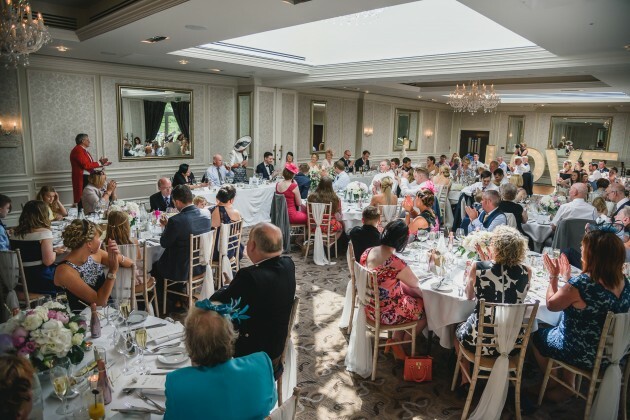 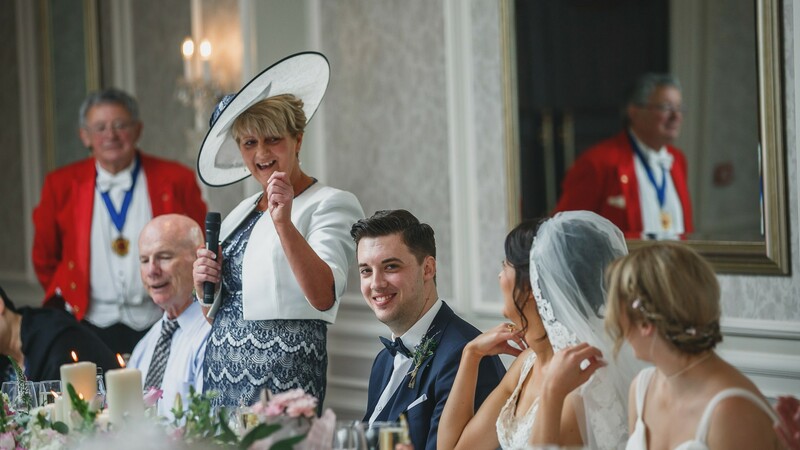 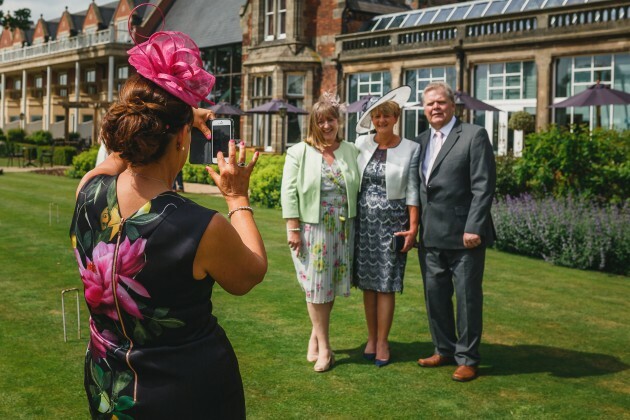 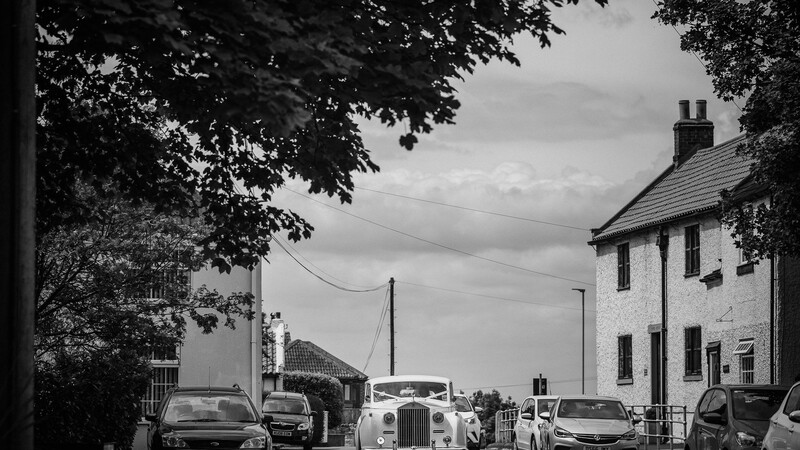 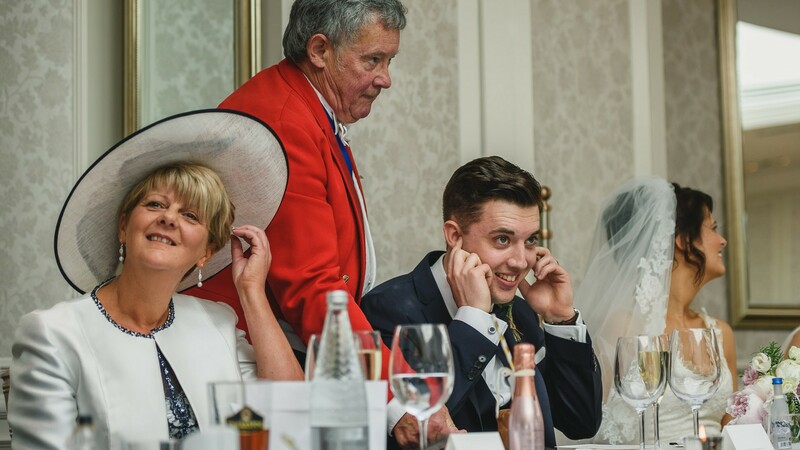 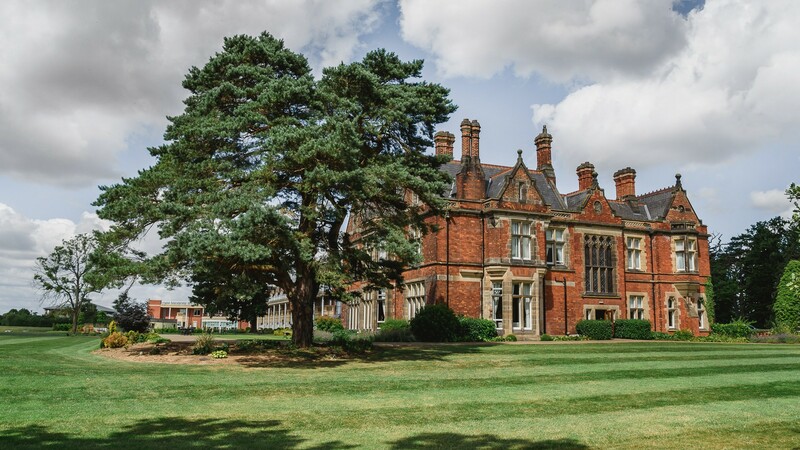 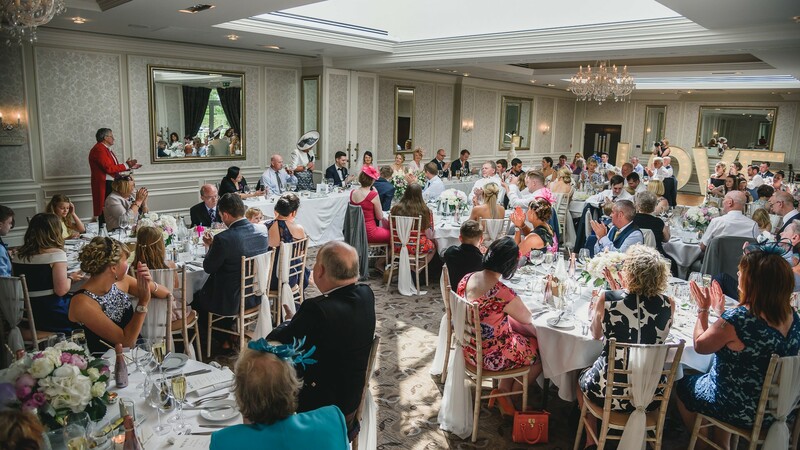 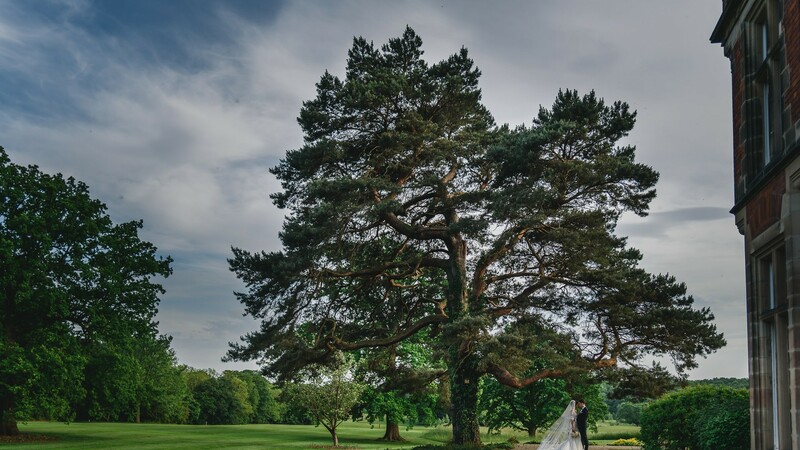 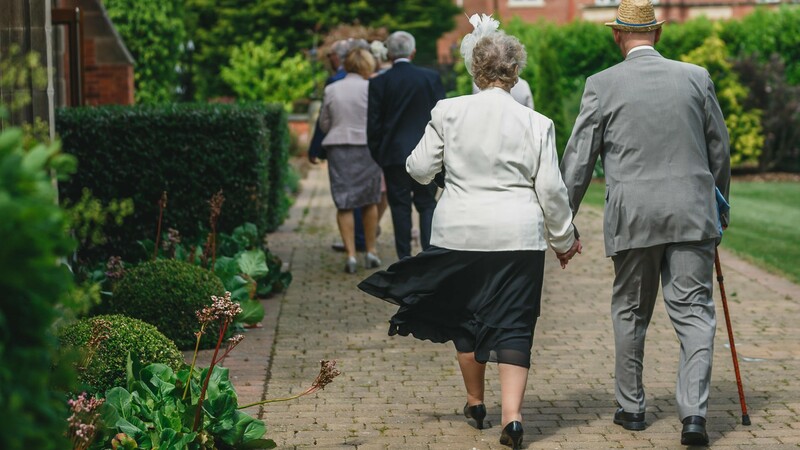 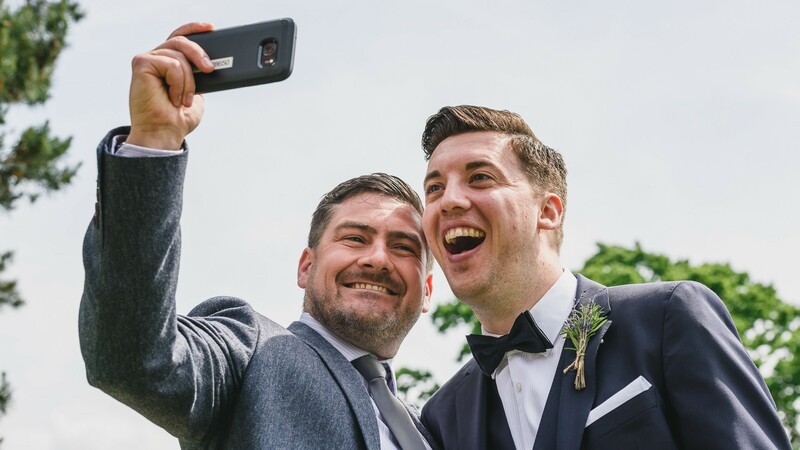 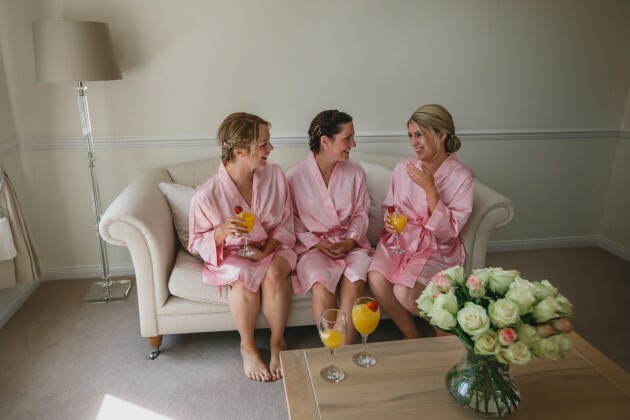 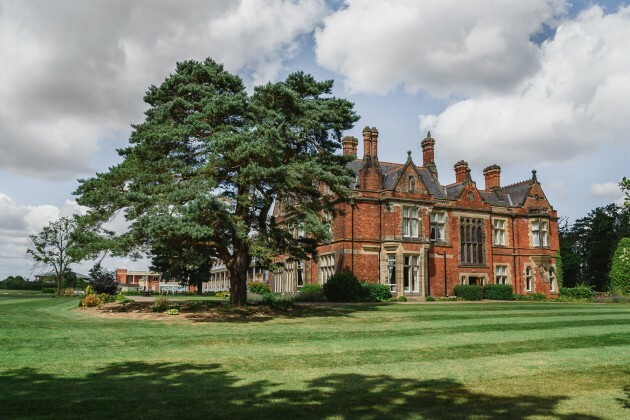 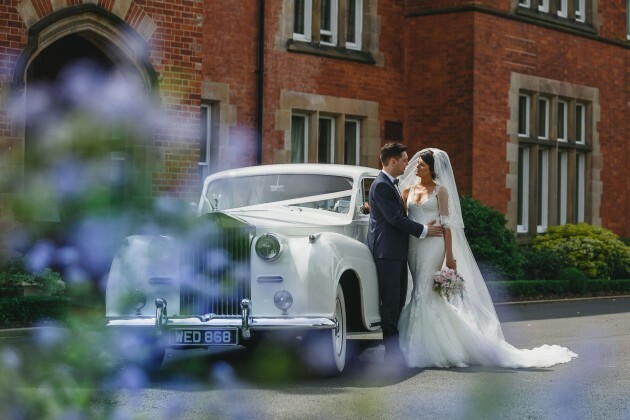 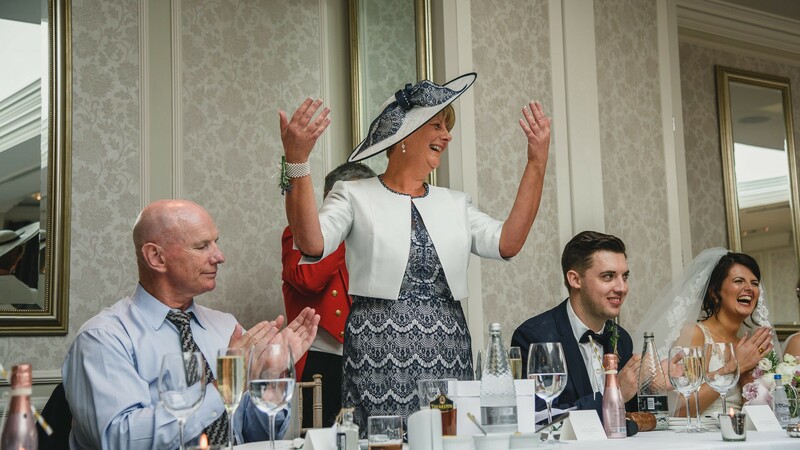 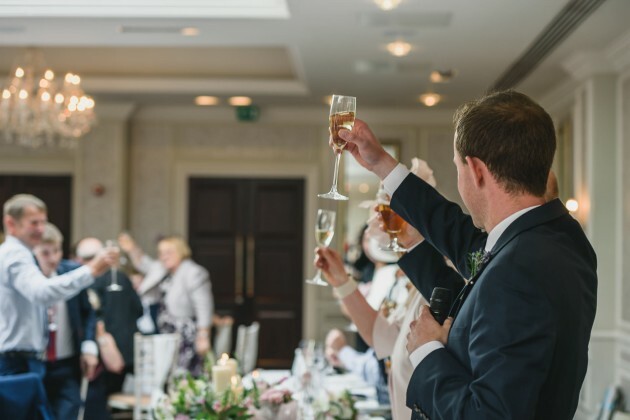 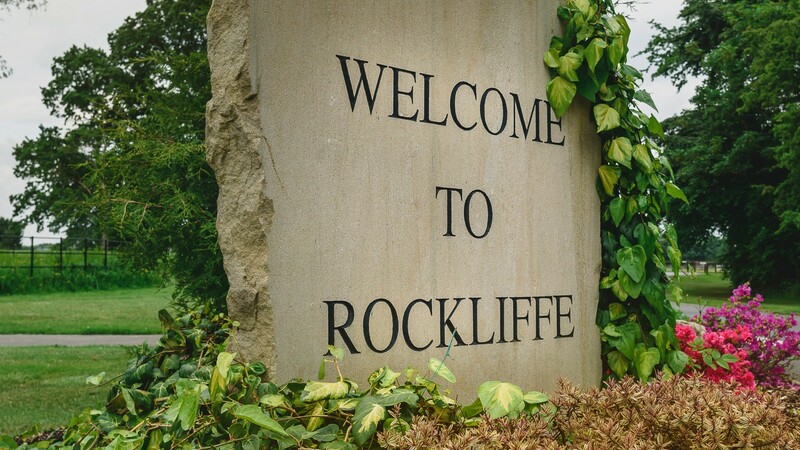 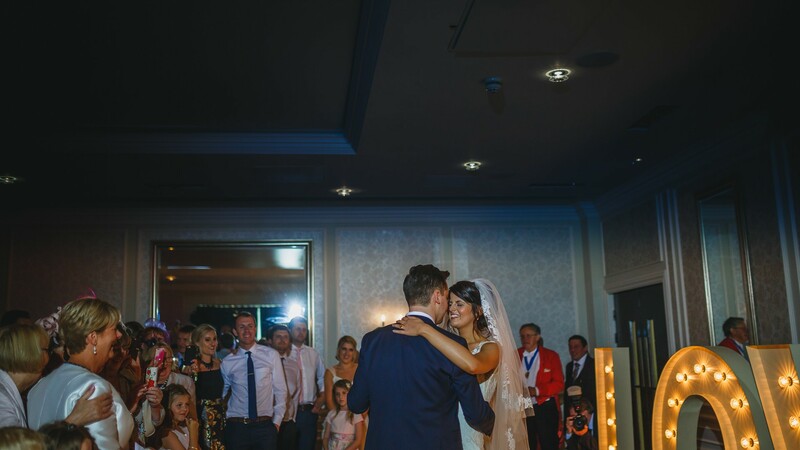 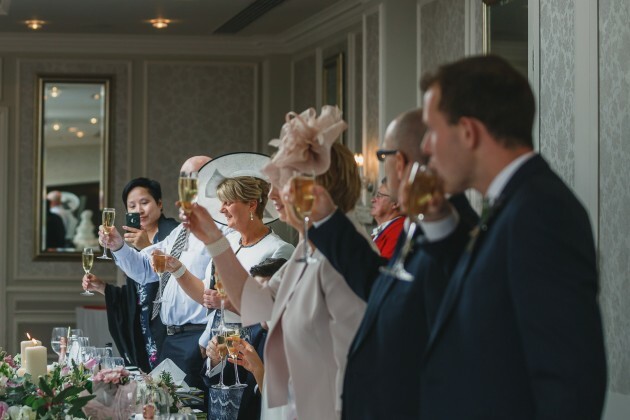 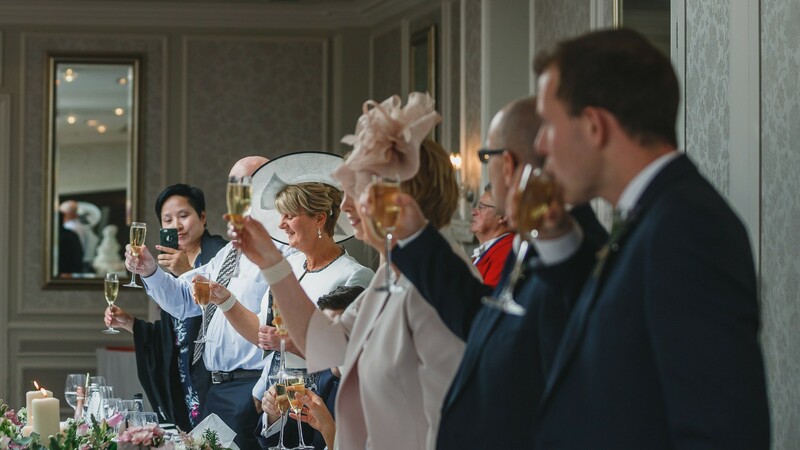 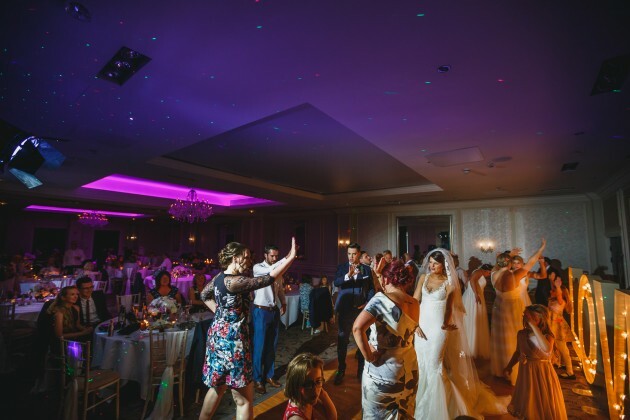 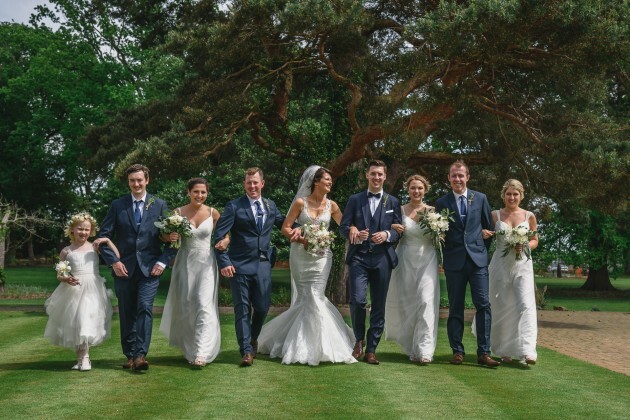 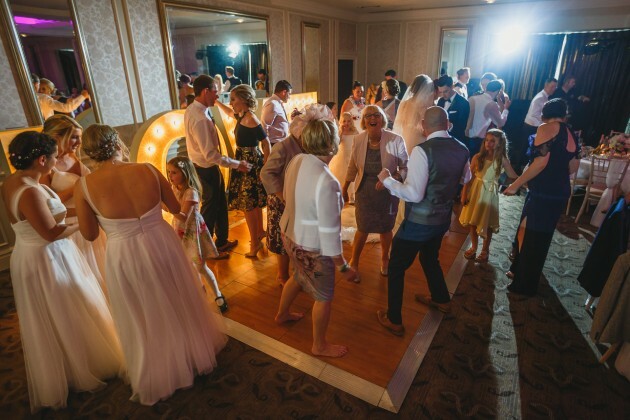 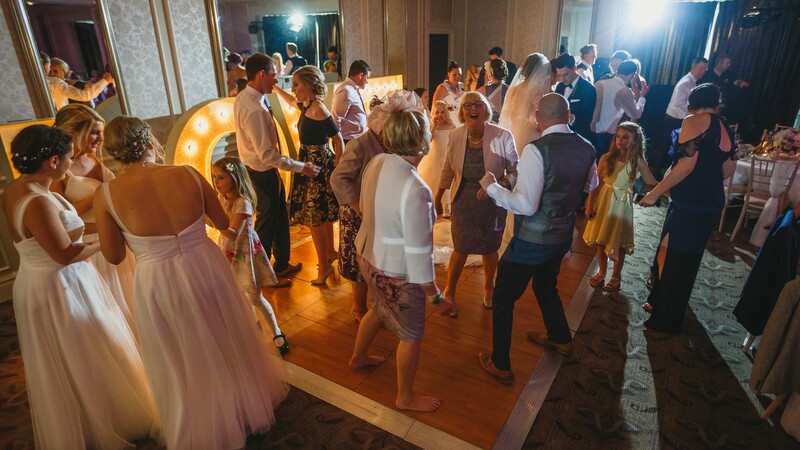 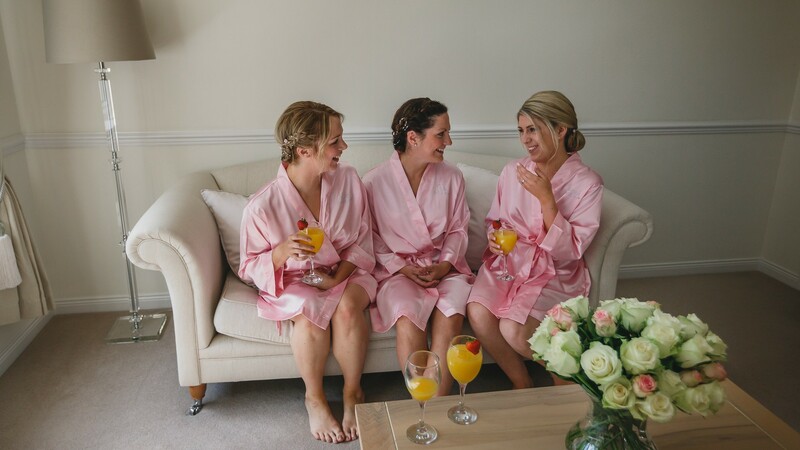 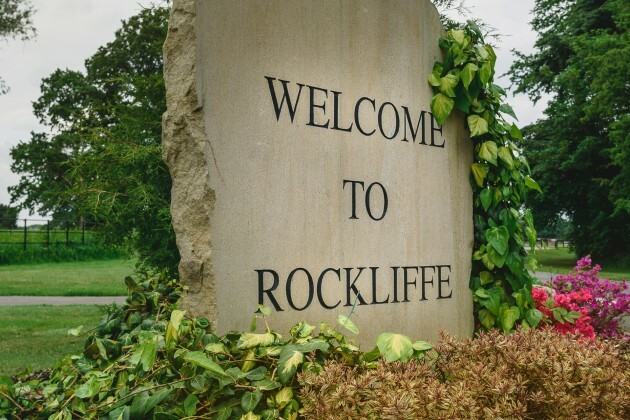 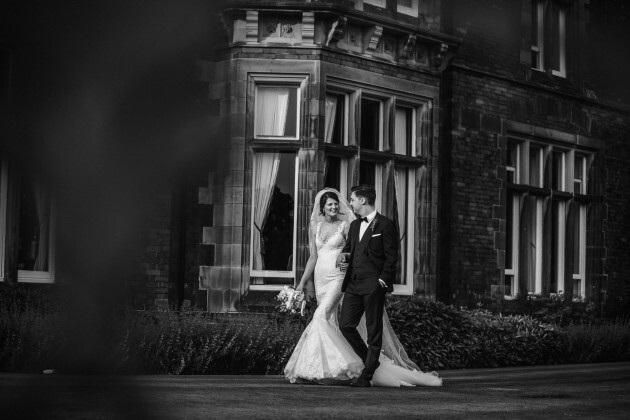 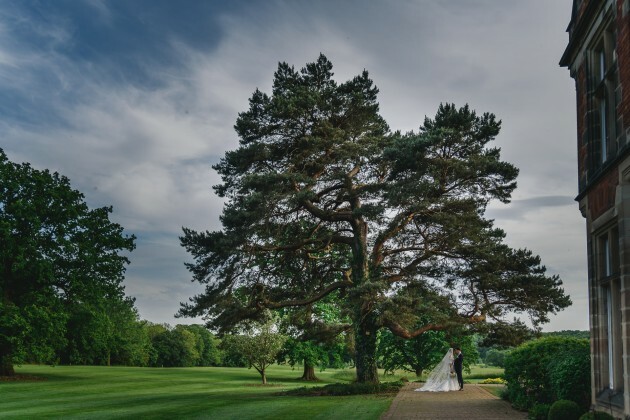 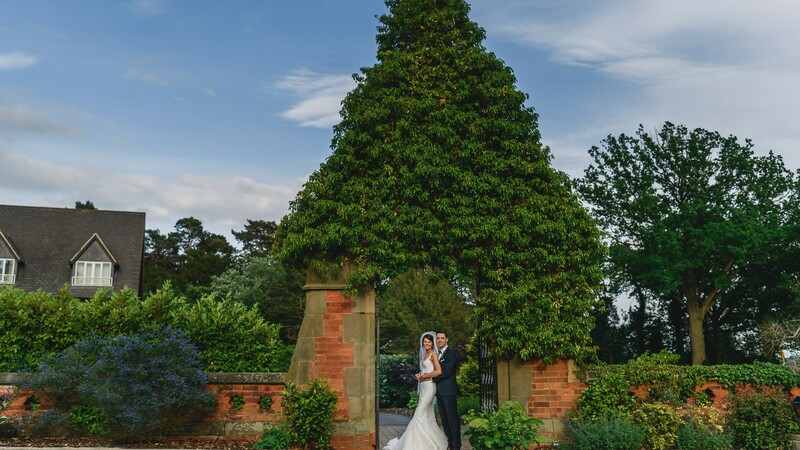 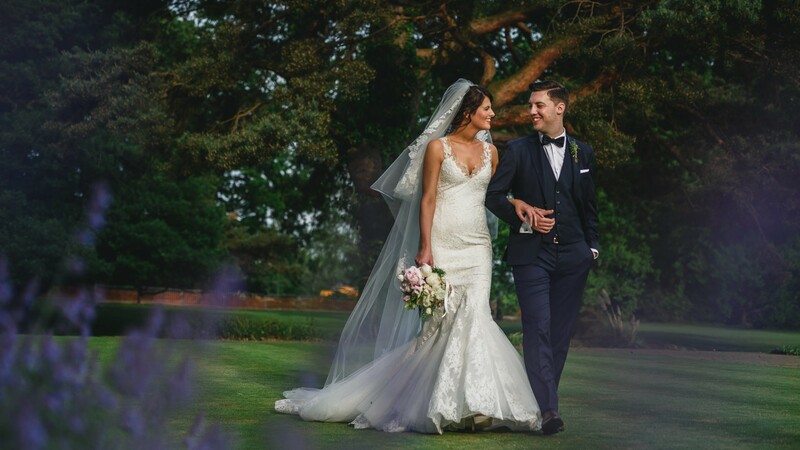 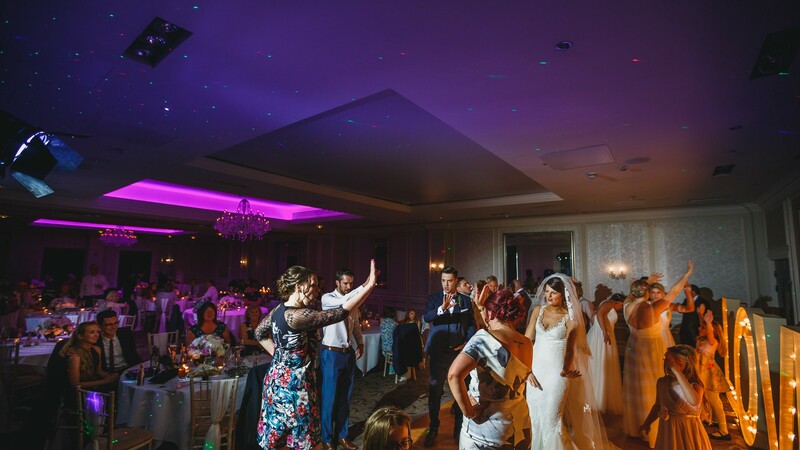 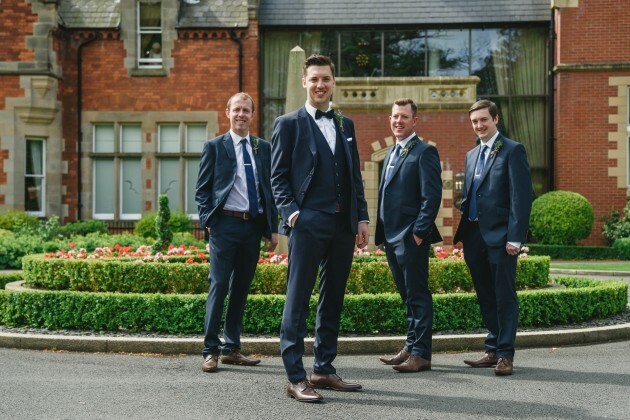 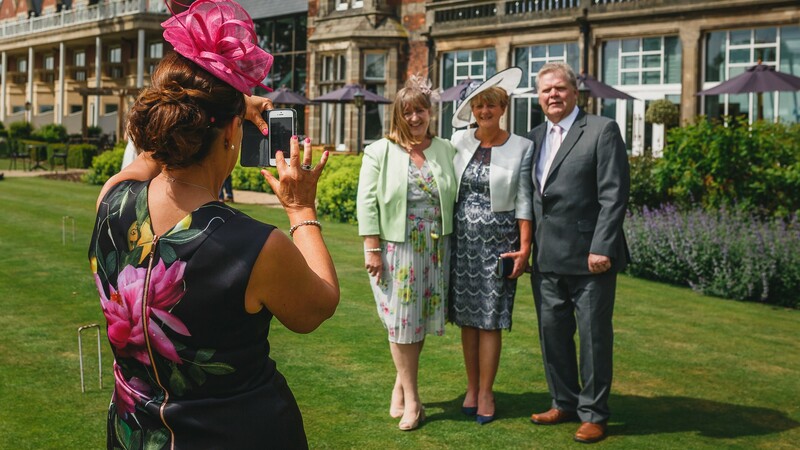 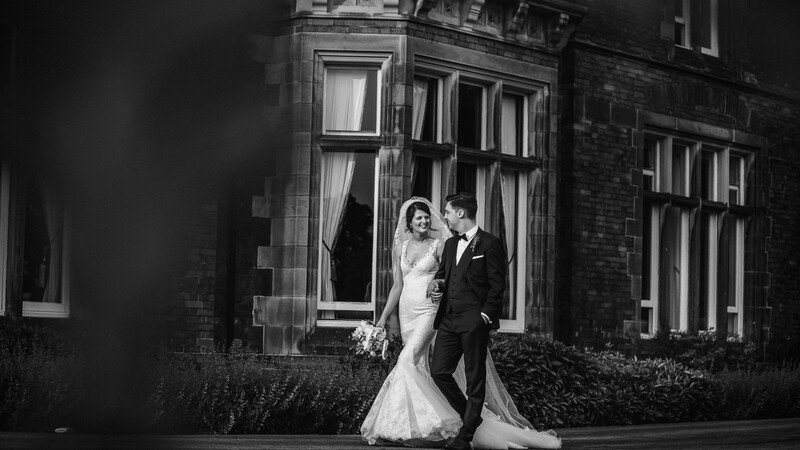 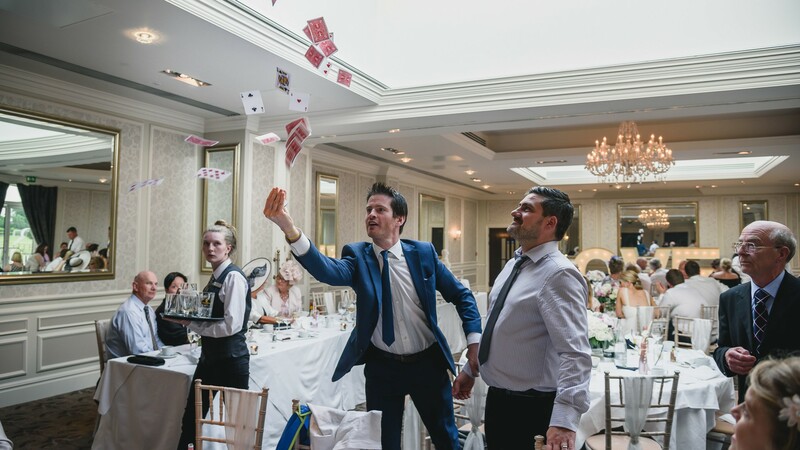 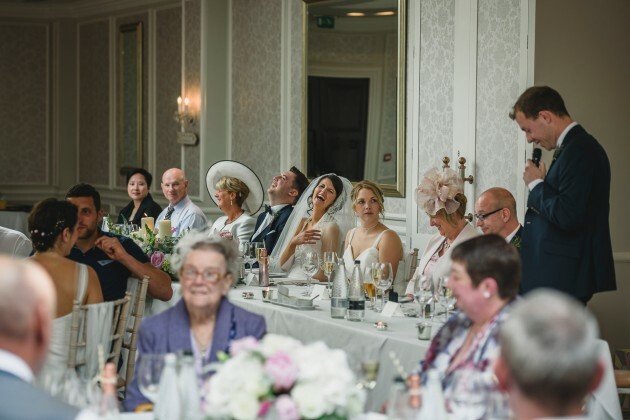 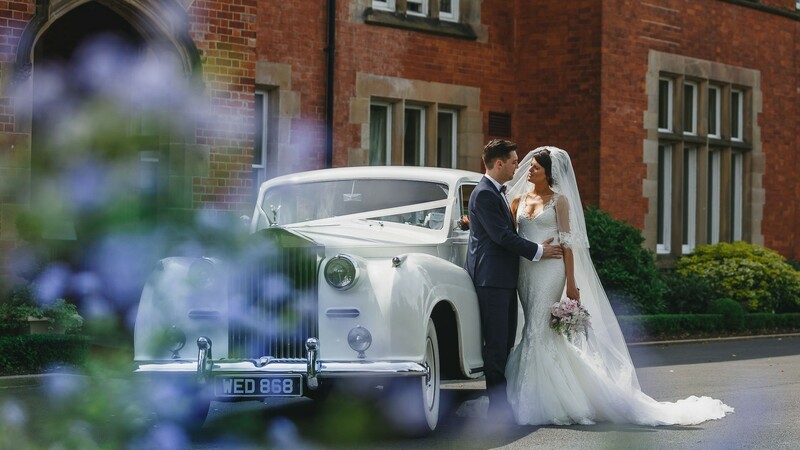 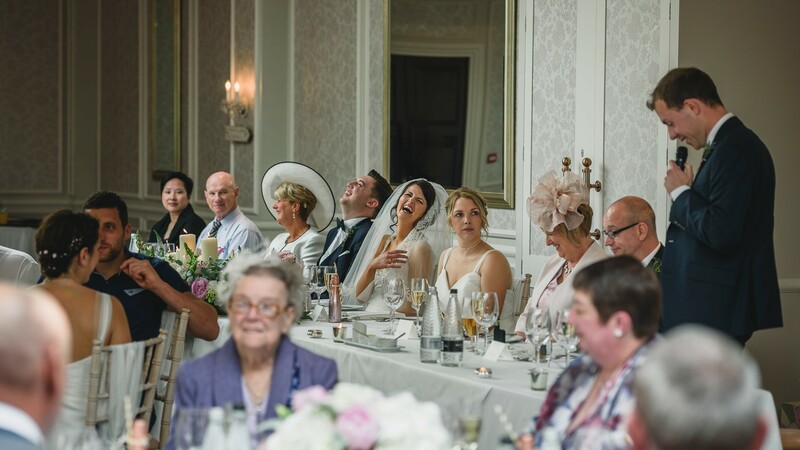 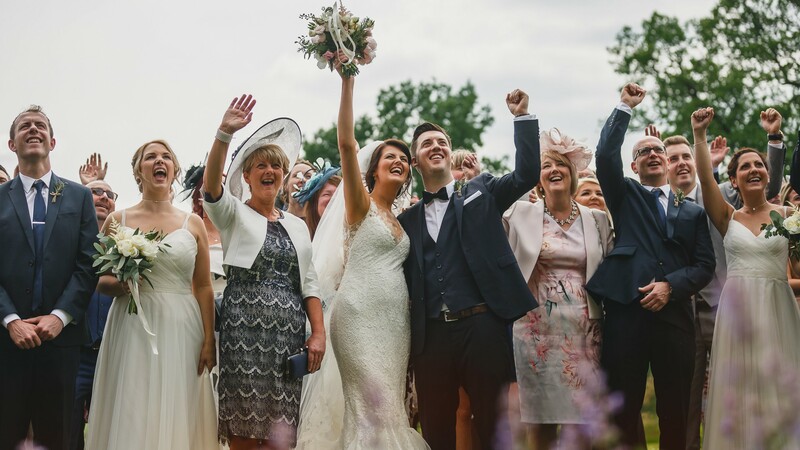 Then next stop Rockliffe Hall to celebrate the wedding and what a beautiful summers day it was so all the guests were able to enjoy the grounds, views, canape's and drinks at this perfect wedding venue.